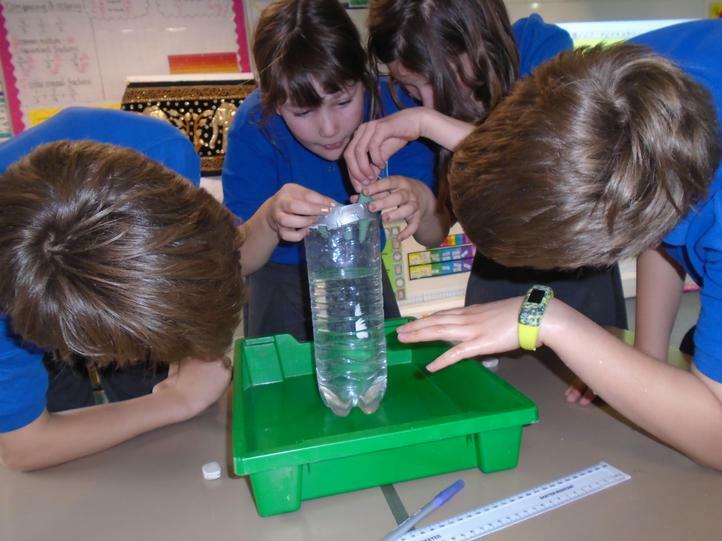 Today, we were investigating which shapes are the best at overcoming the effects of water resistance. 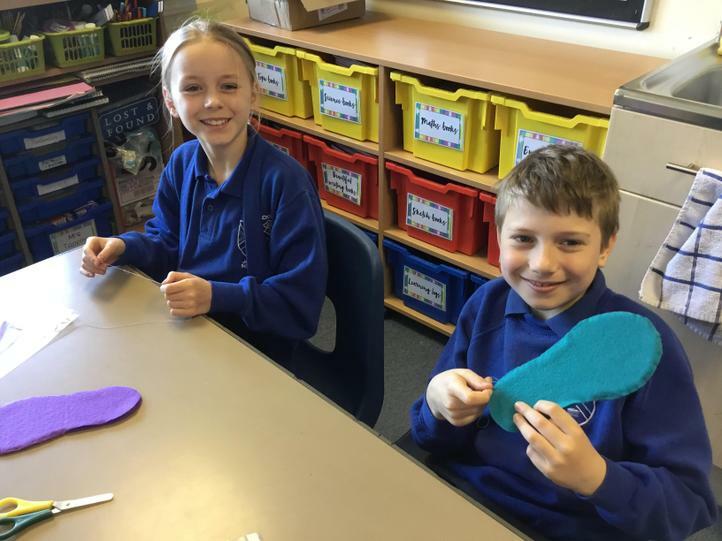 No…it isn’t an April Fools’ joke…we really did make a whole Indian slipper (khussas) in a day! 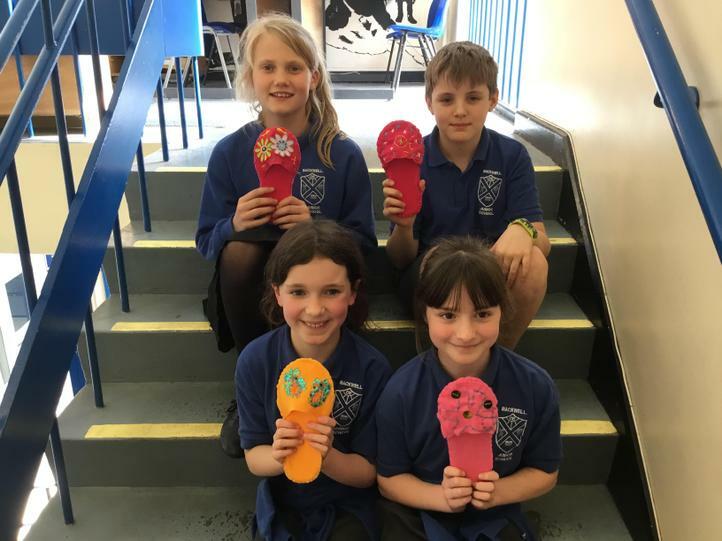 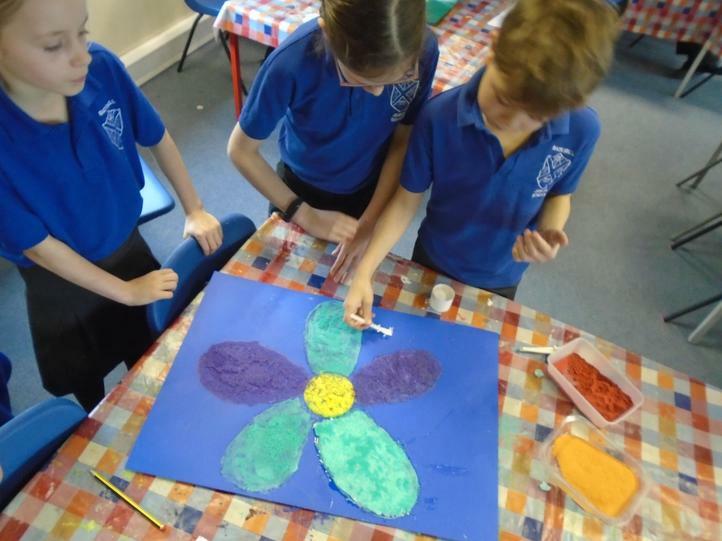 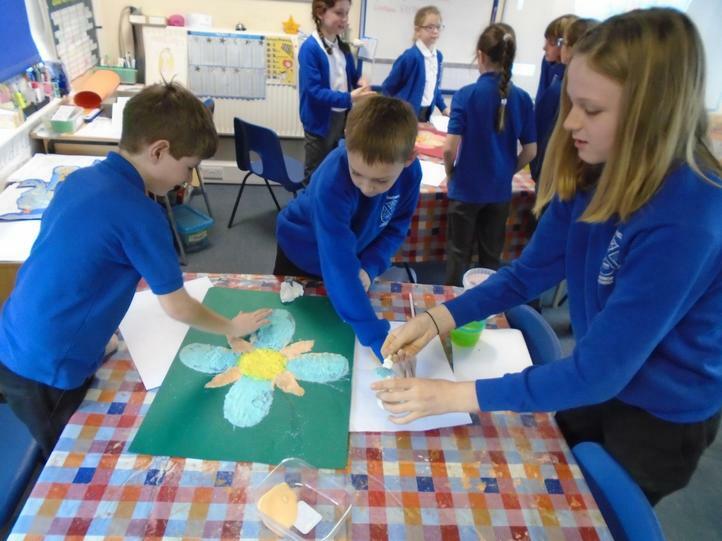 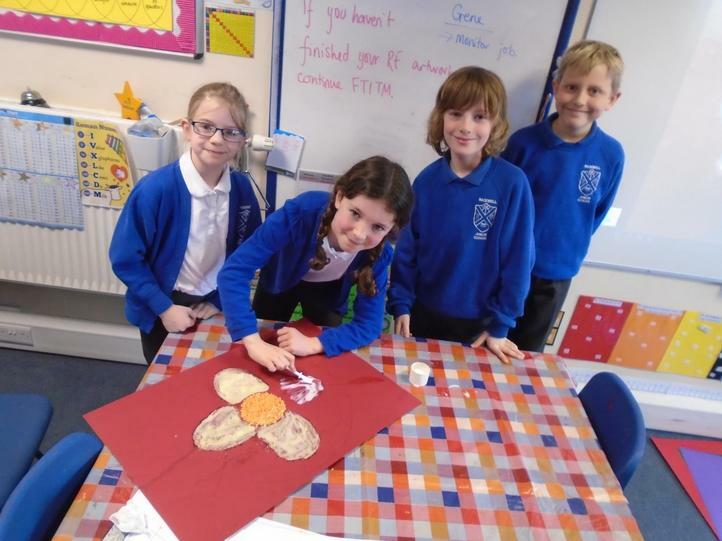 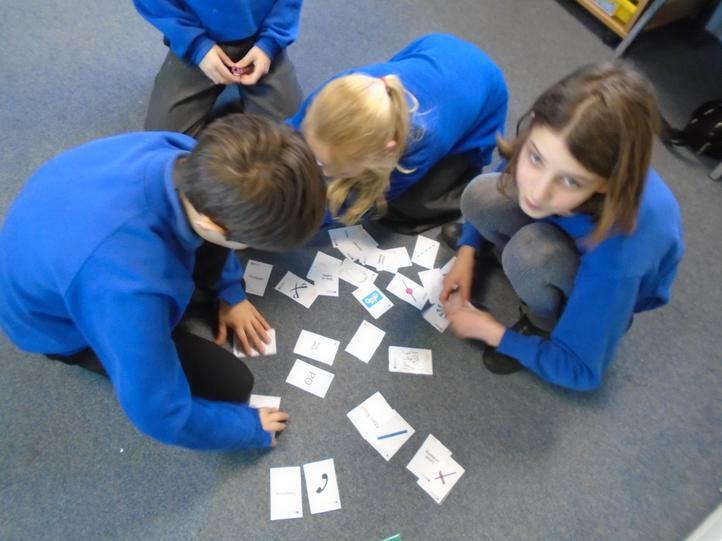 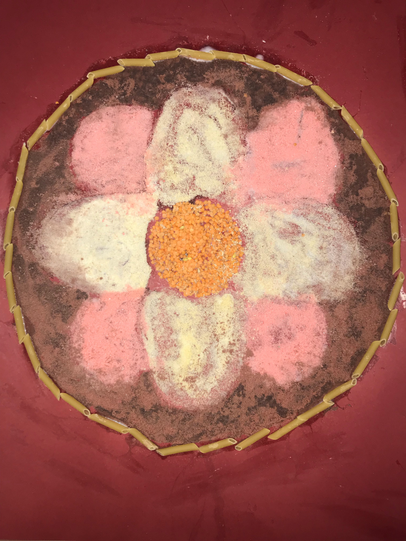 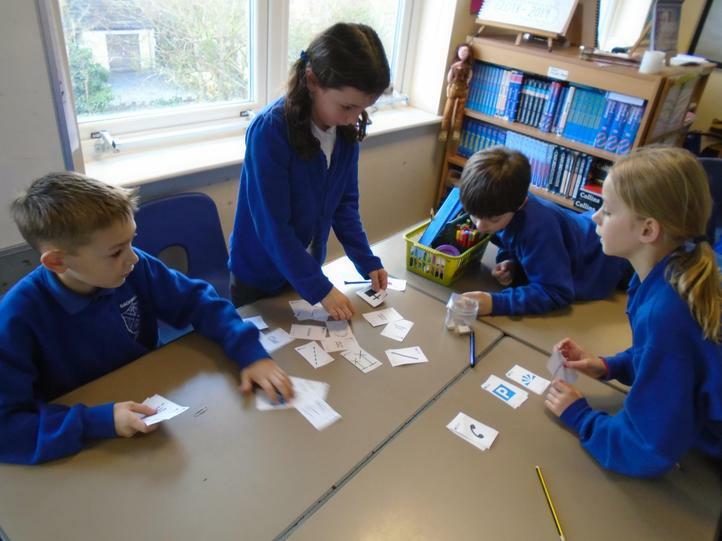 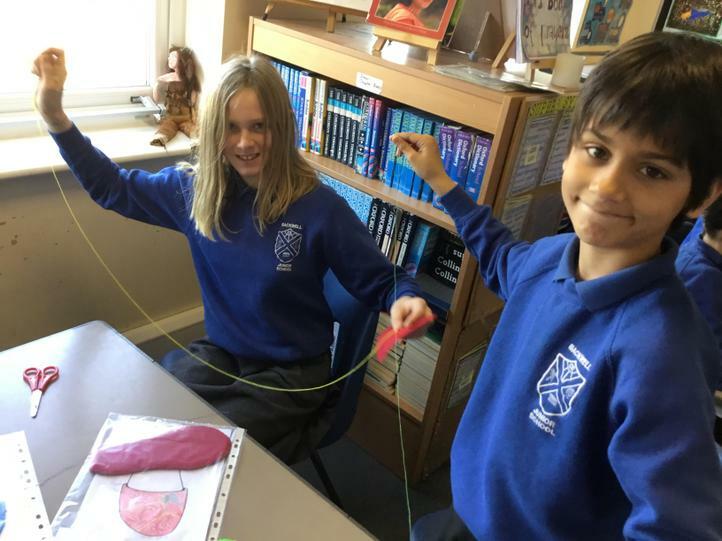 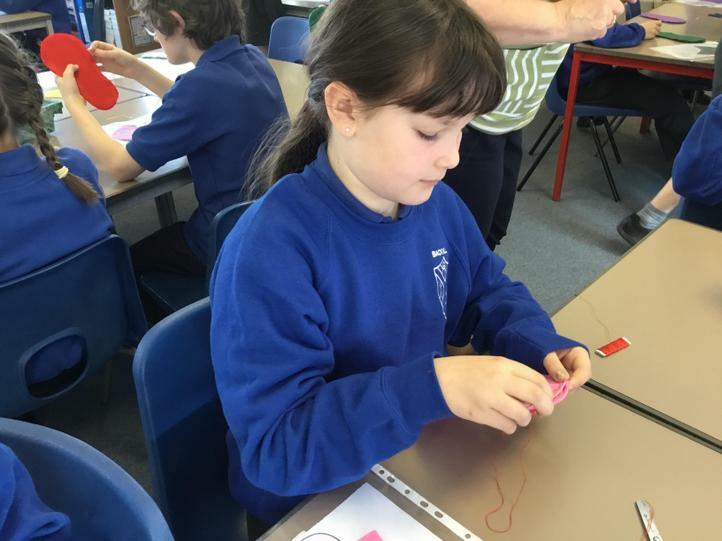 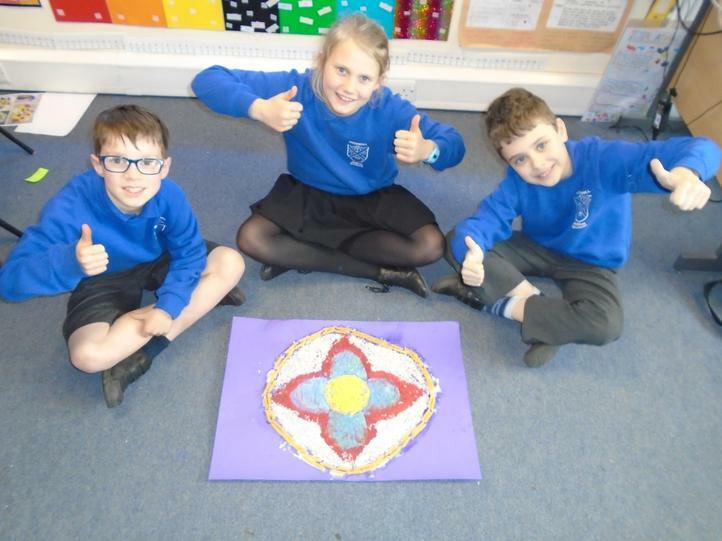 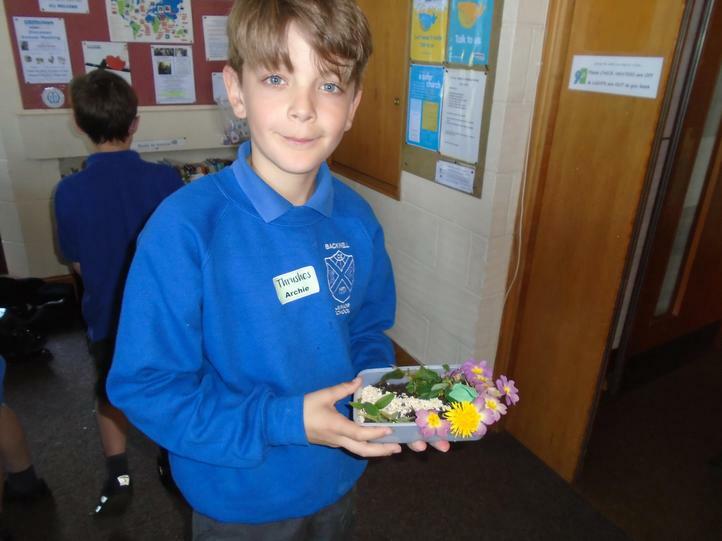 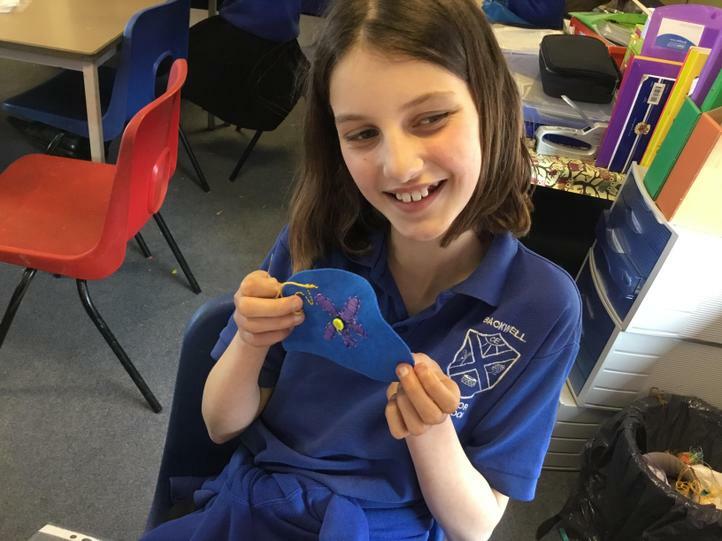 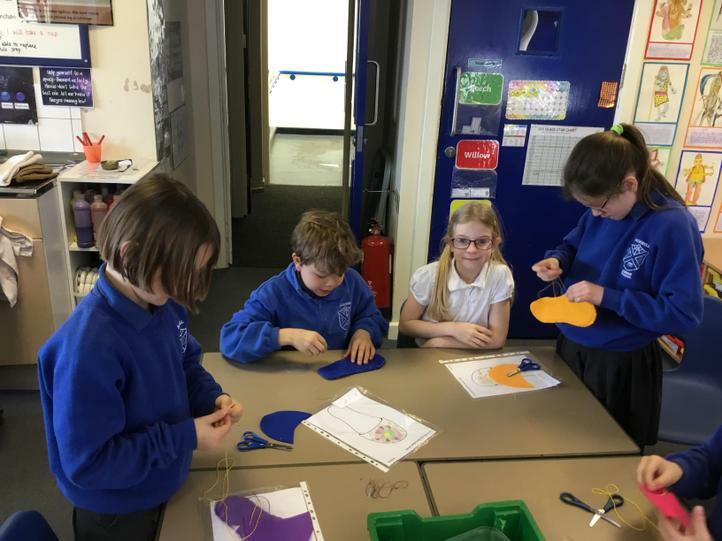 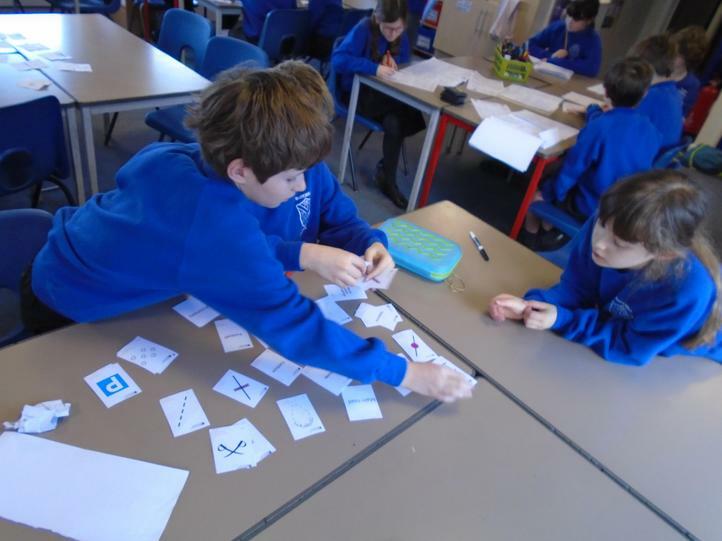 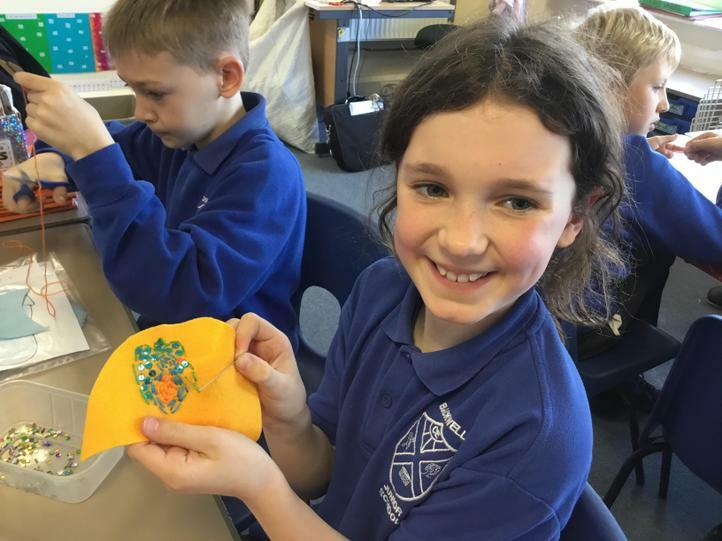 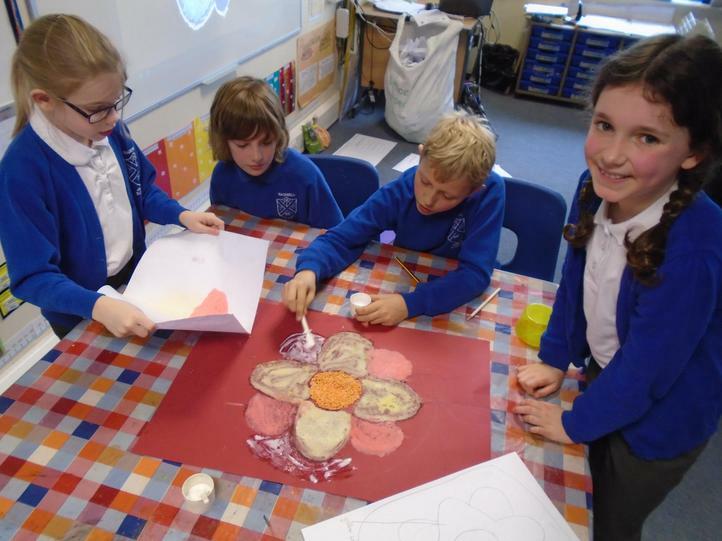 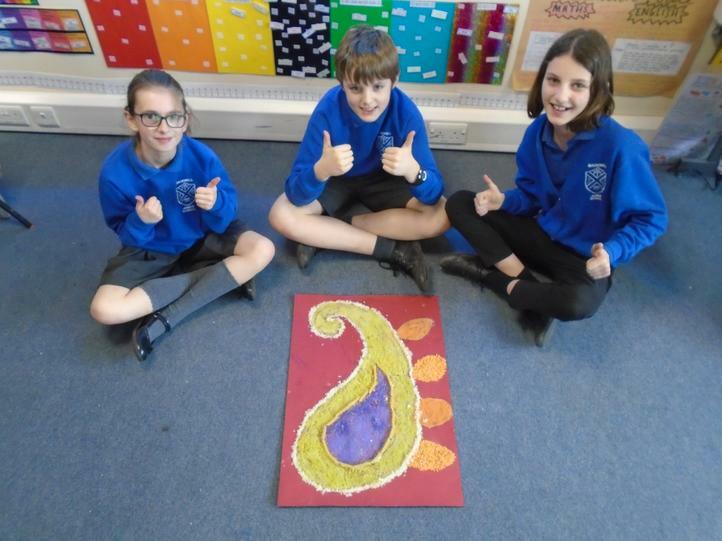 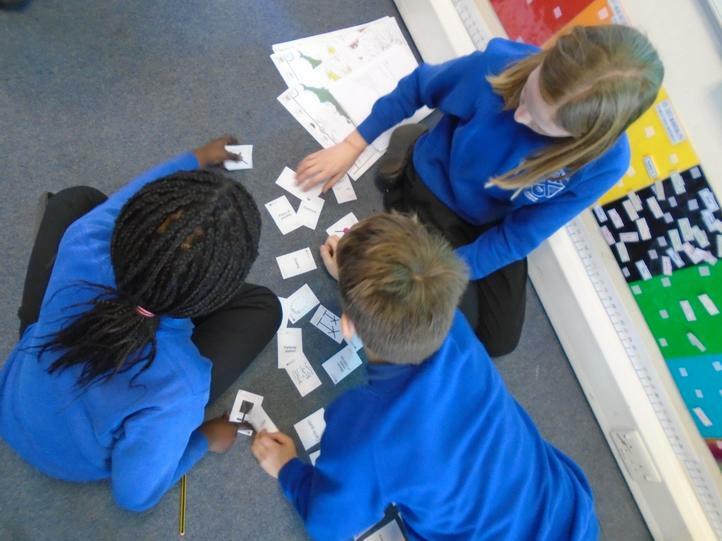 The children planned their designs, applying what they have learnt about Hinduism, with many using key images and symbols which have connections with the religion. 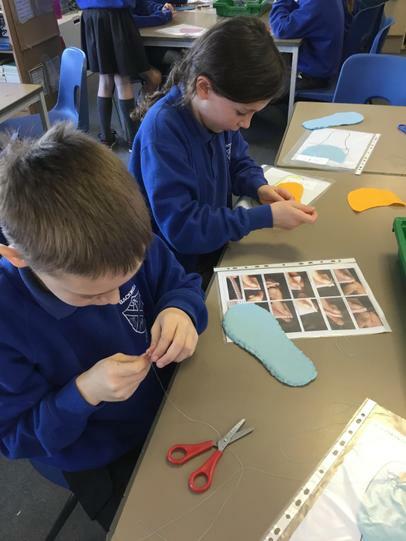 A blanket stich was used around the sole and then the fun began…embroidery for the toe piece before sewing it onto the sole. 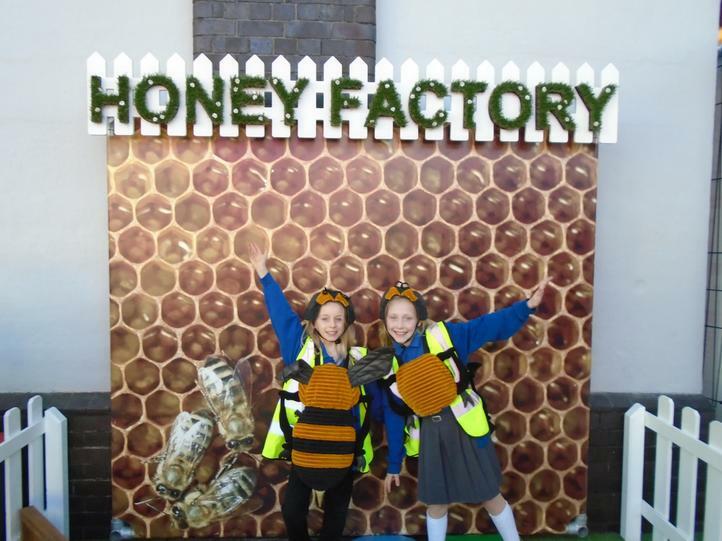 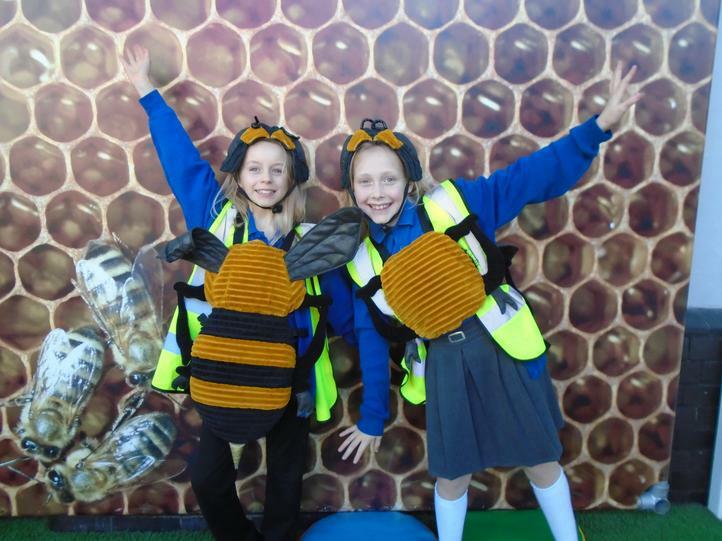 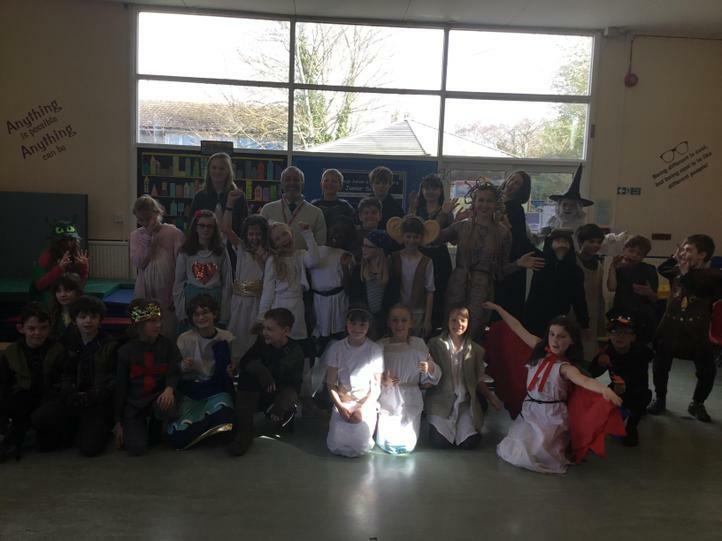 It was a very enjoyable day, which was made much easier by the kind parent helpers who gave up their time to help us – thank you! 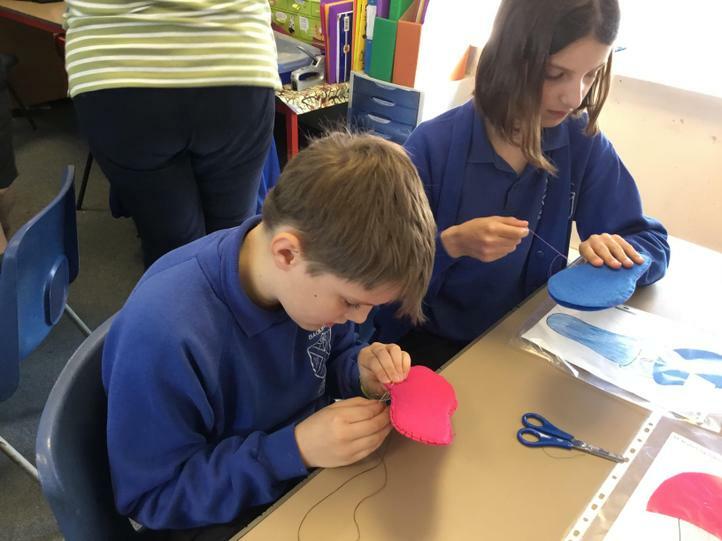 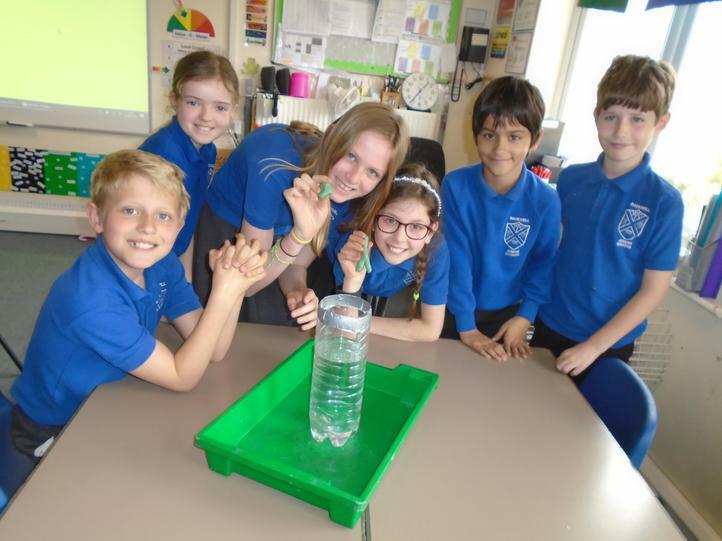 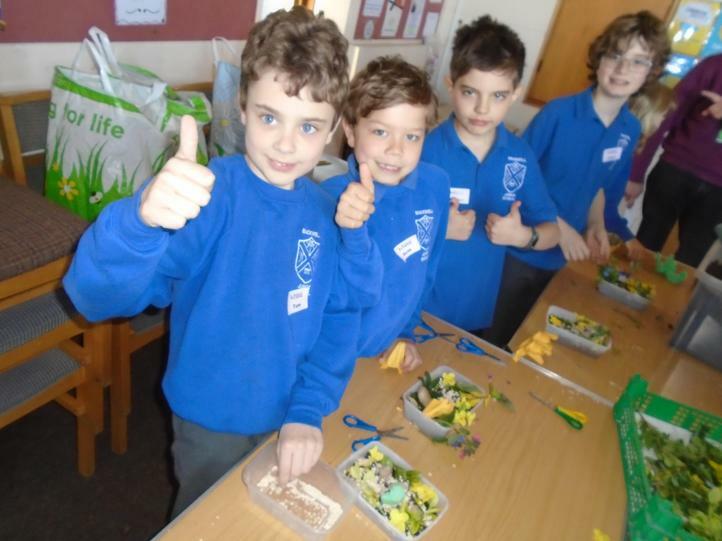 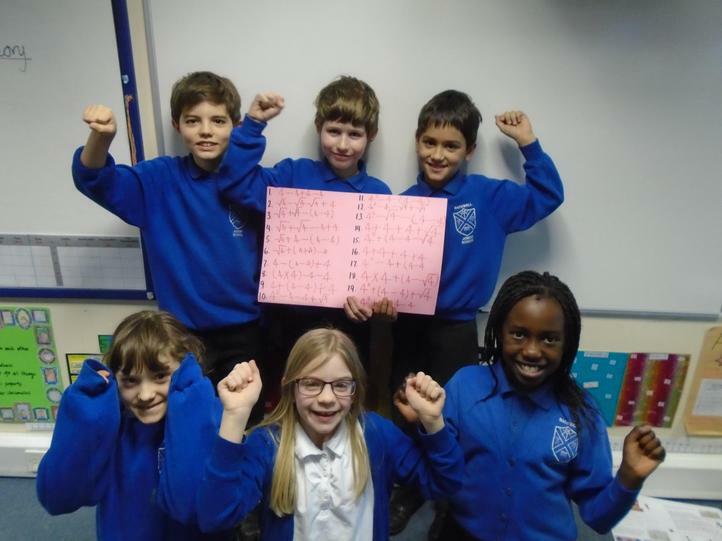 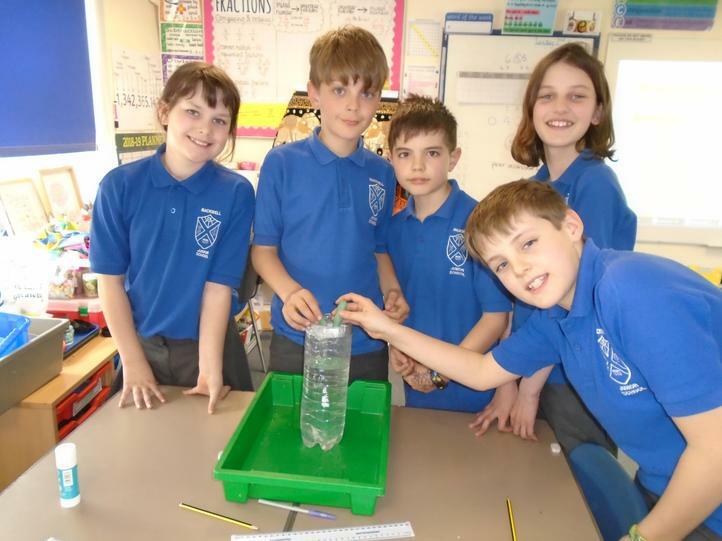 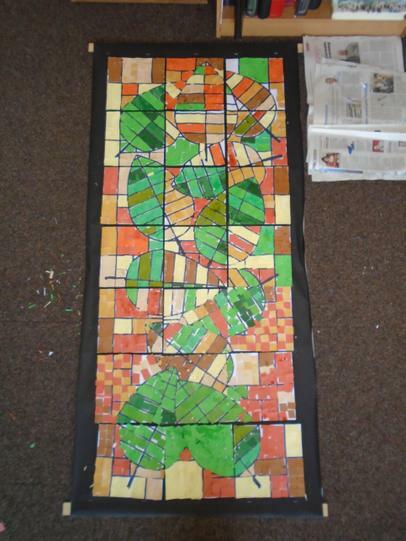 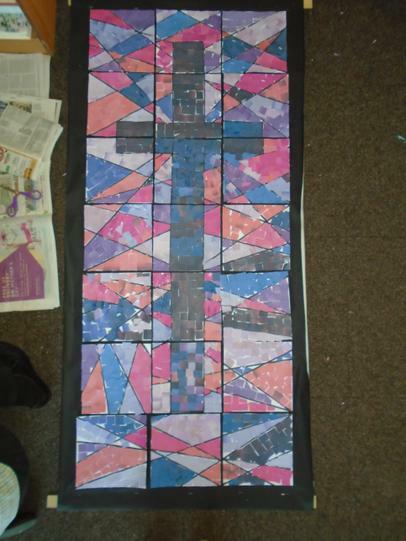 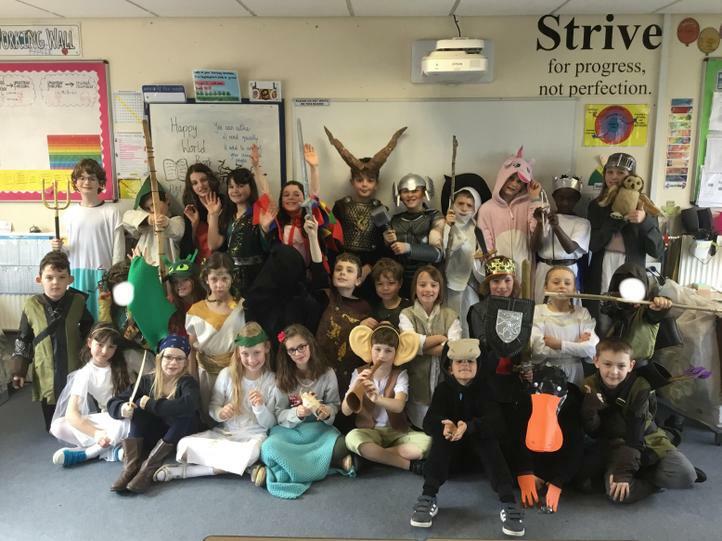 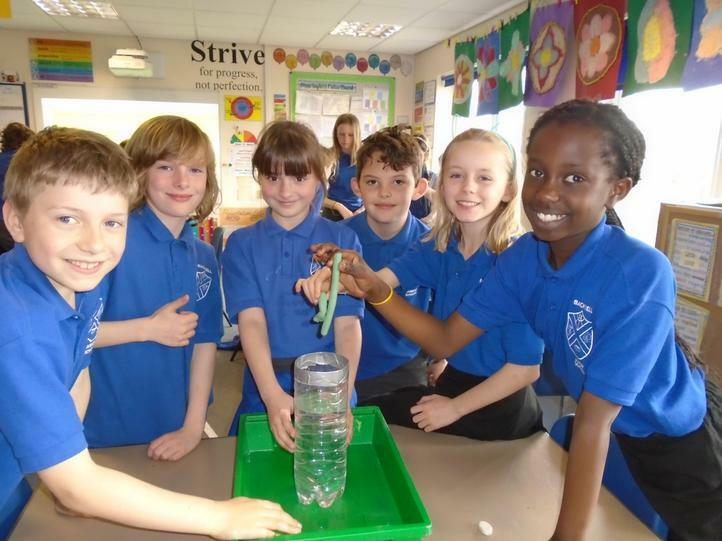 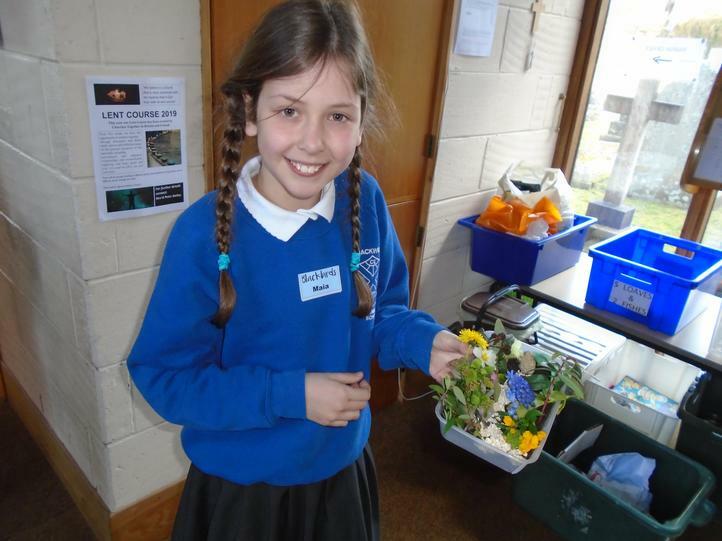 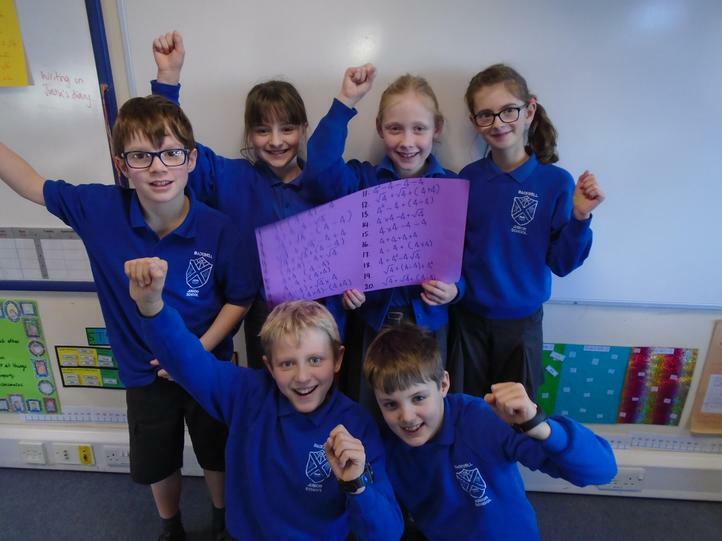 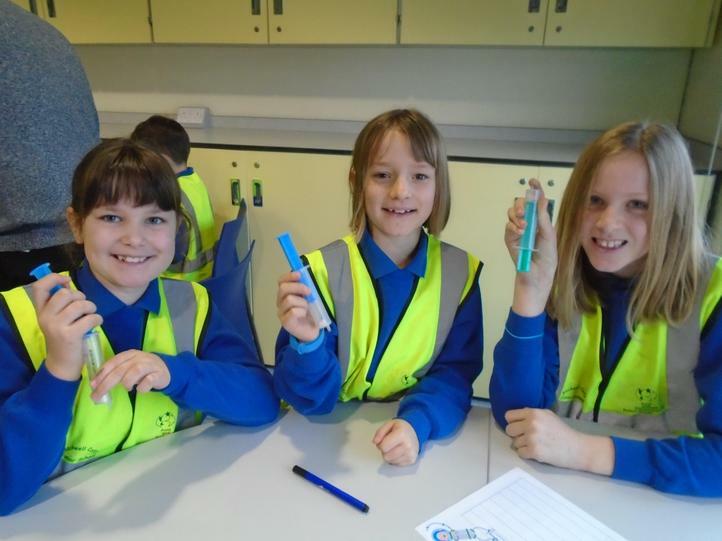 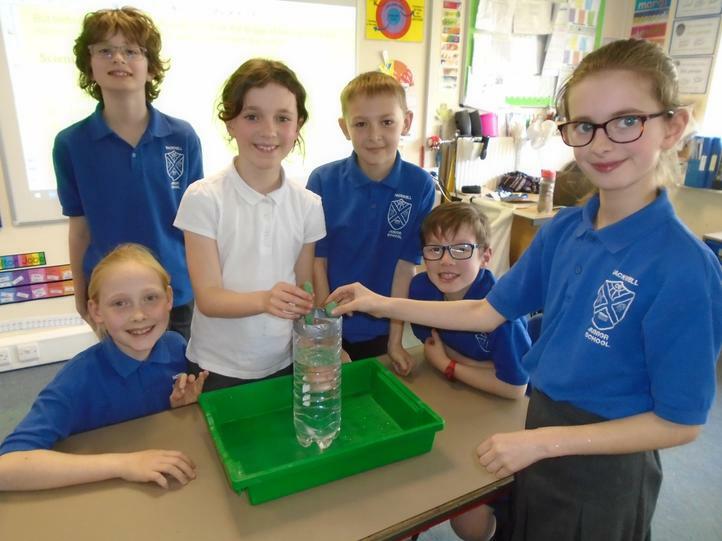 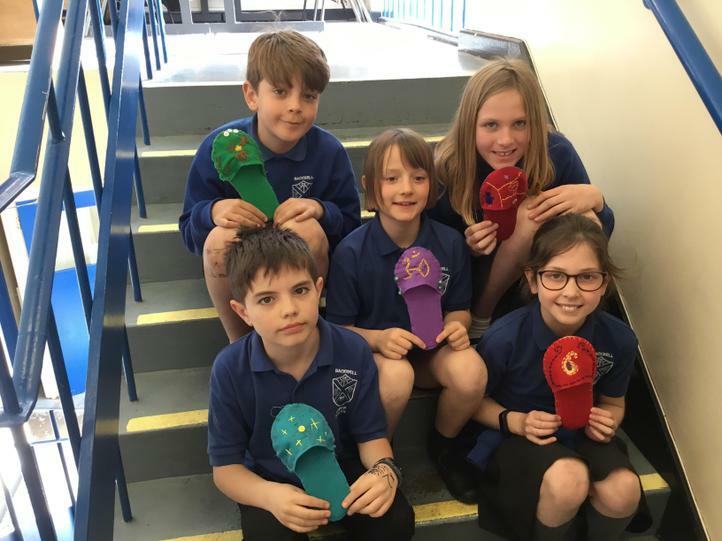 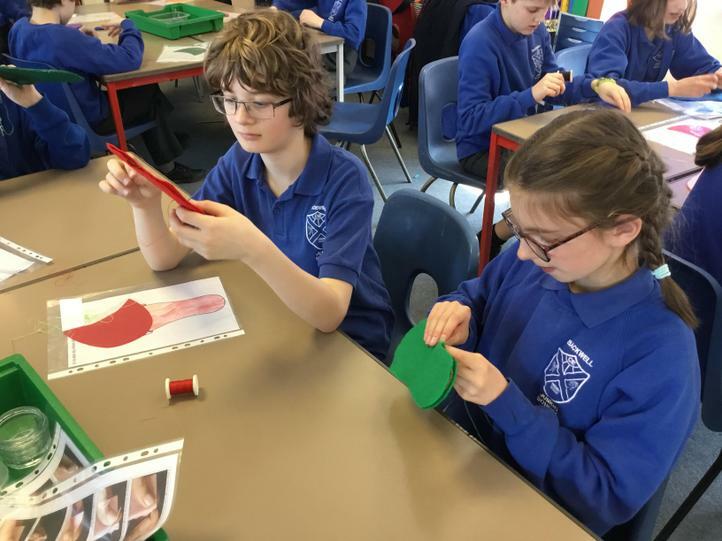 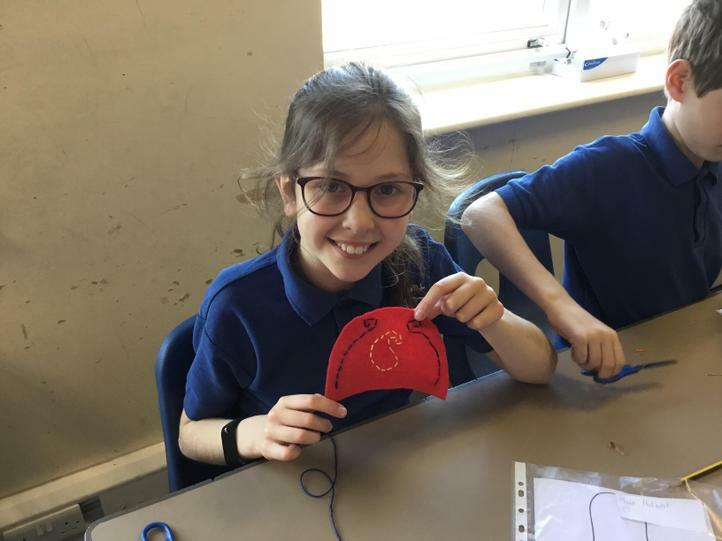 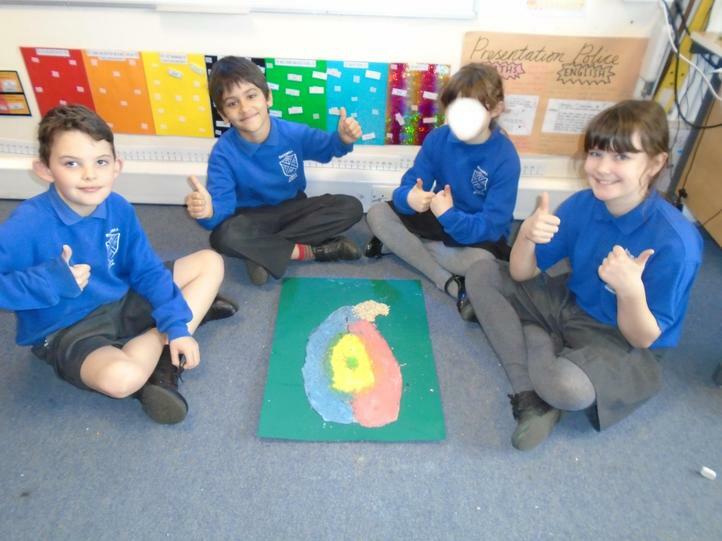 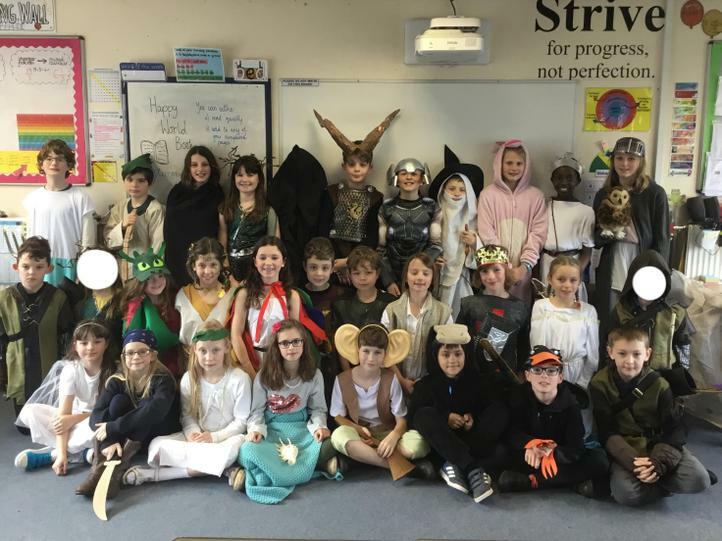 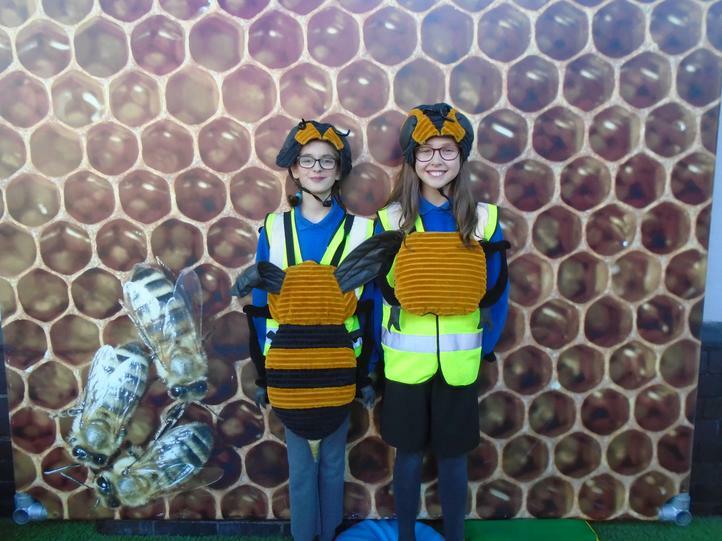 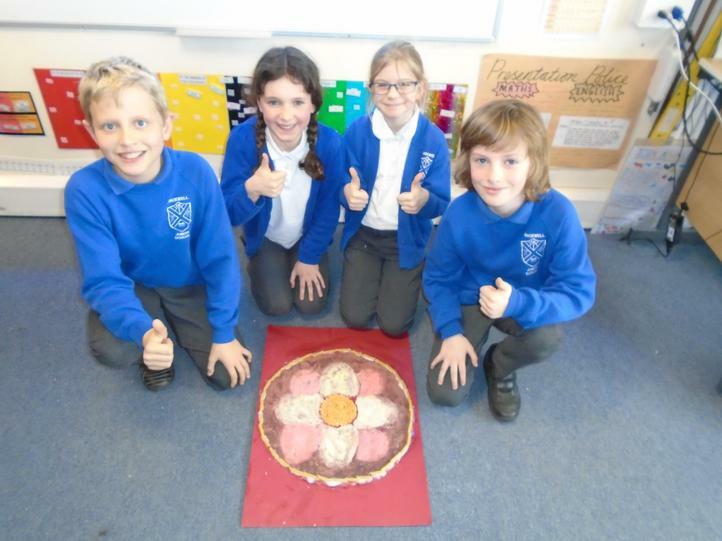 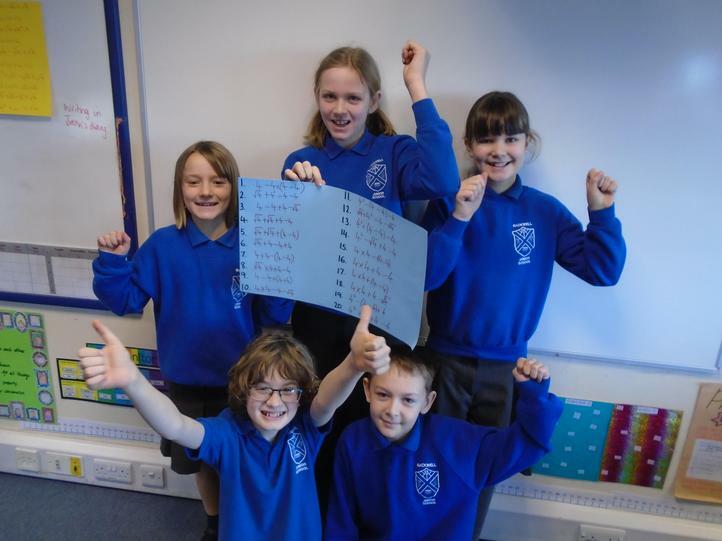 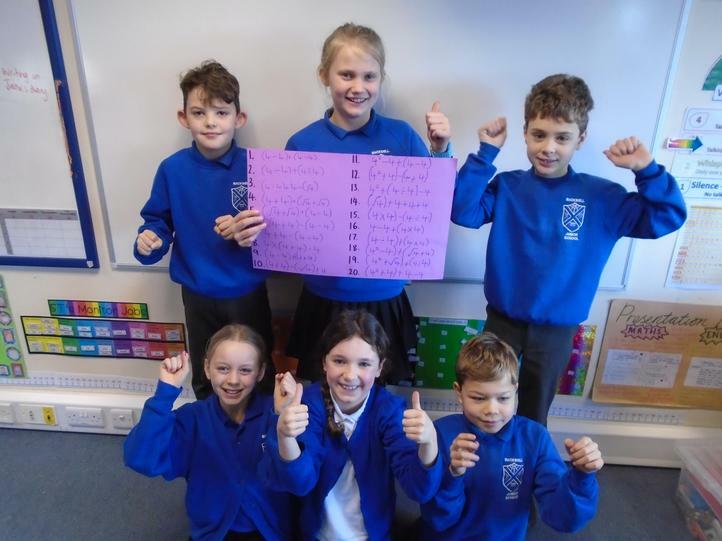 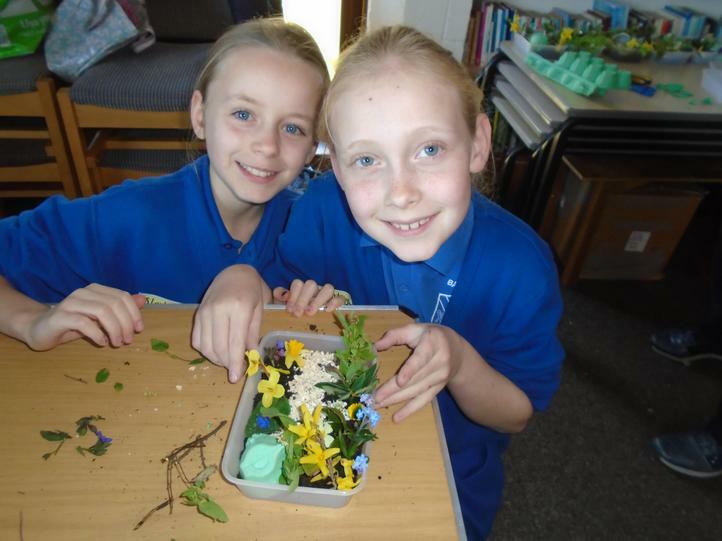 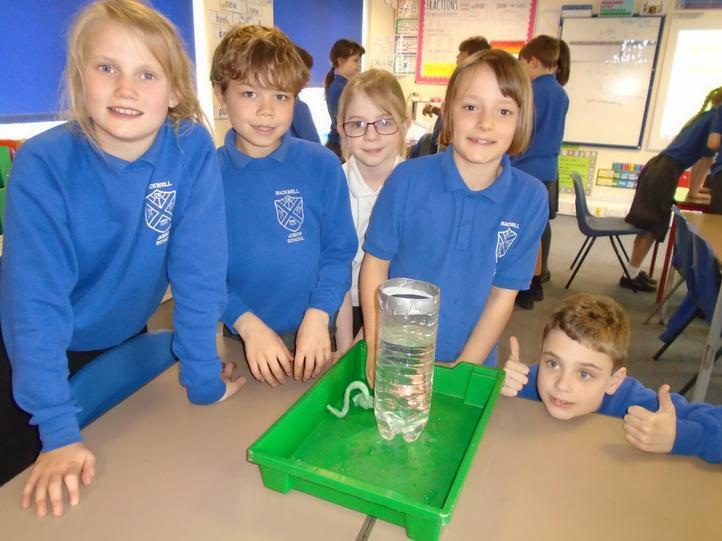 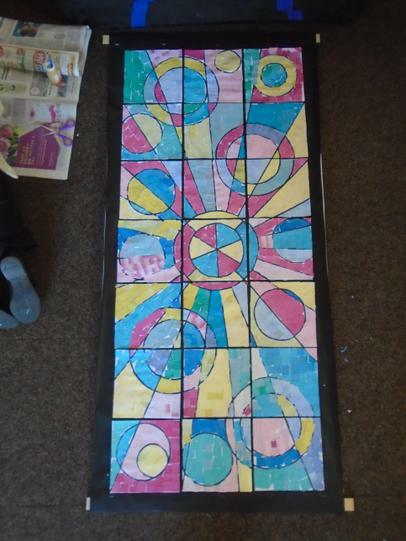 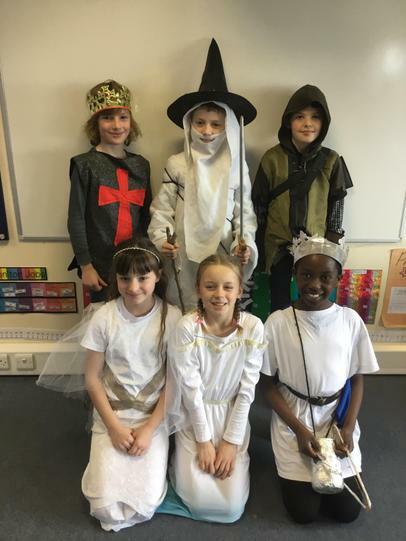 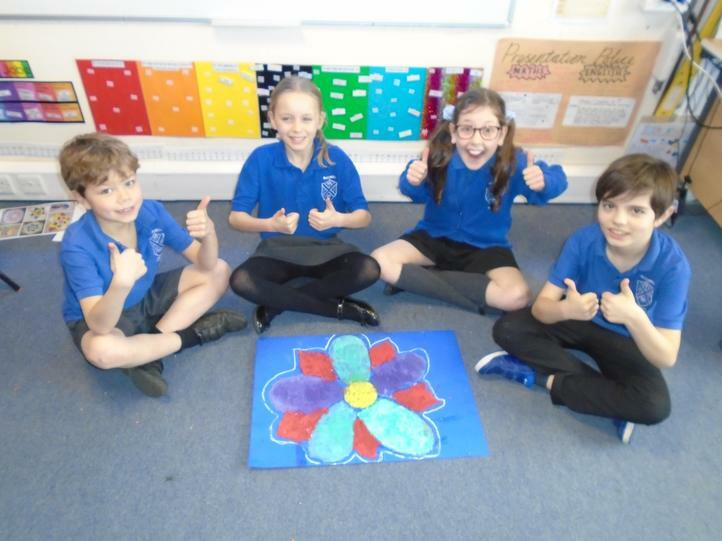 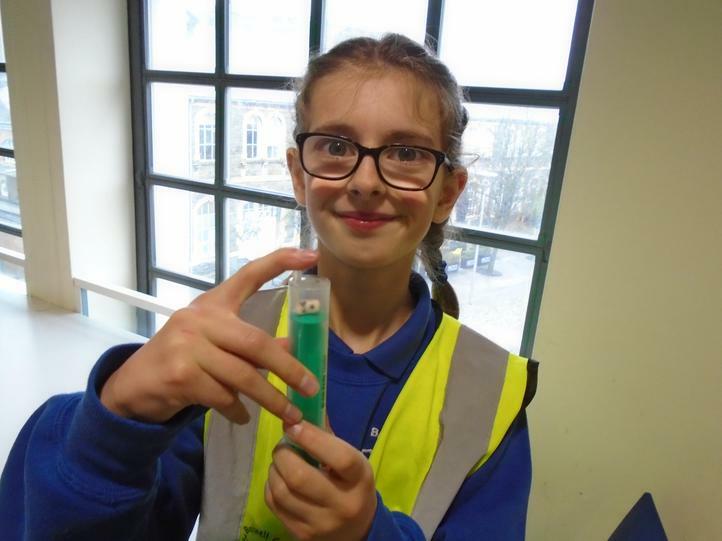 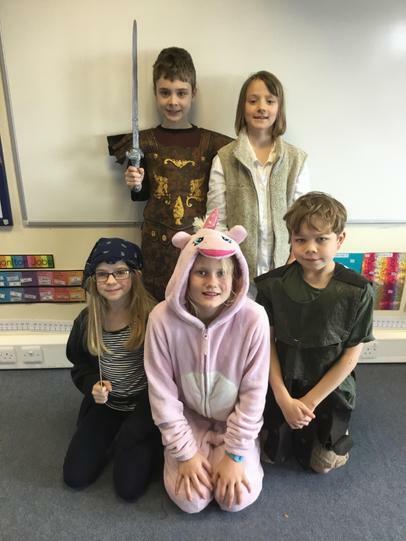 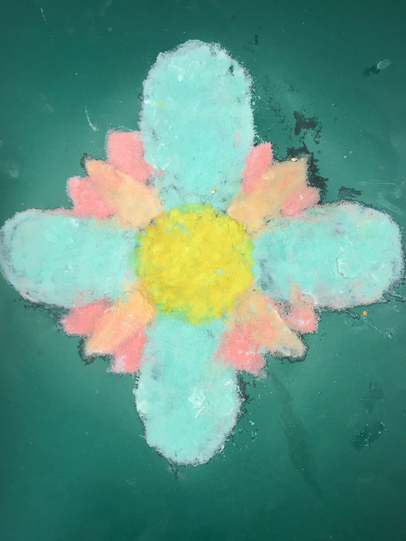 Well done, 5T – what fabulous work! 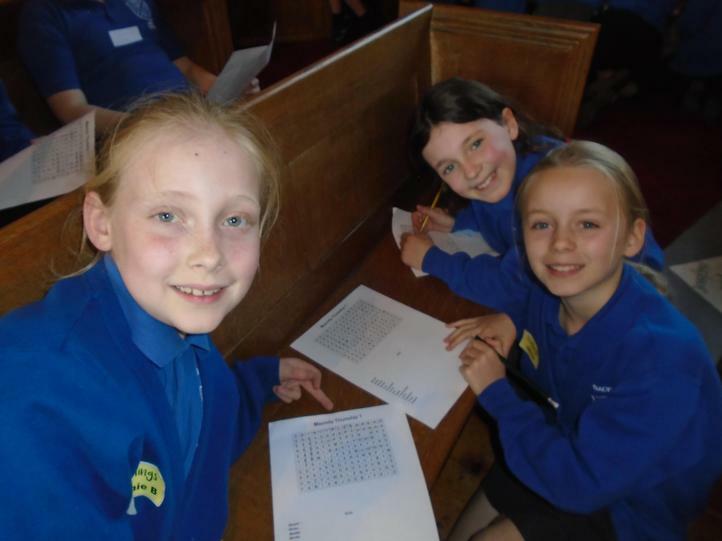 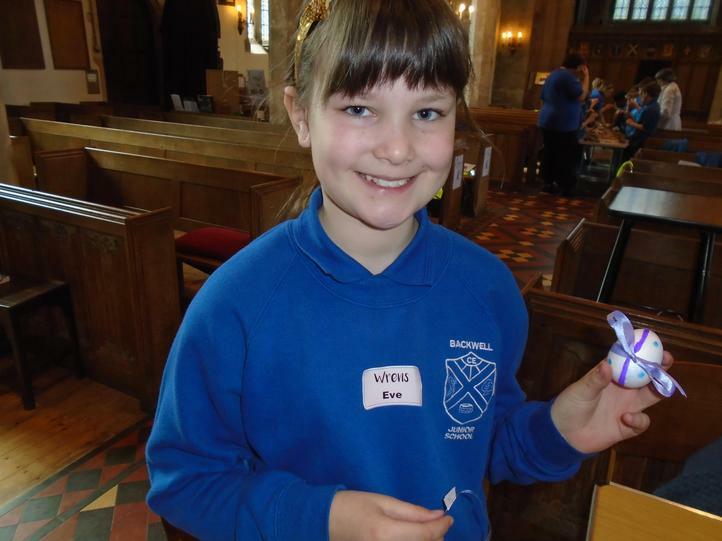 We had such a fabulous day at St Andrew’s Church on Thursday. 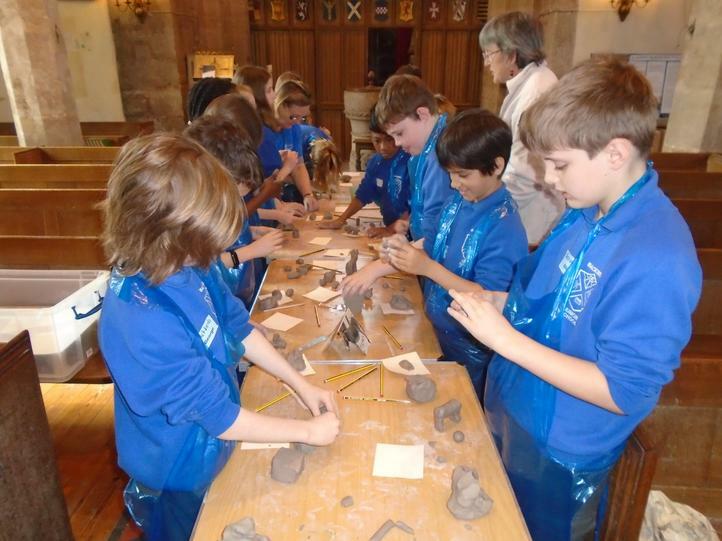 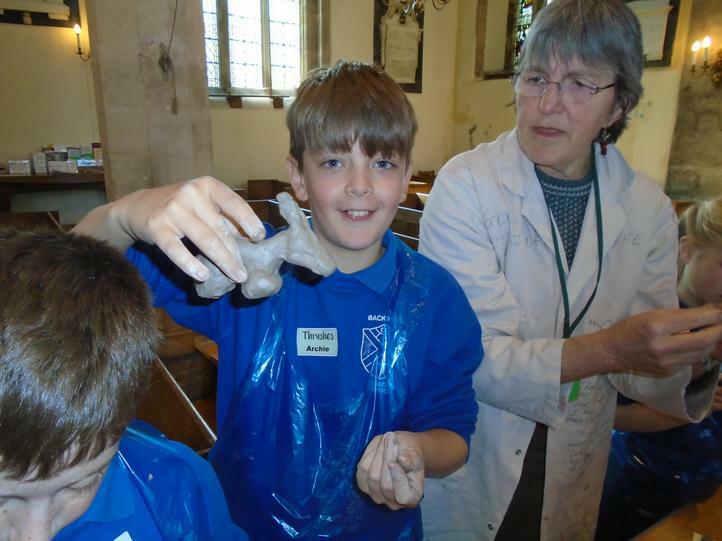 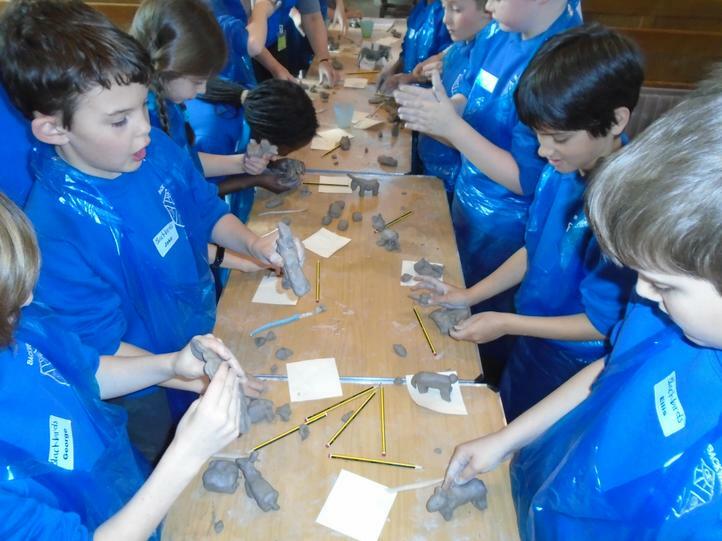 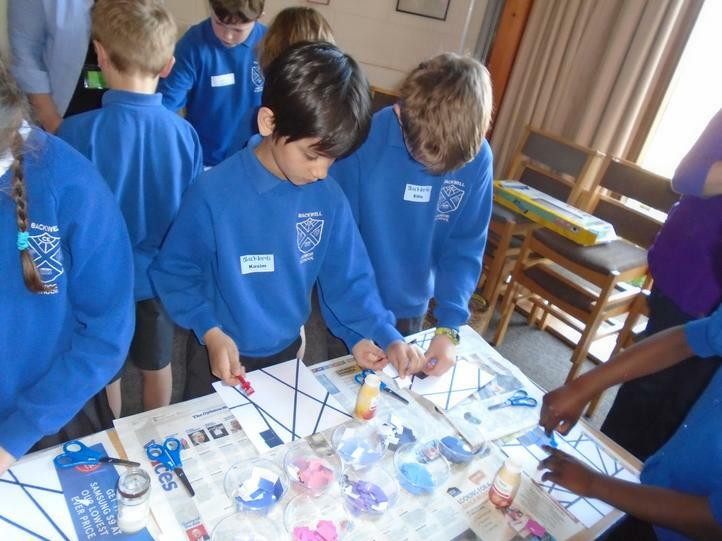 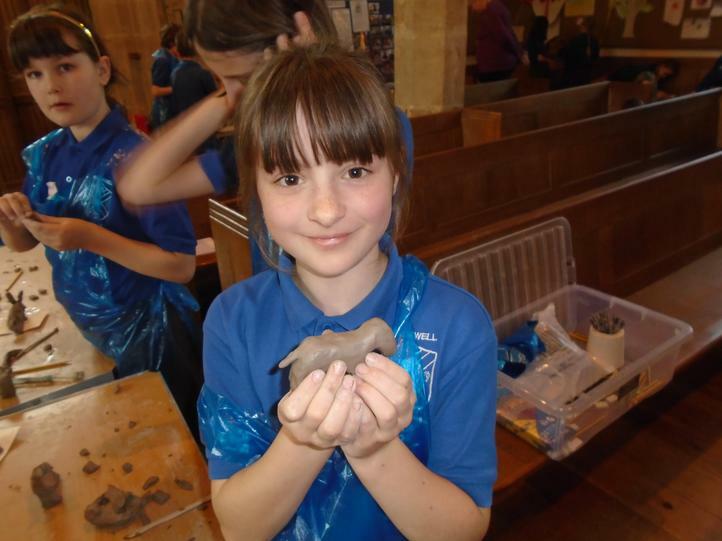 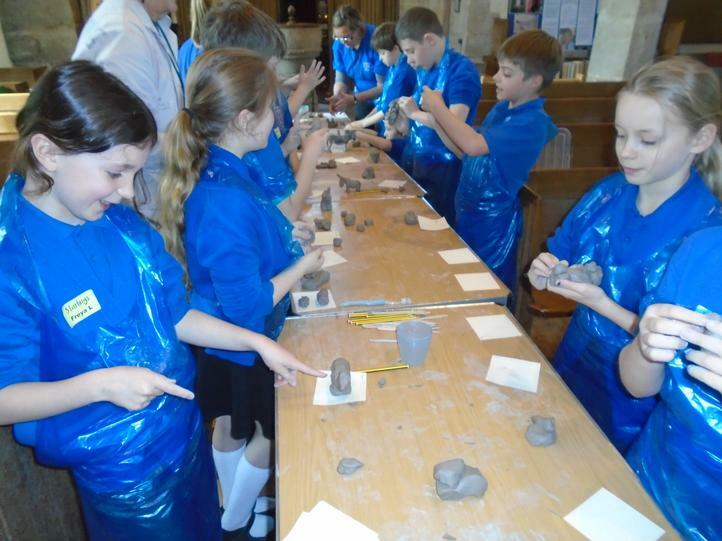 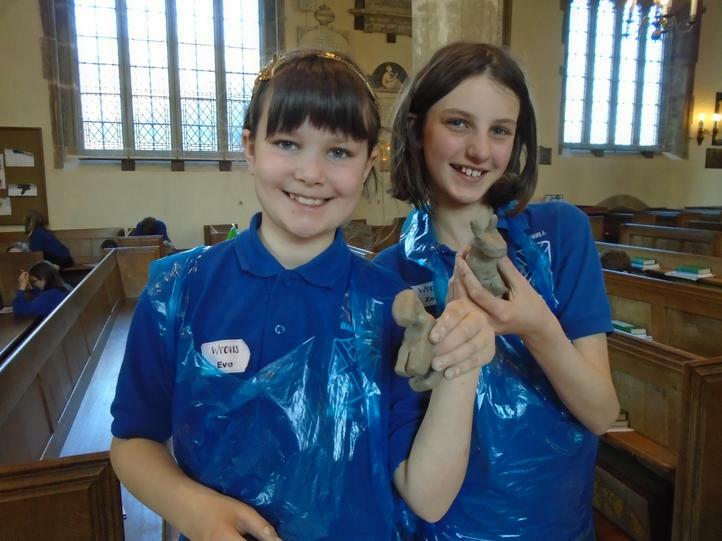 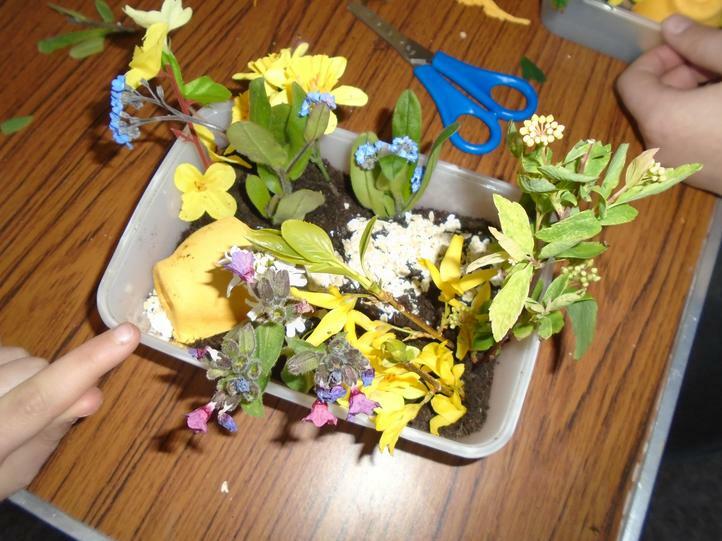 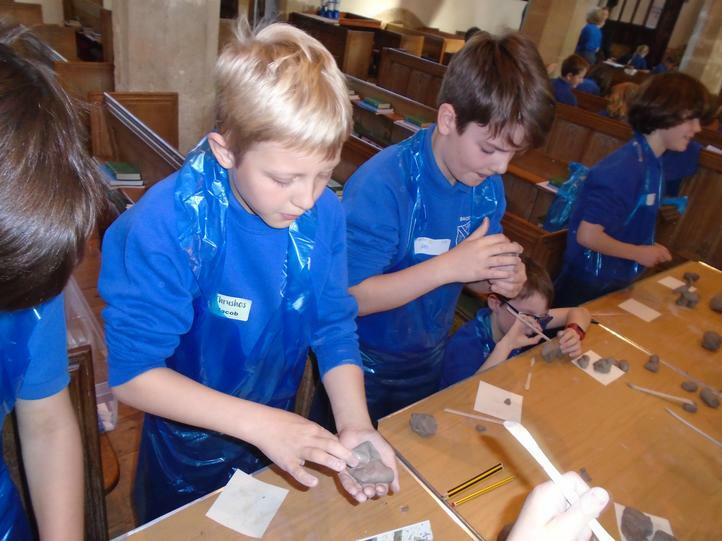 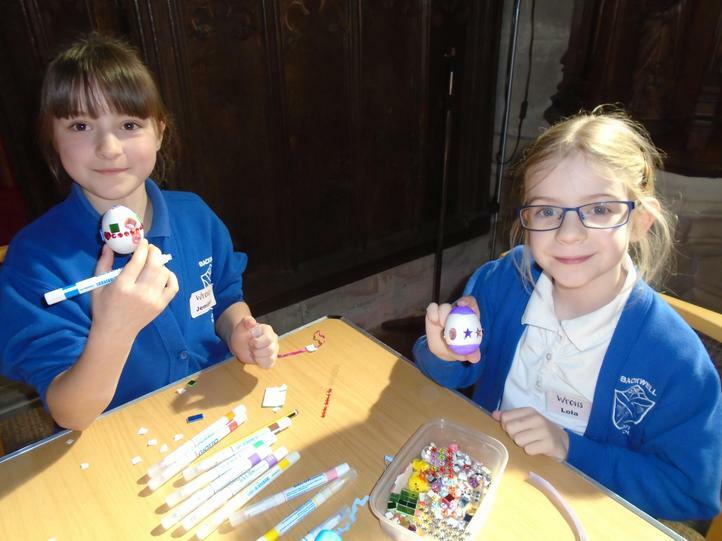 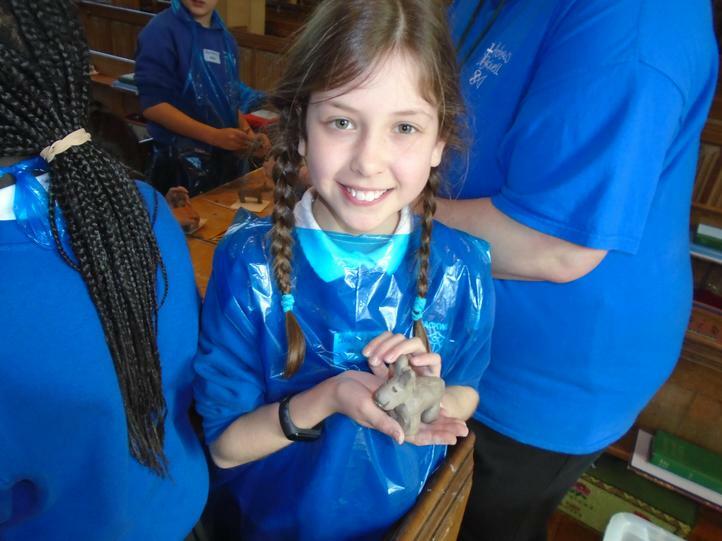 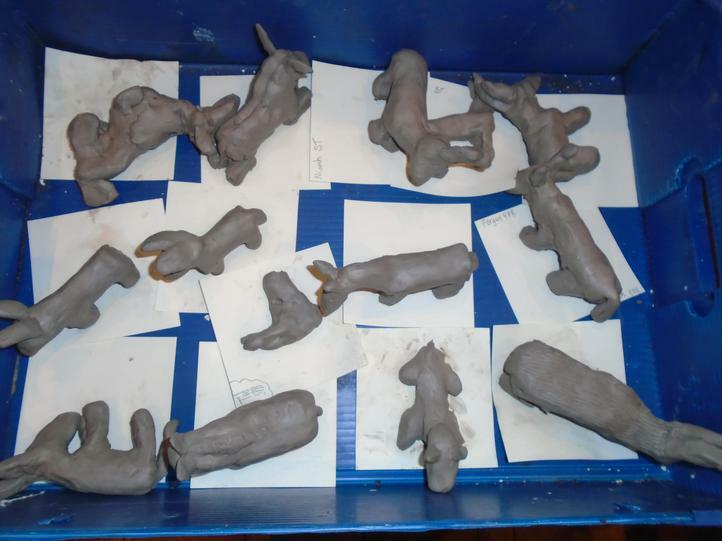 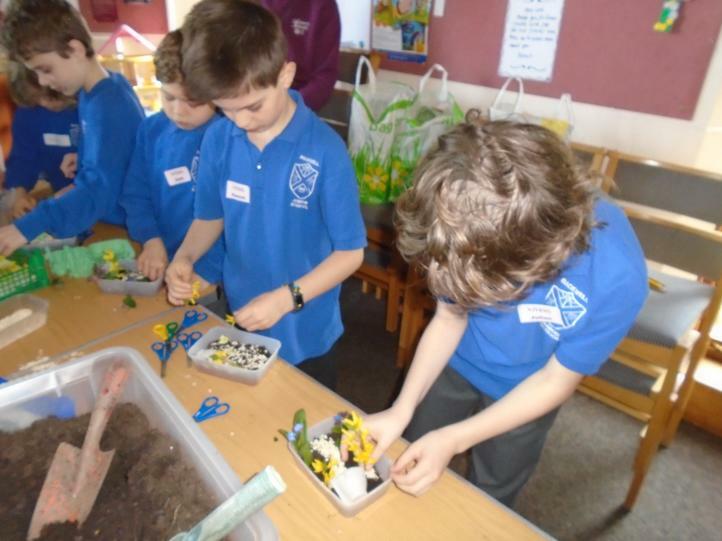 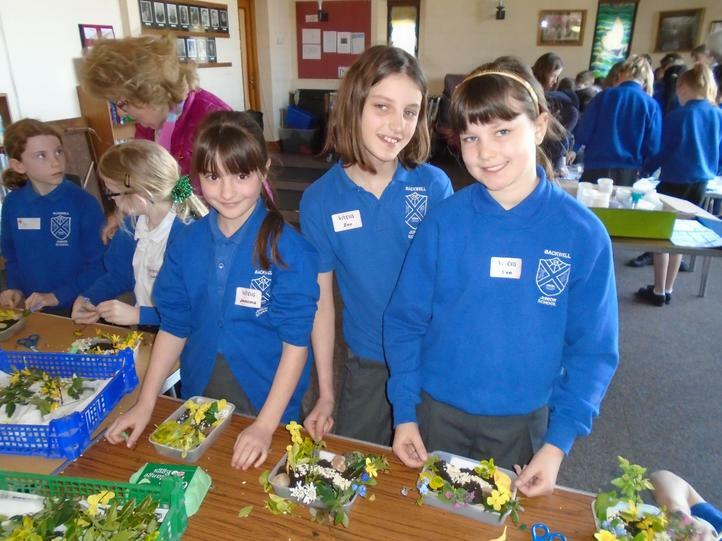 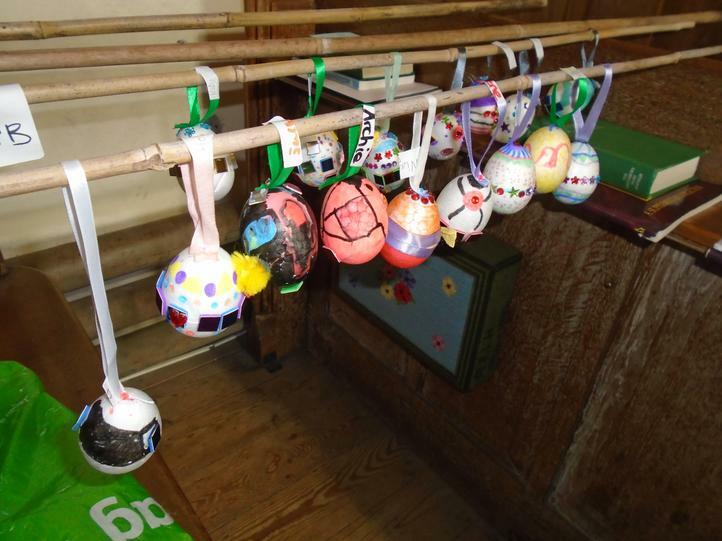 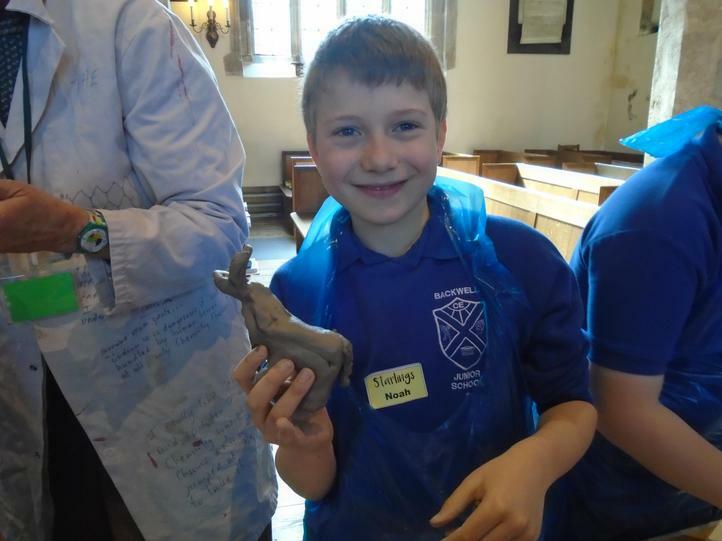 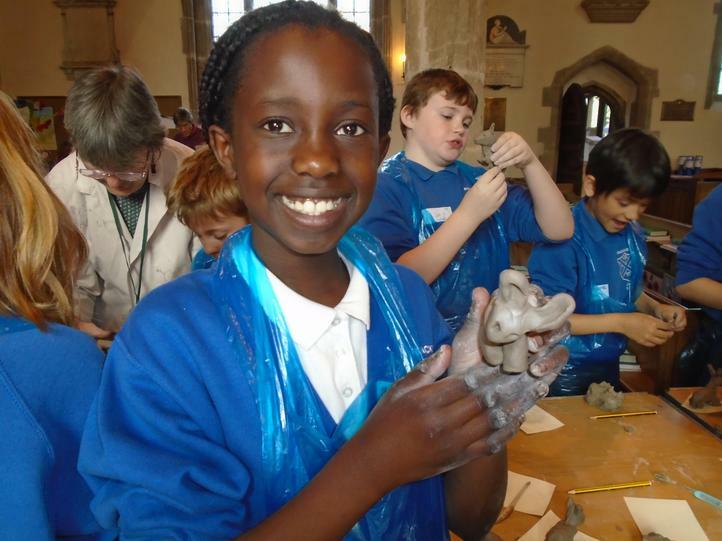 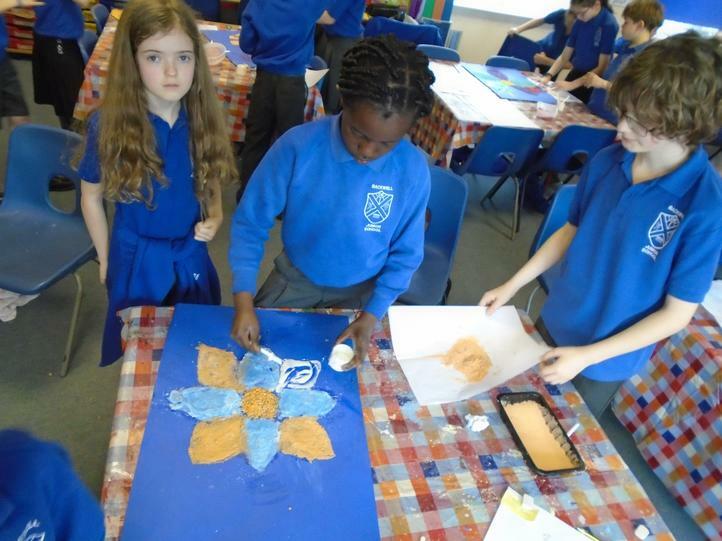 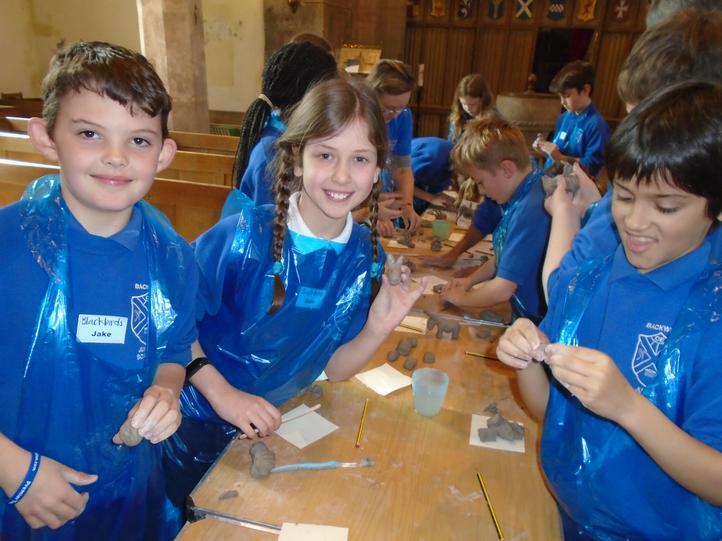 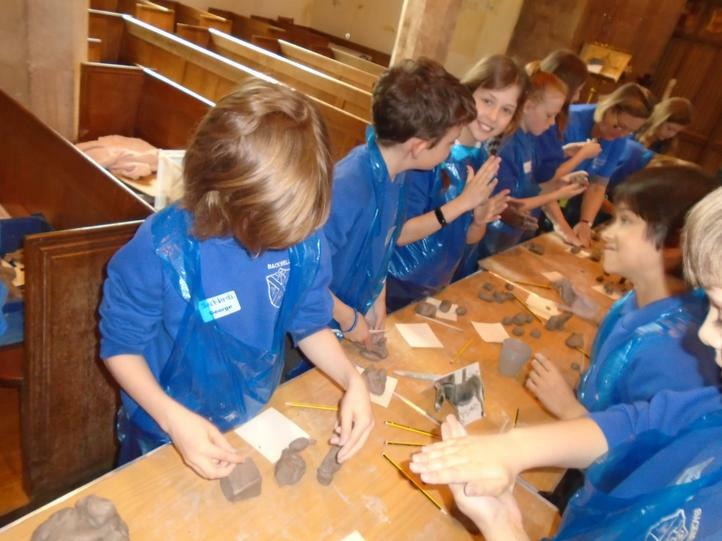 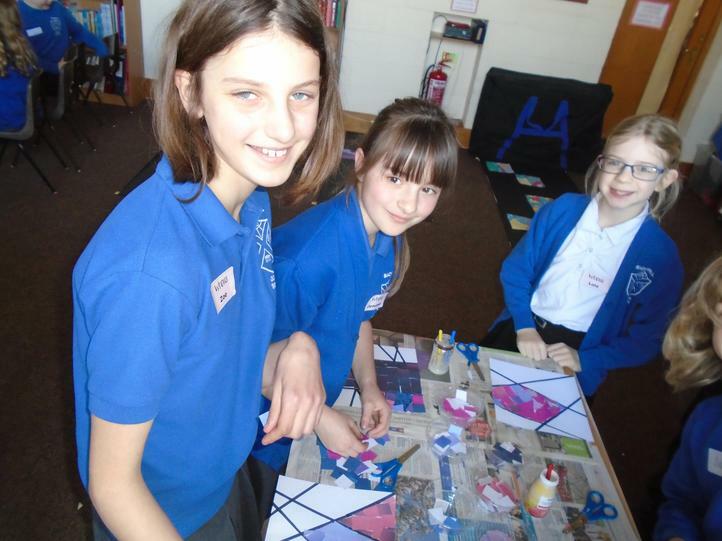 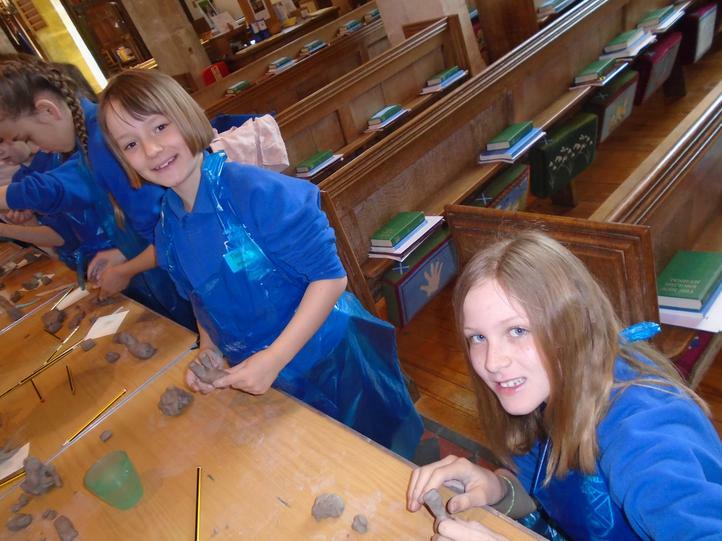 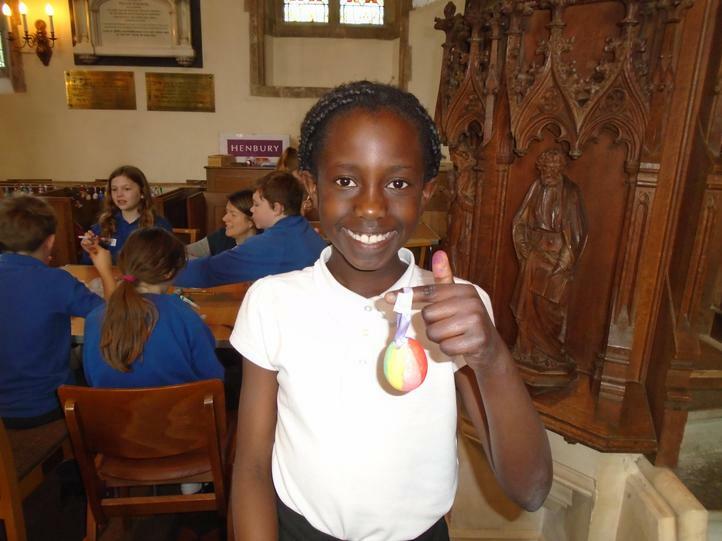 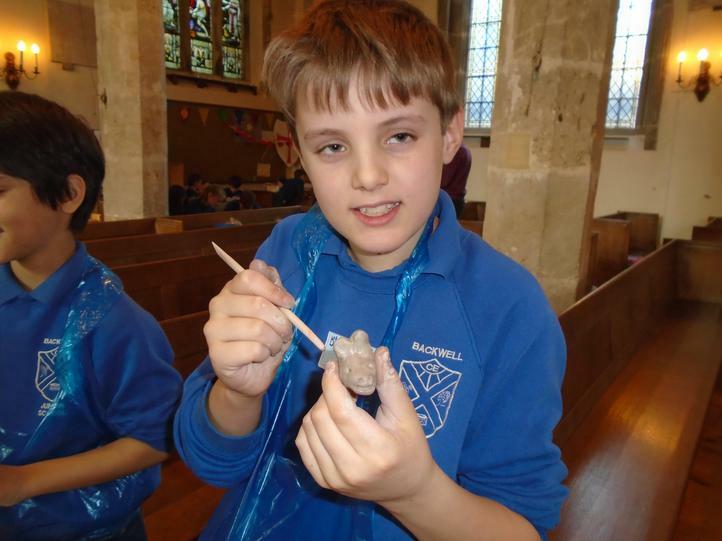 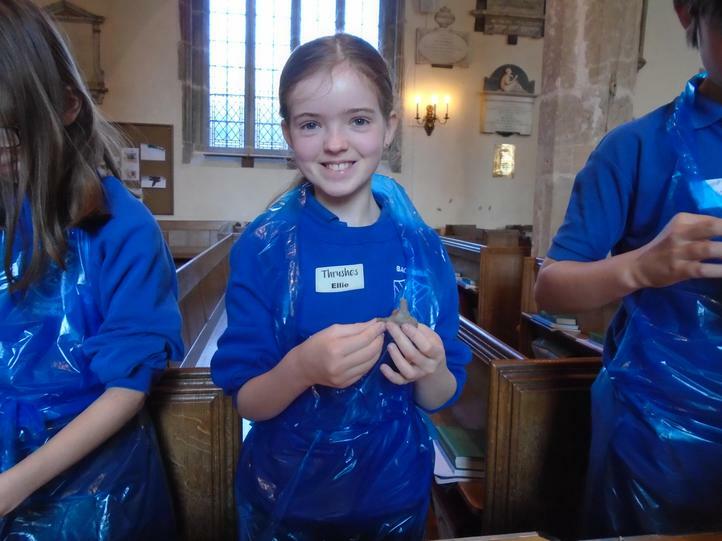 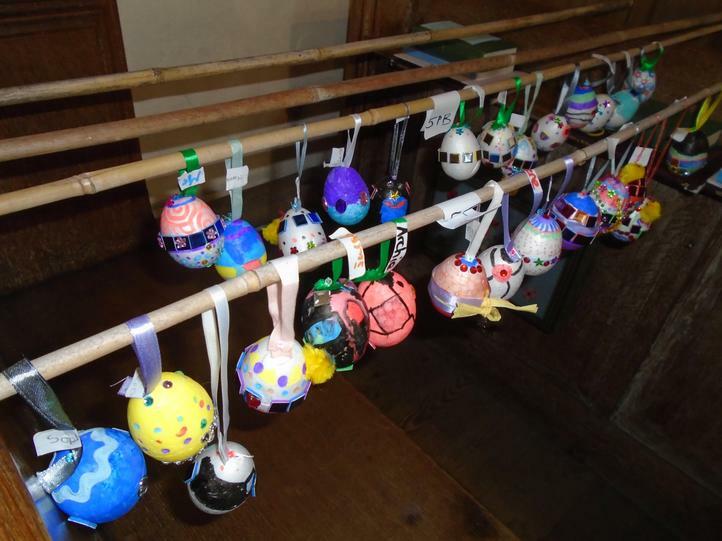 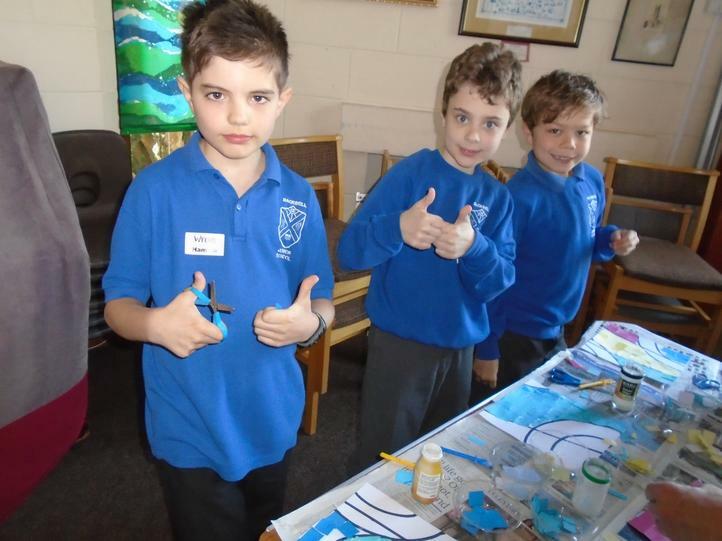 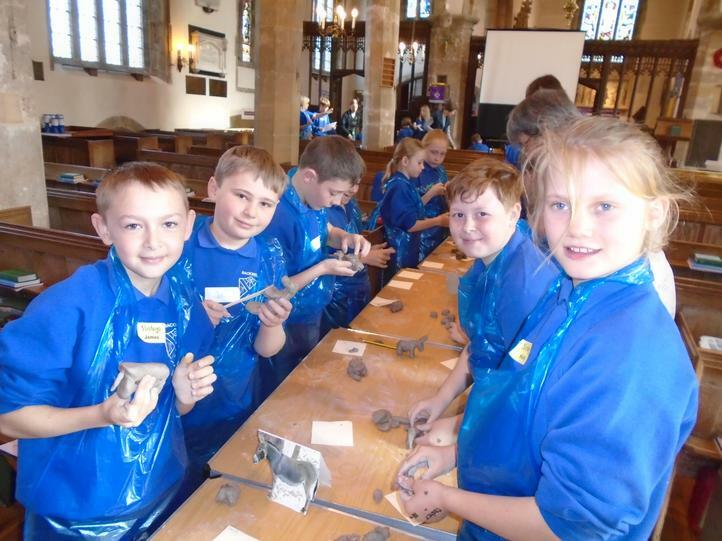 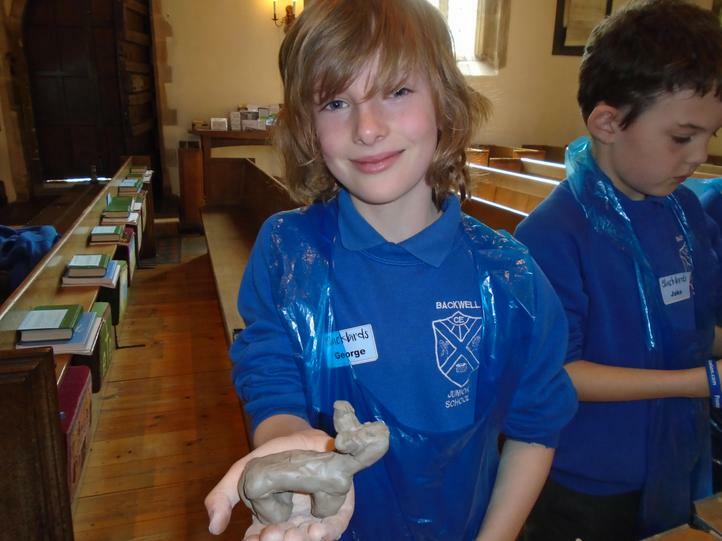 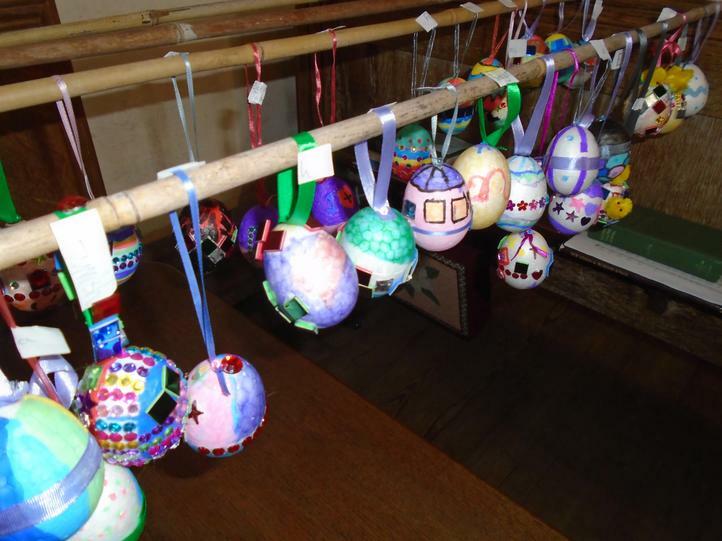 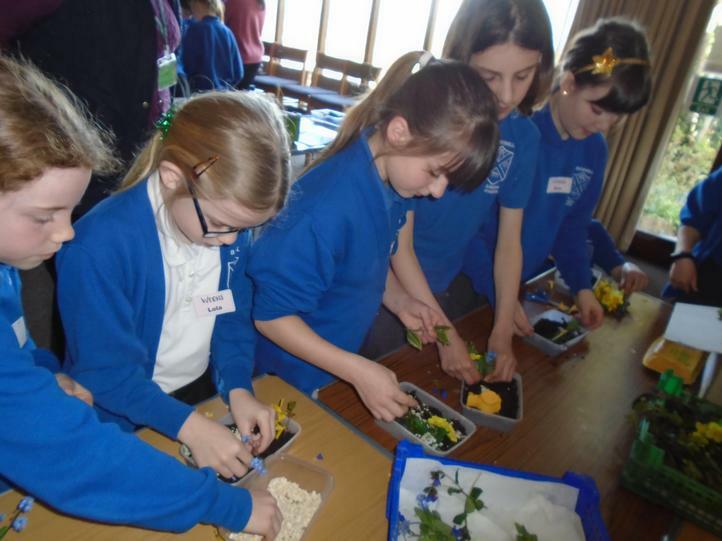 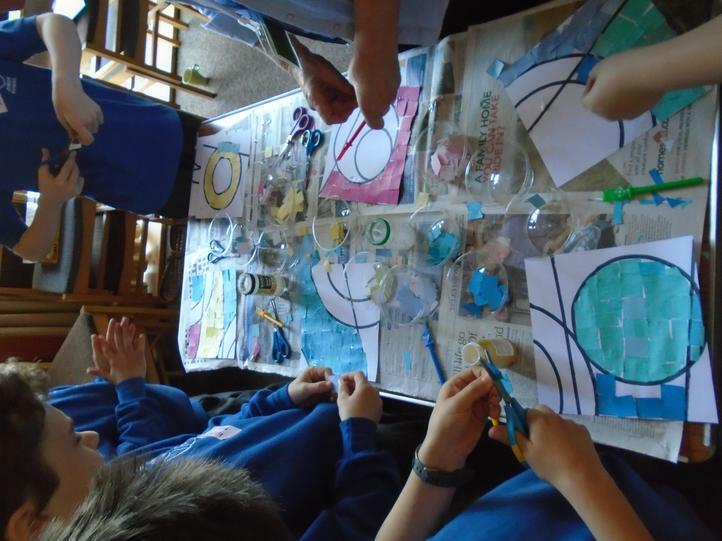 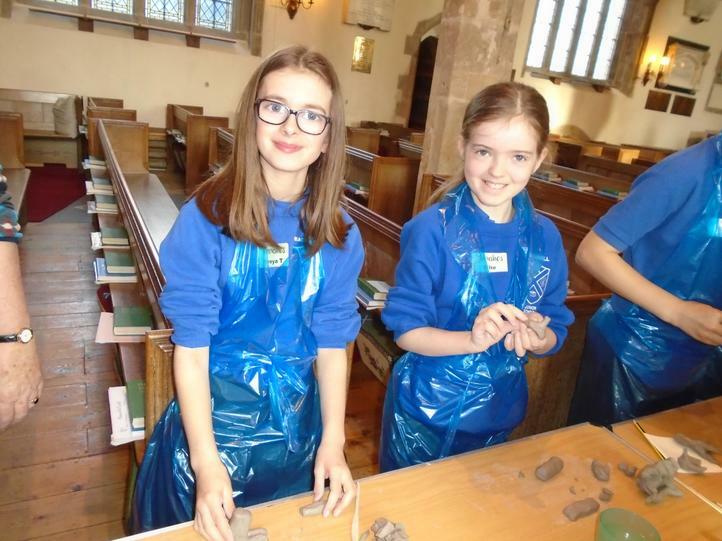 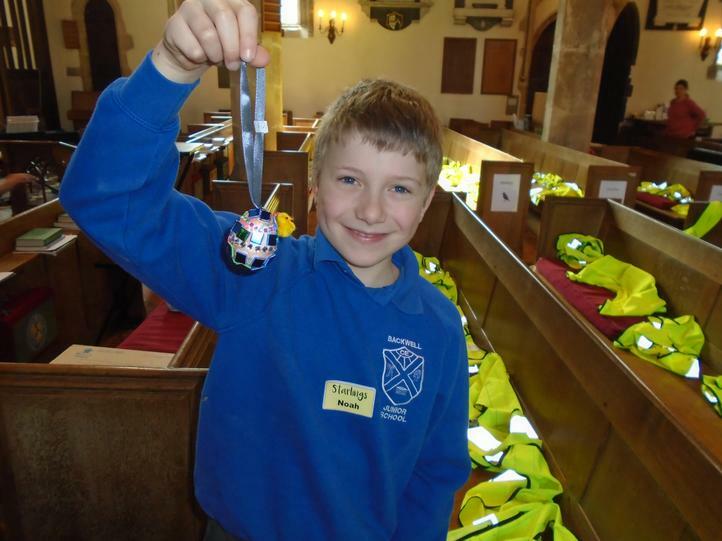 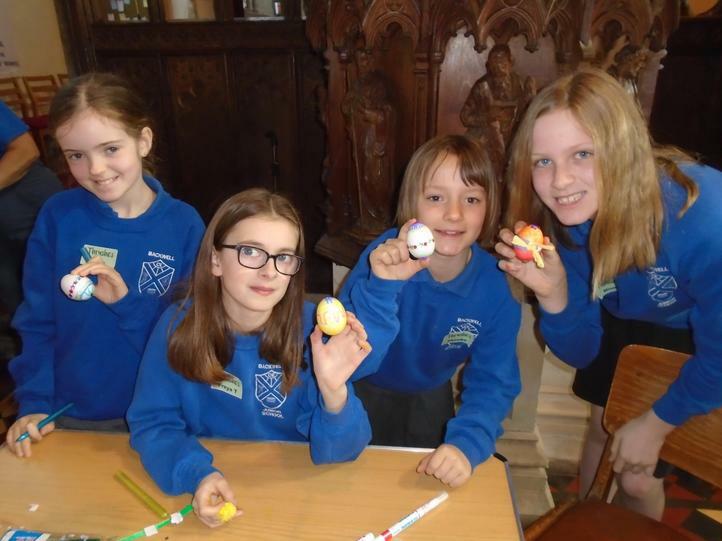 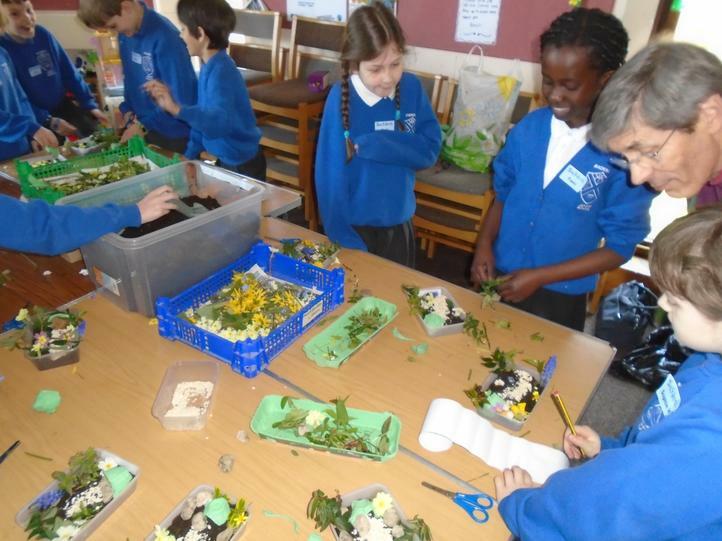 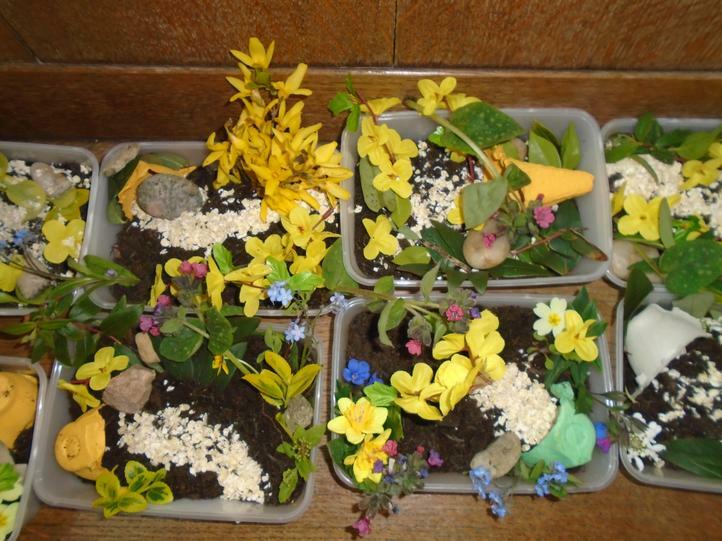 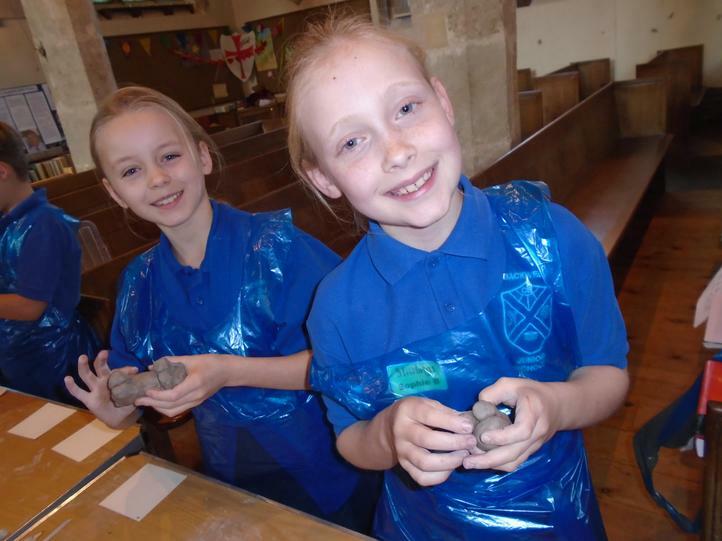 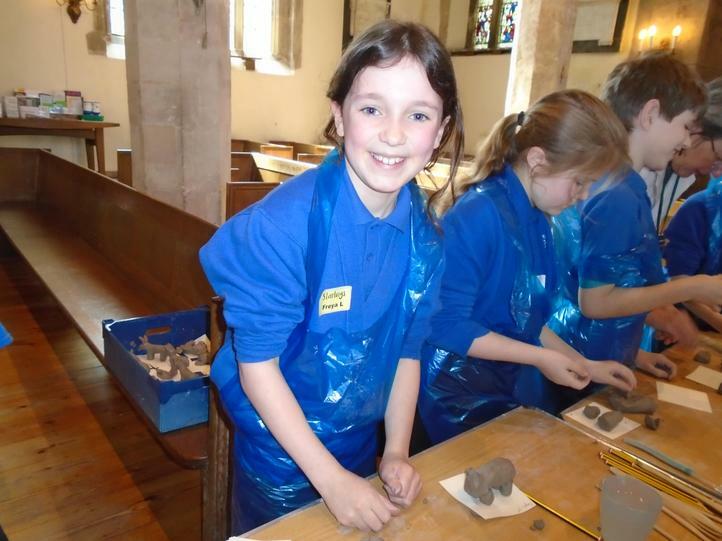 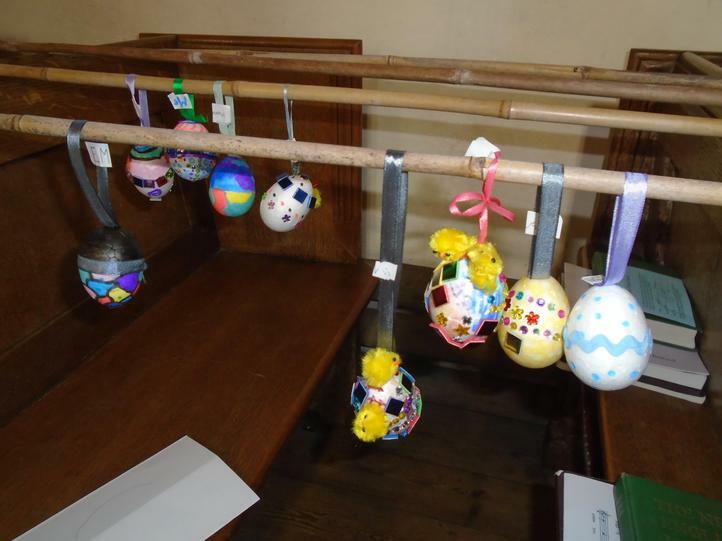 We made clay donkeys, stain glass windows collages, Easter gardens and decorated Easter eggs. 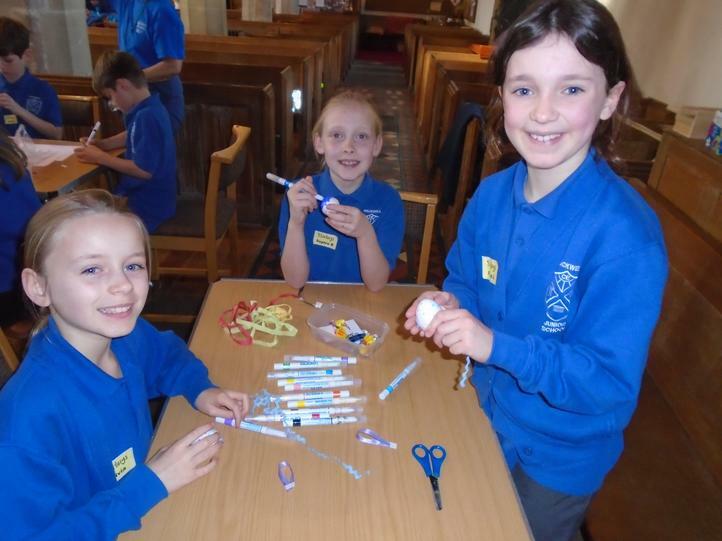 Thank you to all of the helpers at the Church who made it such an enjoyable and enriching day. 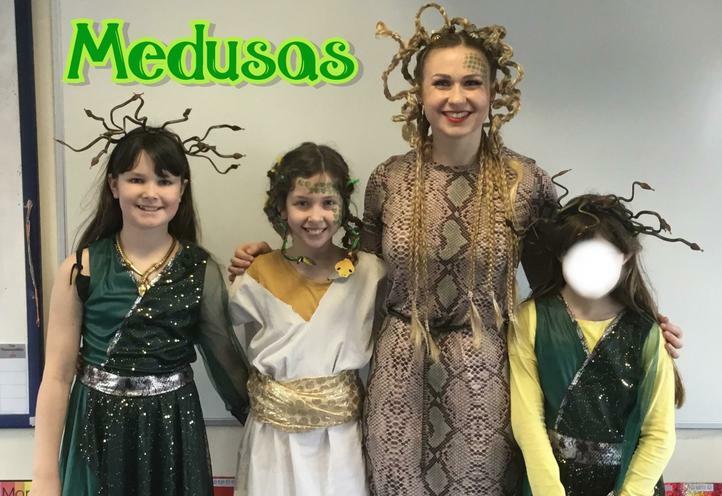 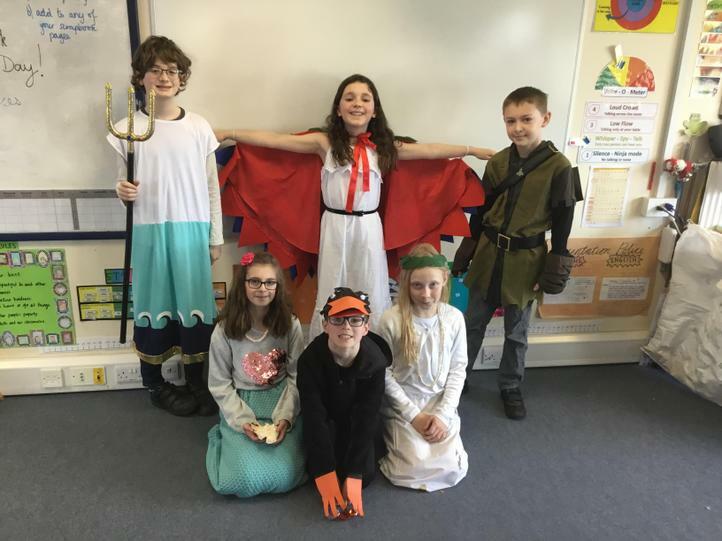 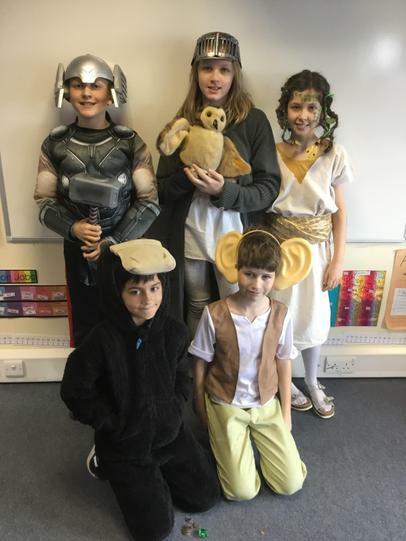 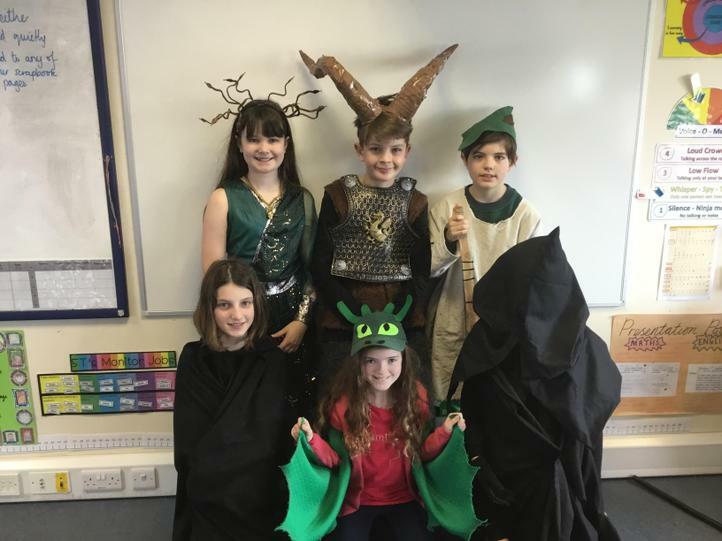 With the theme of mythical creatures, legends or time travel, we had some fantastic costumes which had us asking lots of questions. 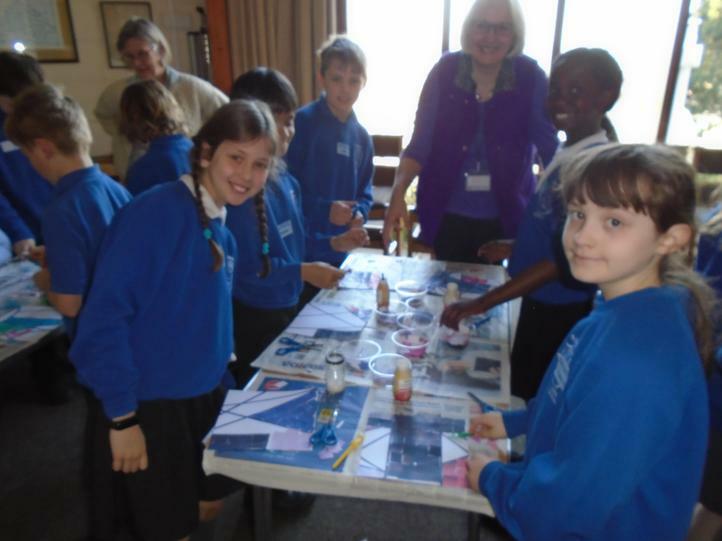 We were lucky enough to have an author, C.S Clifford, deliver an exciting assembly and lead a workshop for us. 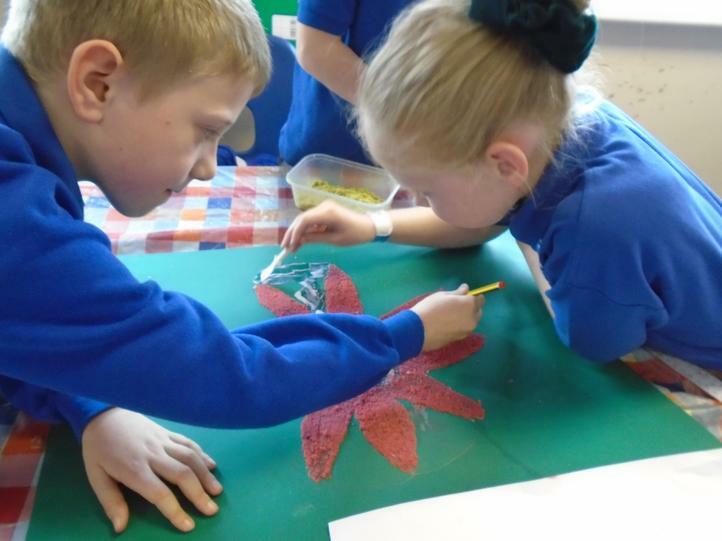 Following on from our workshop, we created some ‘beautiful’ writing. 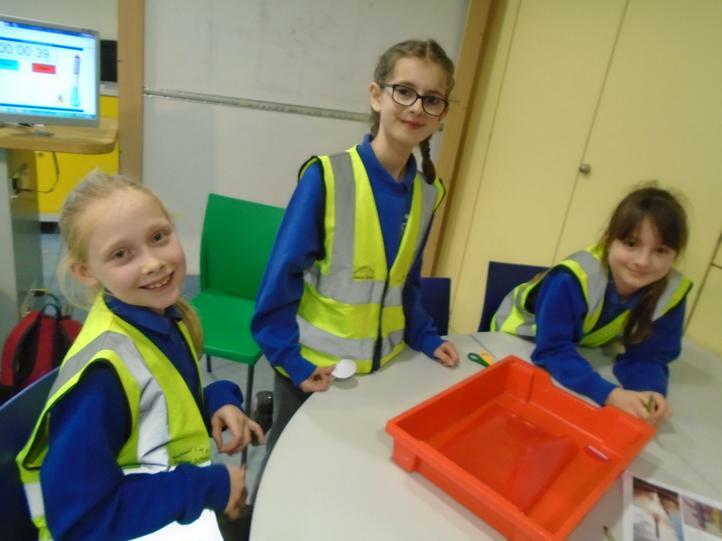 We also enjoyed a trip to the library where we got some time to ‘dive’ into a book and we enjoyed listening to our current class novel being read aloud. 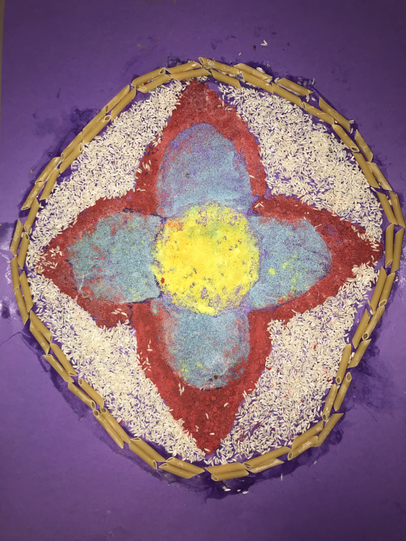 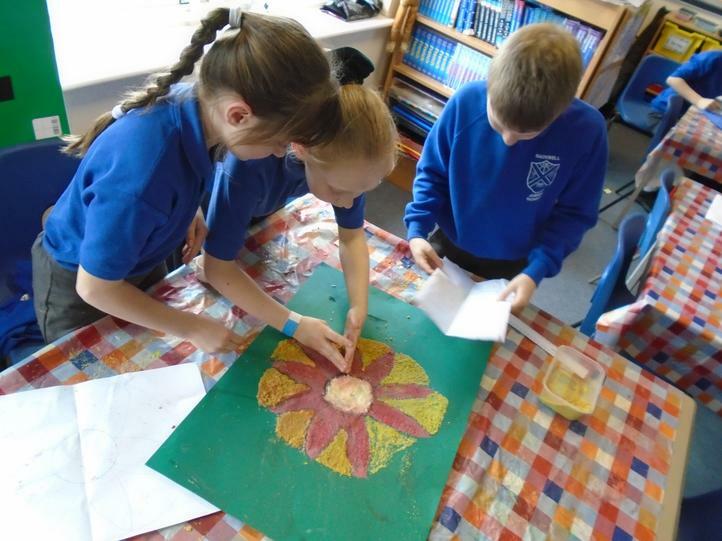 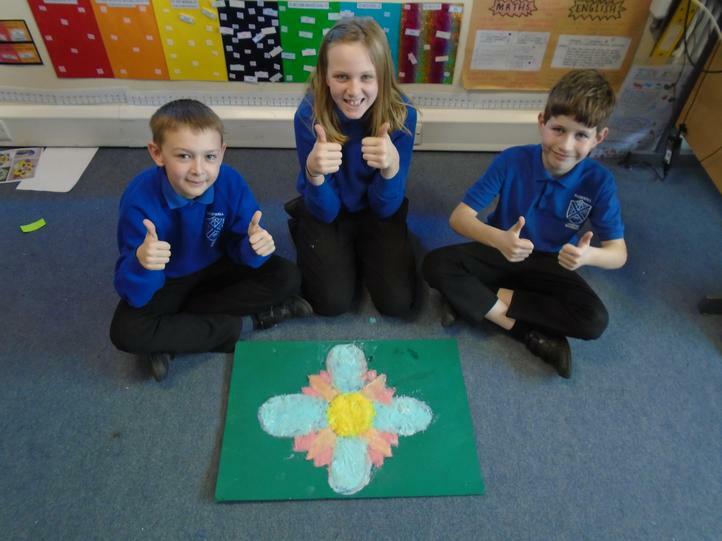 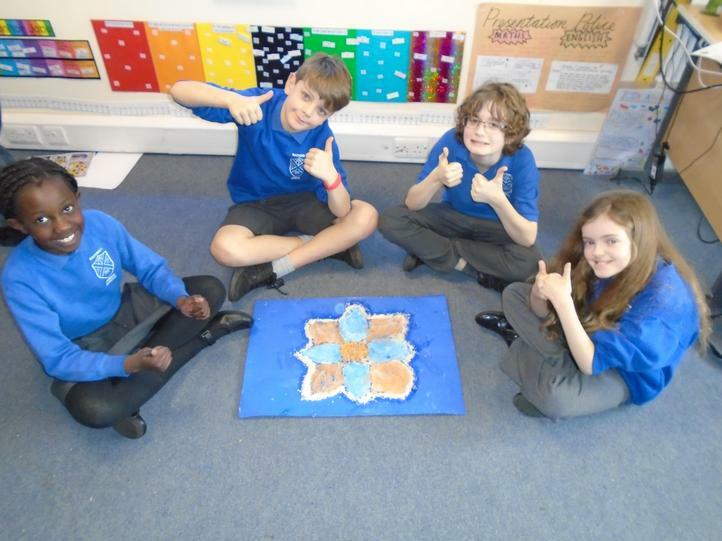 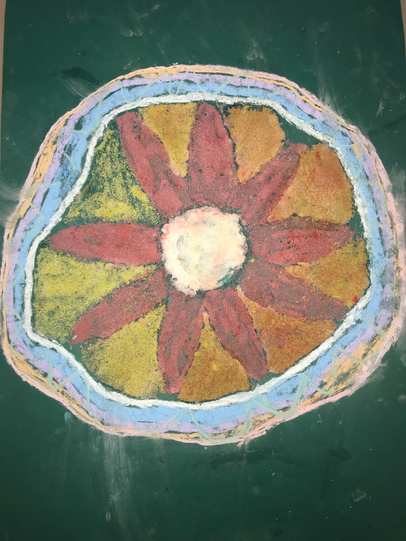 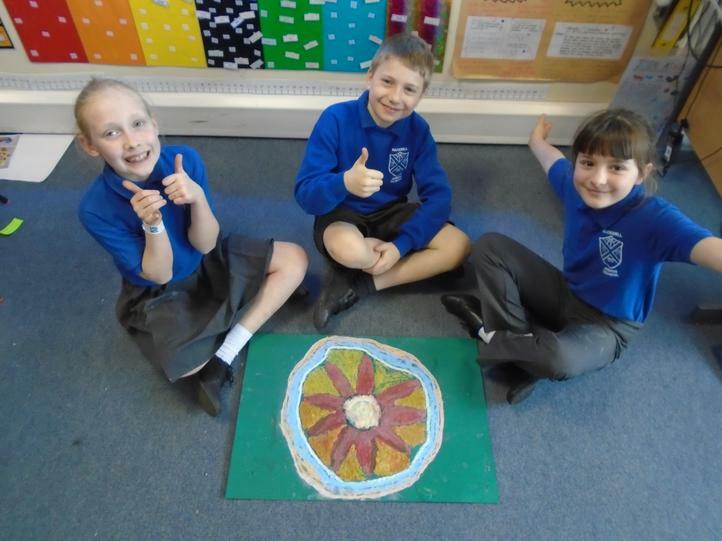 We enjoyed learning about Rangoli patterns and creating our own collaborative artwork today. 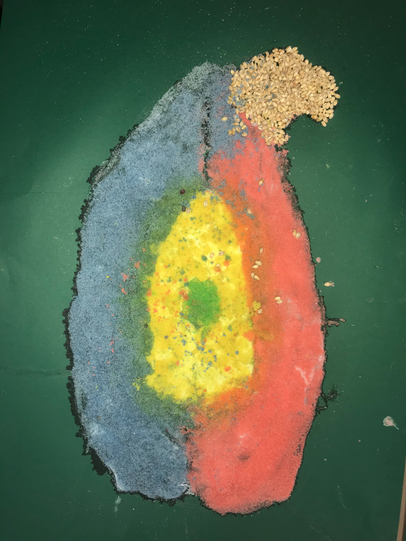 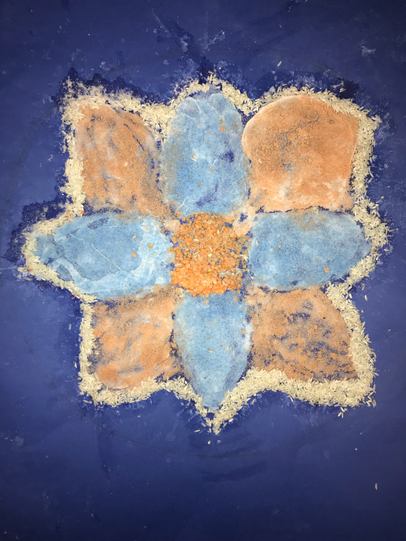 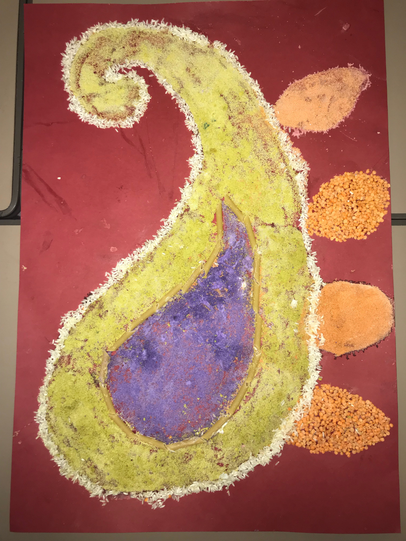 We worked in small groups, using coloured salt/sand and dried food (pasta, lentils and rice) which we glued down onto large card. 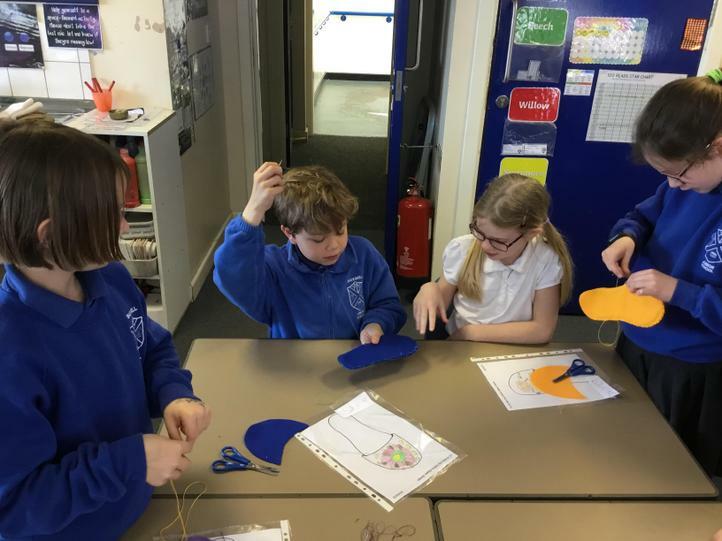 It was a very challenging task which didn’t always go to plan but we enjoyed the hands-on activity and the opportunity to be creative. 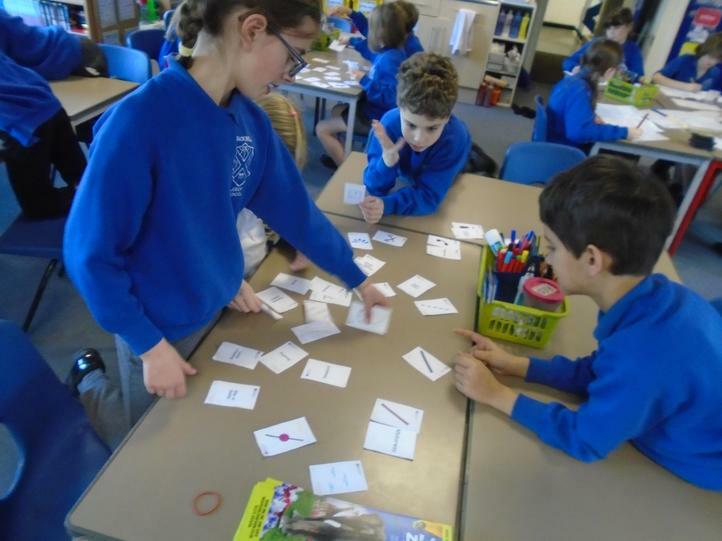 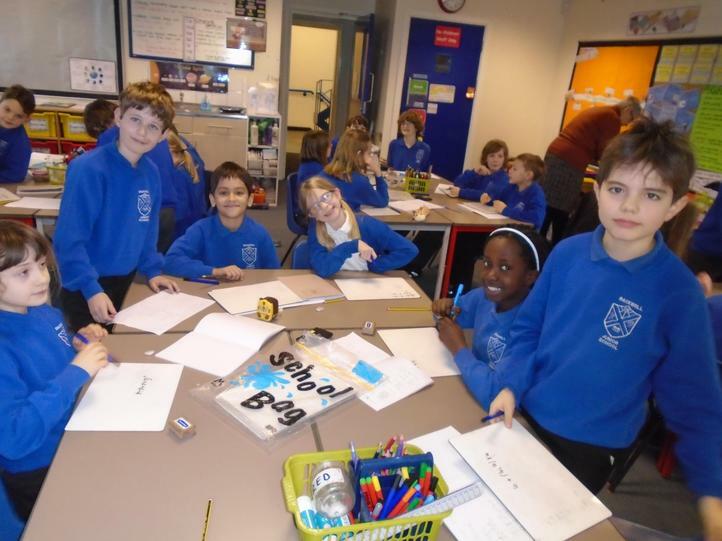 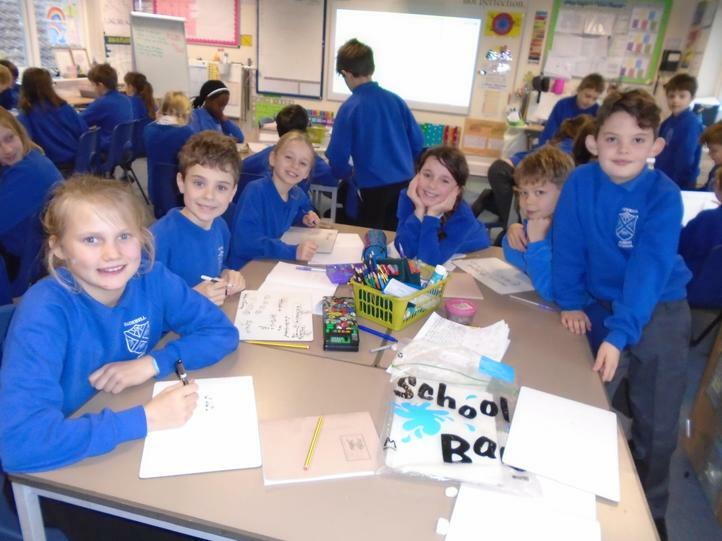 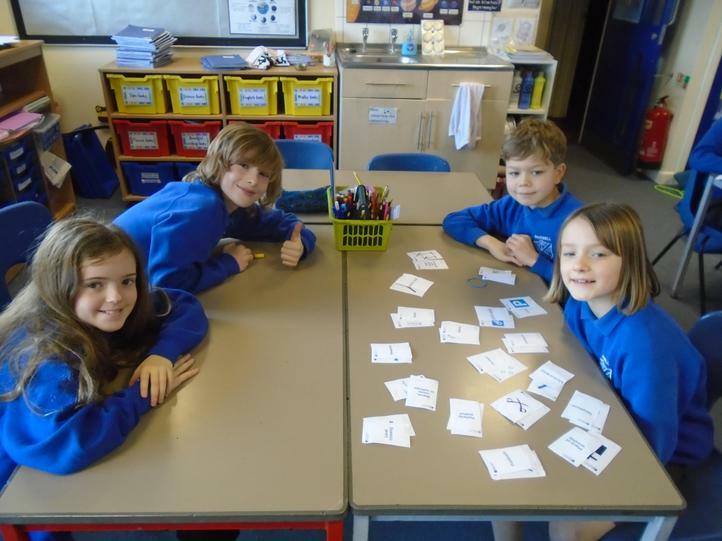 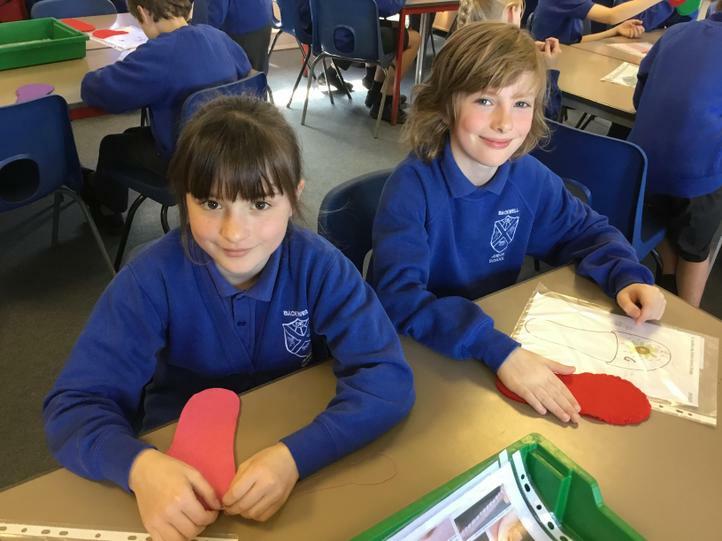 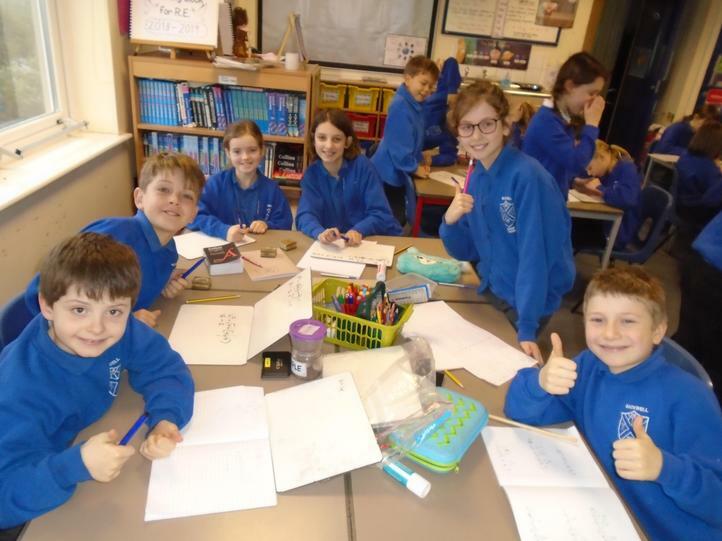 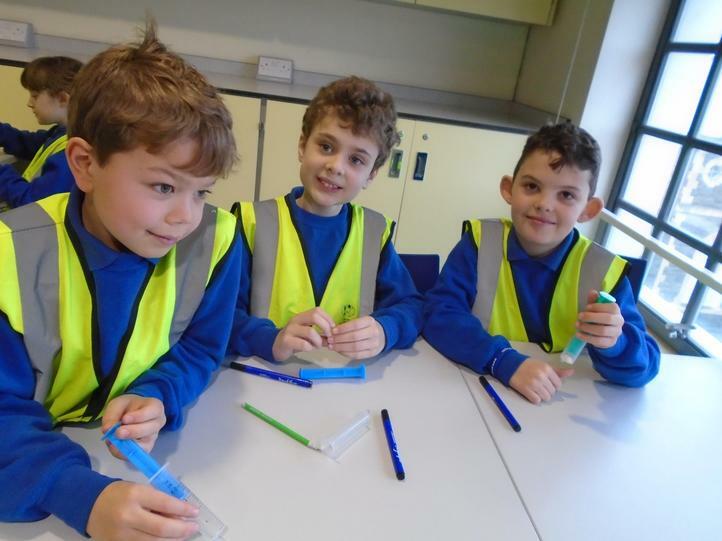 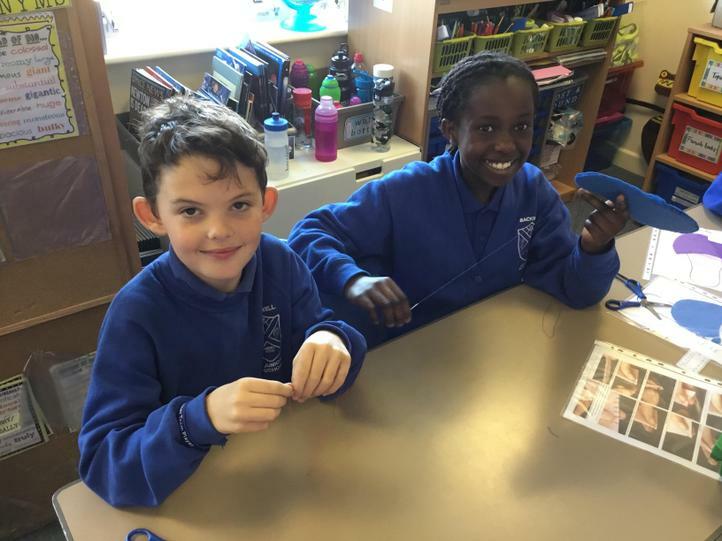 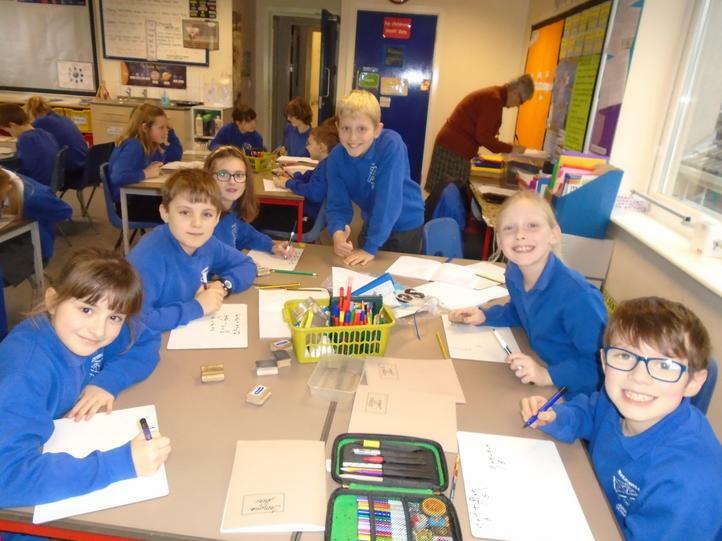 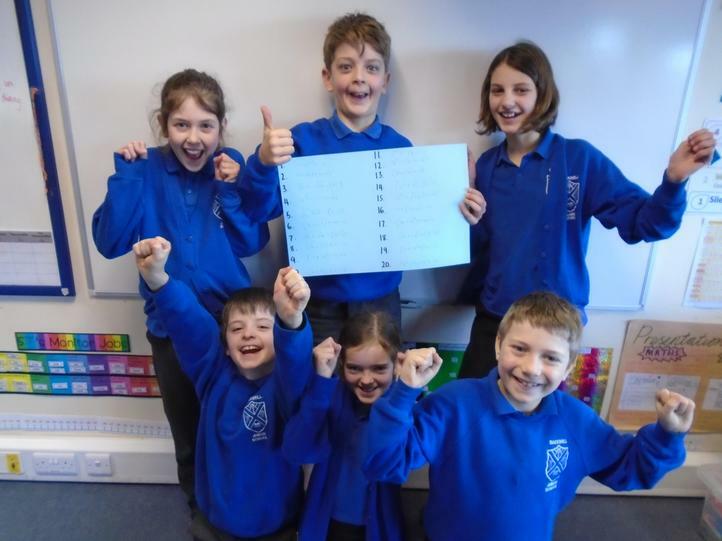 Along with the excitement of ‘Break The Rules Day’ – especially calling Miss Taylor by her first name – we all enjoyed looking at and creating our own poems. 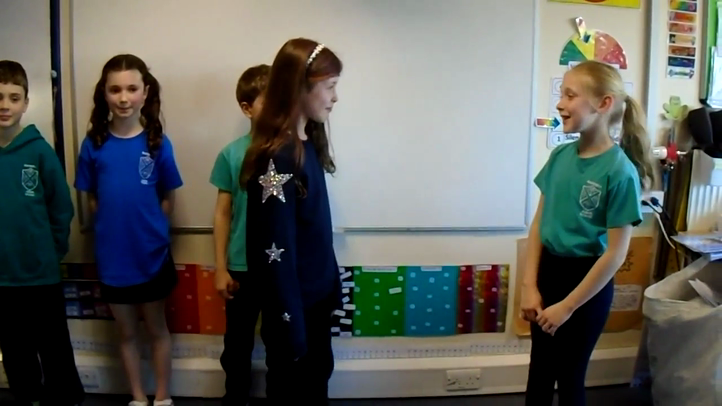 We started off by looking at limericks and creating our own space-themed ones; some did this with partners and others chose to do it by themselves. 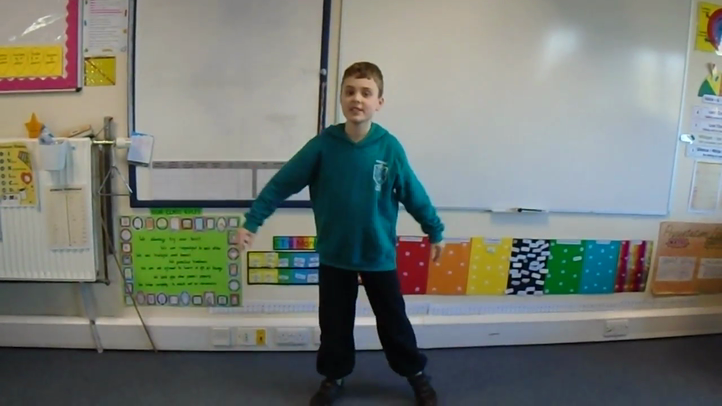 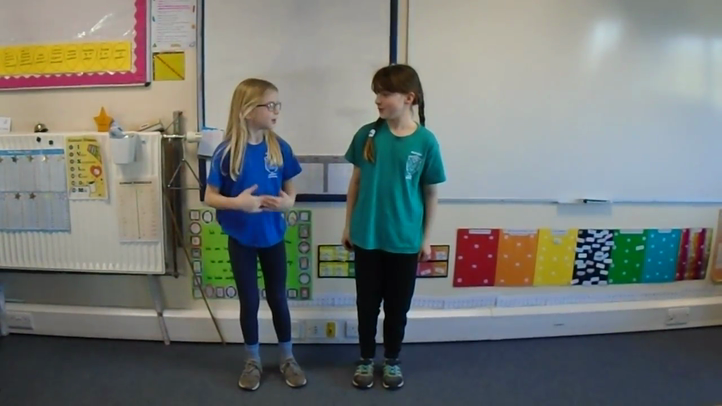 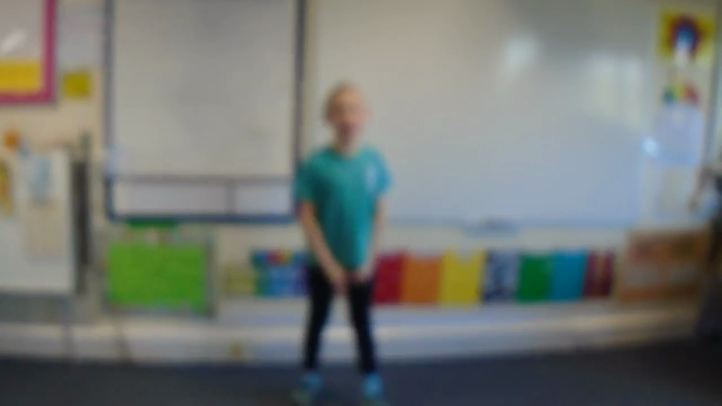 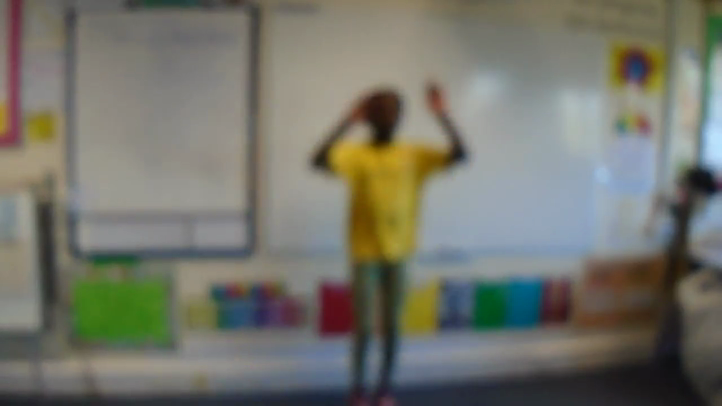 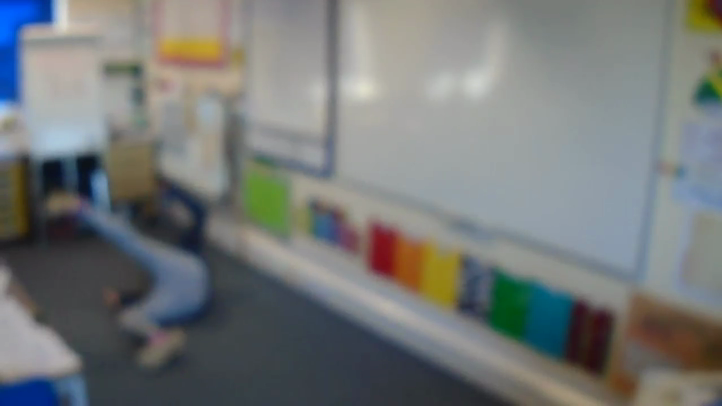 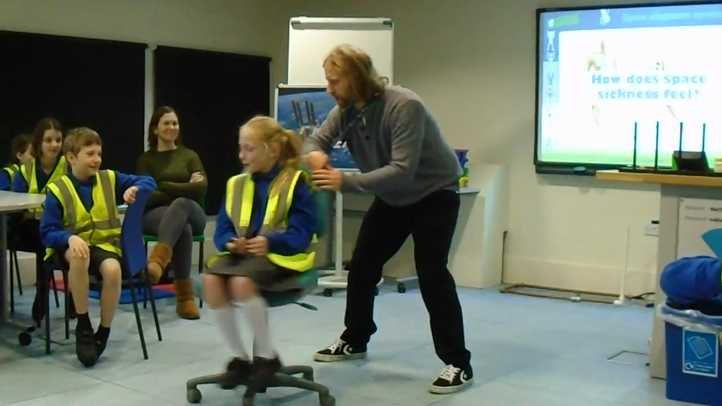 Check out some of the videos below, where we performed them to the class! 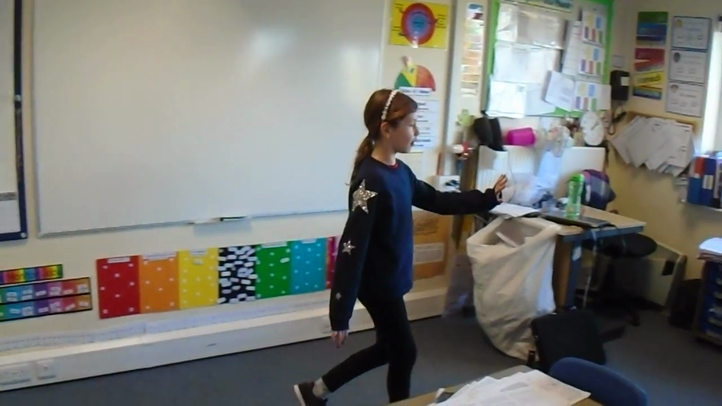 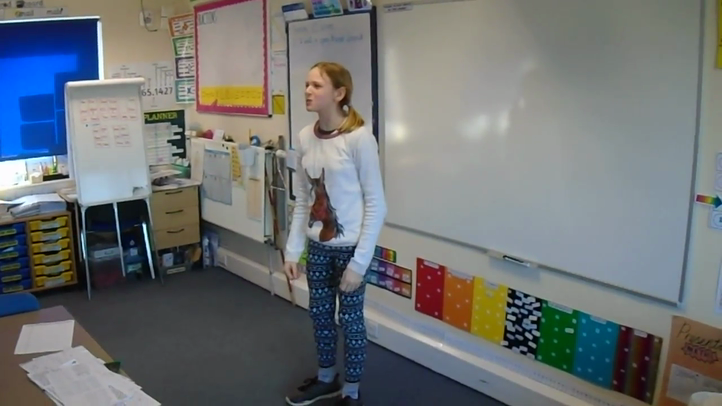 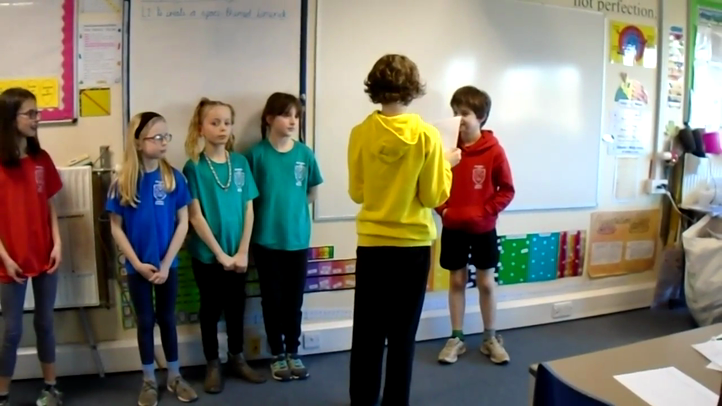 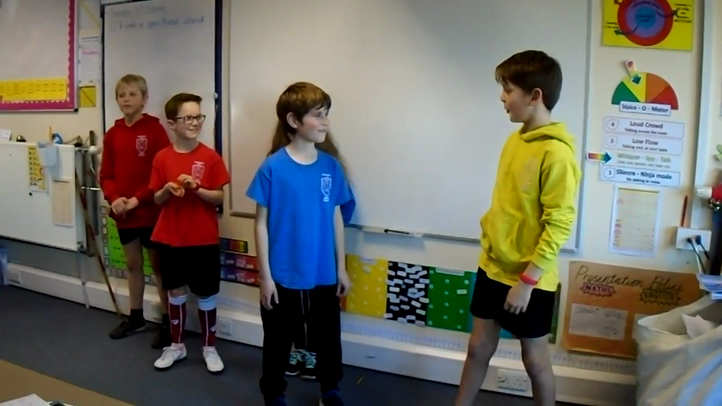 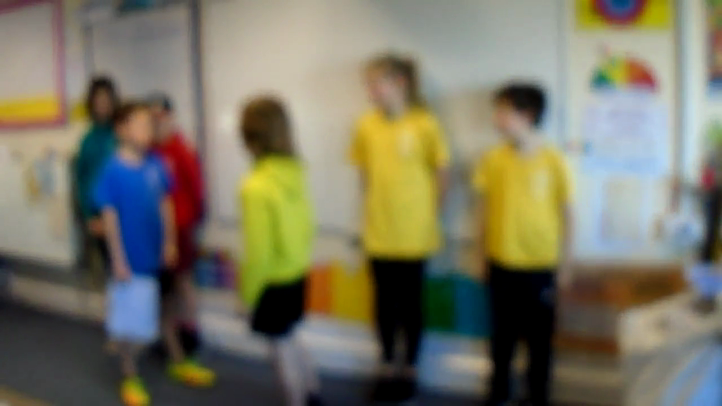 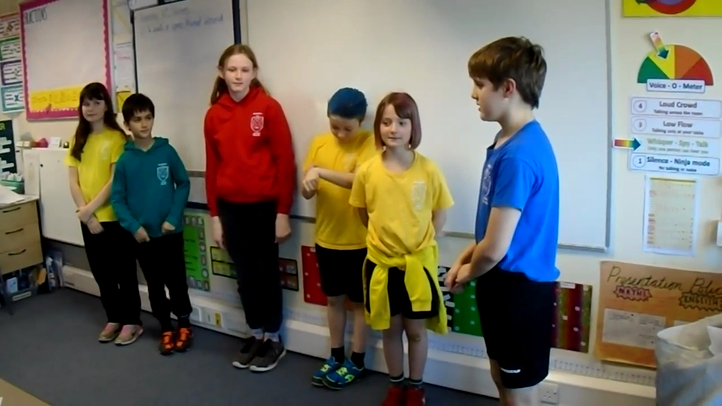 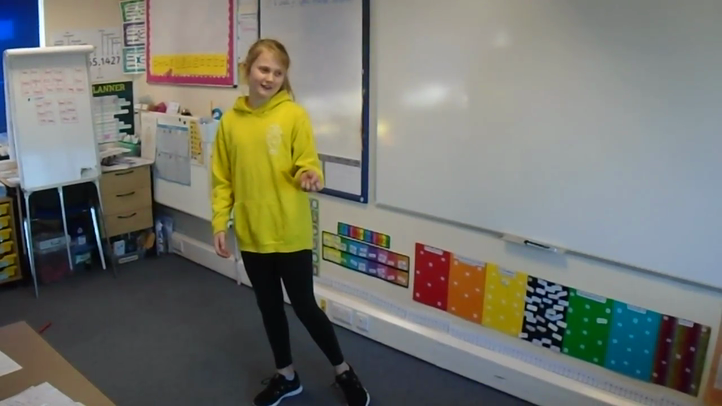 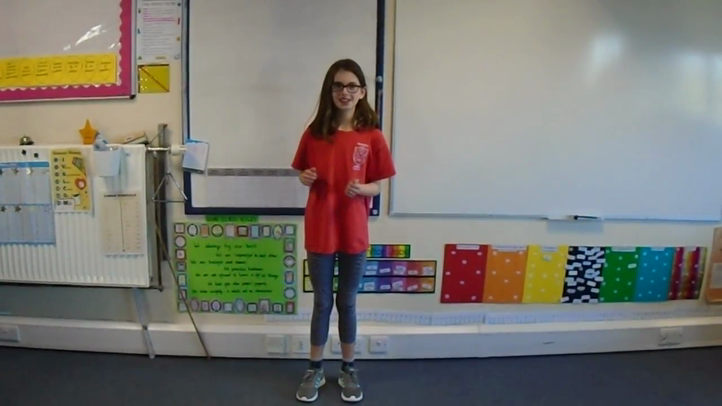 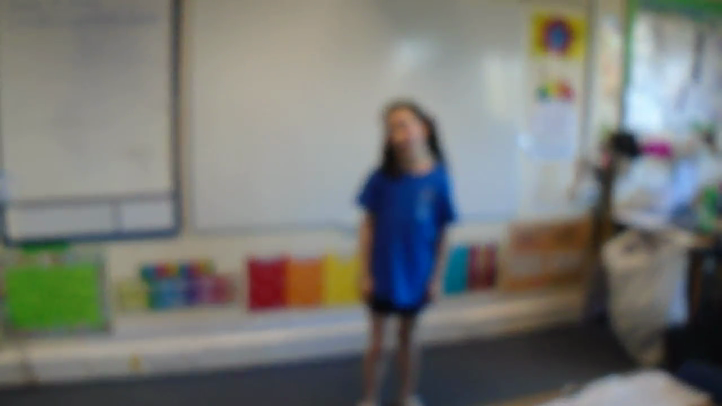 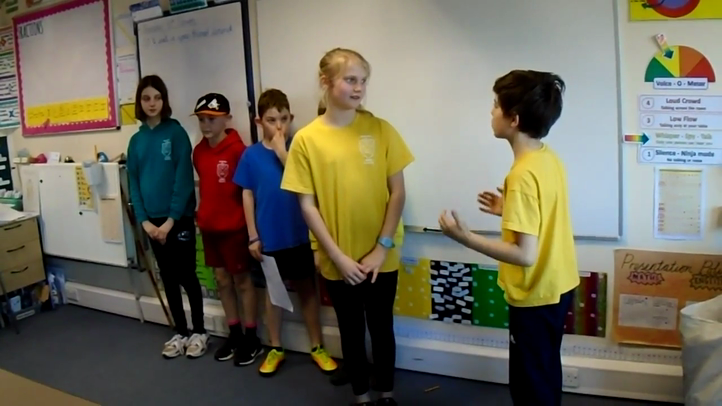 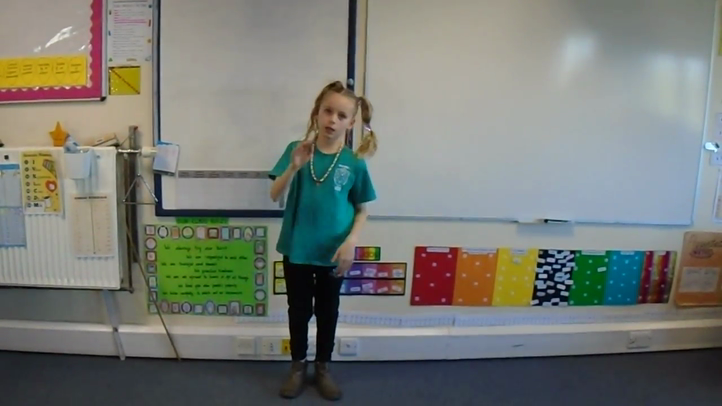 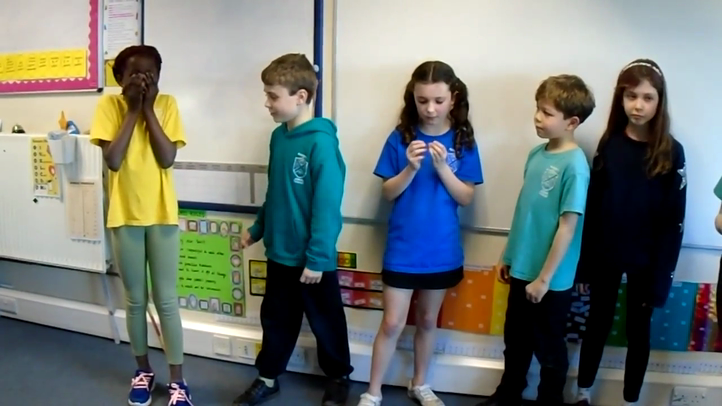 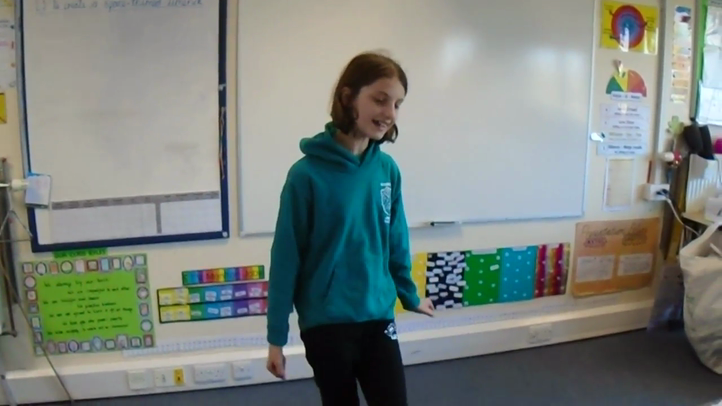 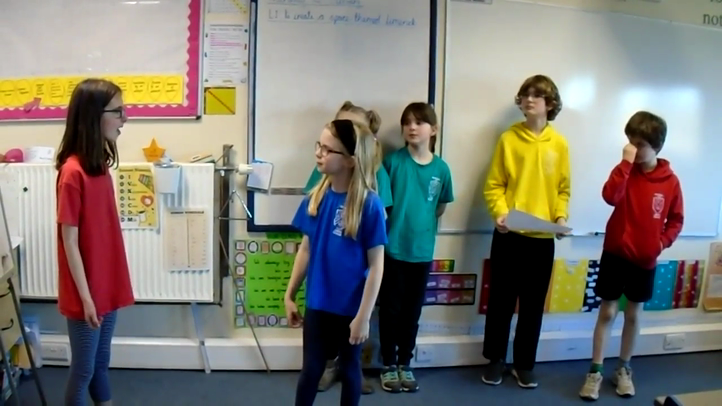 To keep in the theme of ‘Break The Rules Day’, we then focused on performance poetry and we all learnt a verse of the poem, ‘Please Mrs Butler’, which was then performed to the class. 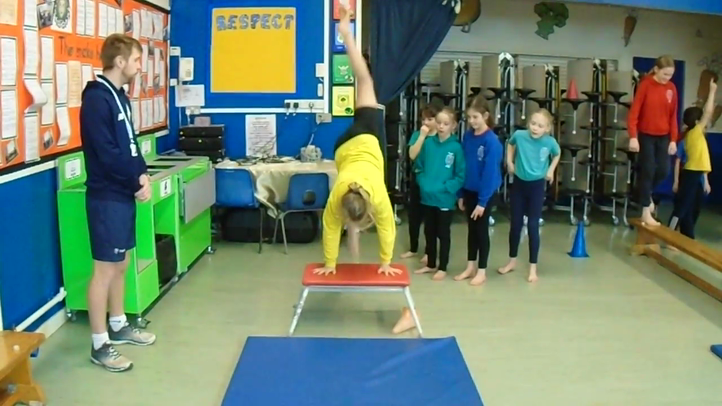 Videos of these can be found below. 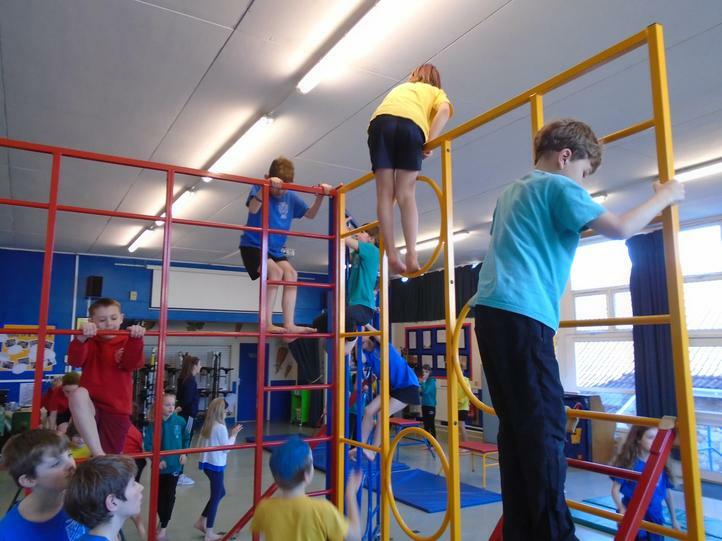 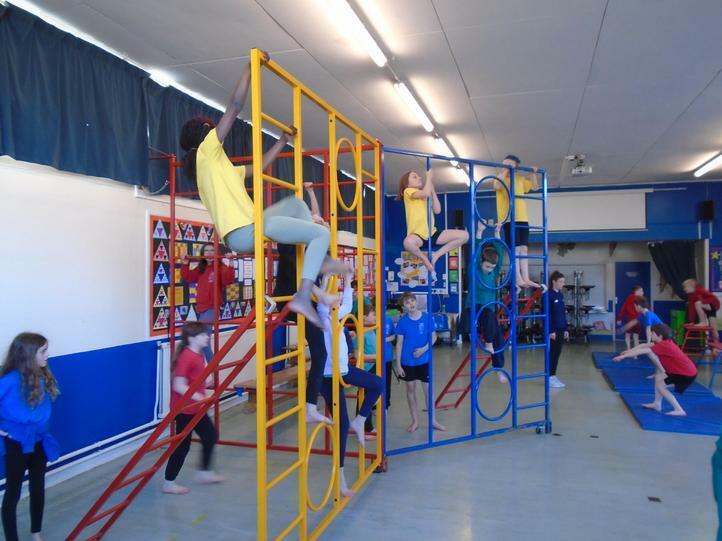 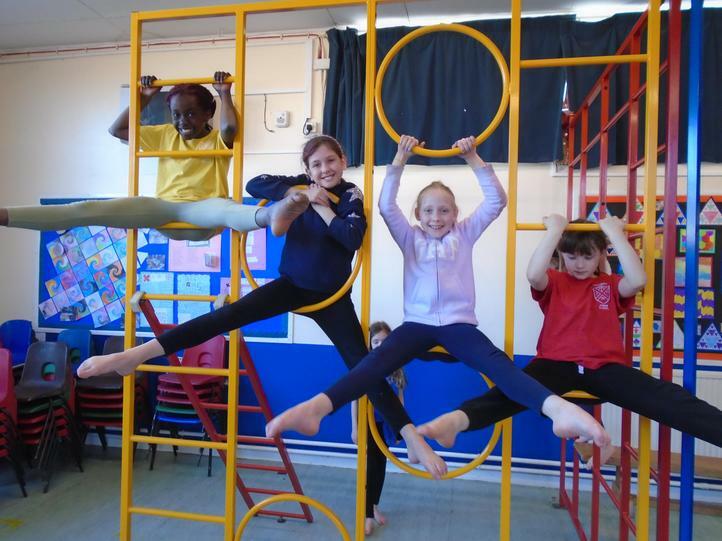 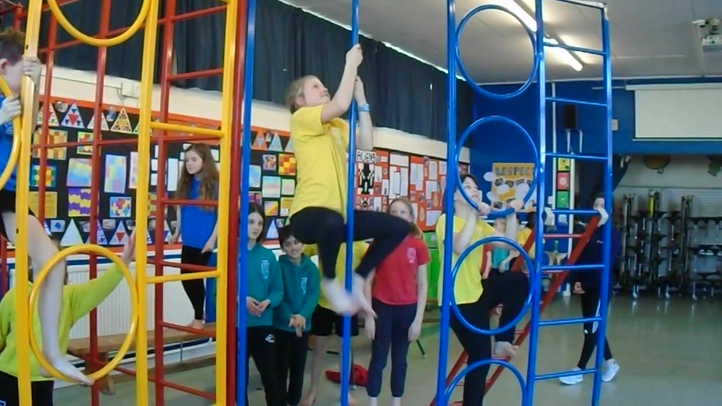 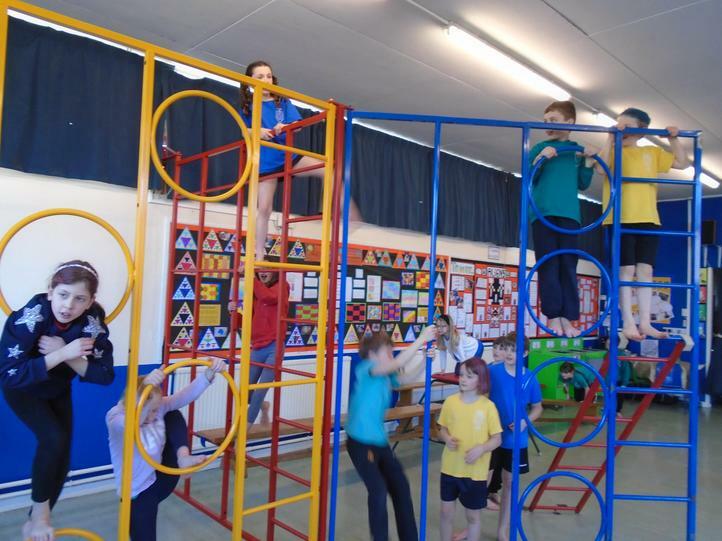 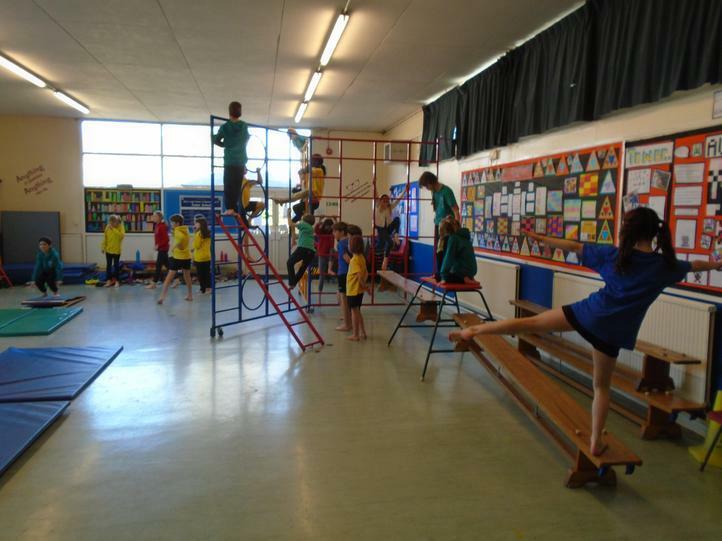 Our last gymnastics lesson of the term involved us getting out the wall bars and other apparatus. 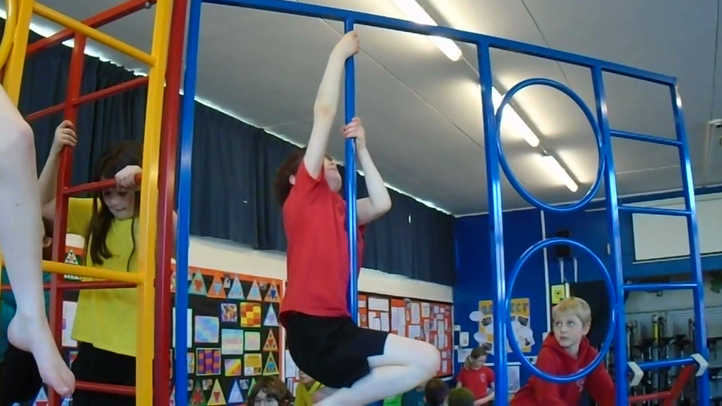 Take a look at the videos and photos below to see what we got up to. 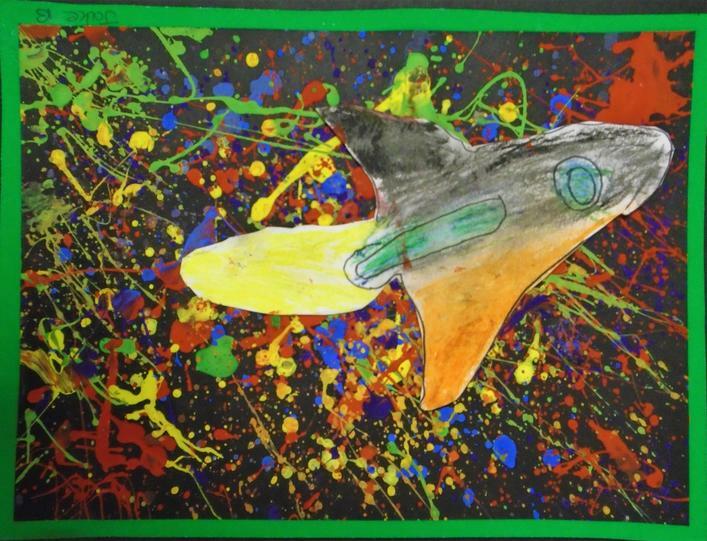 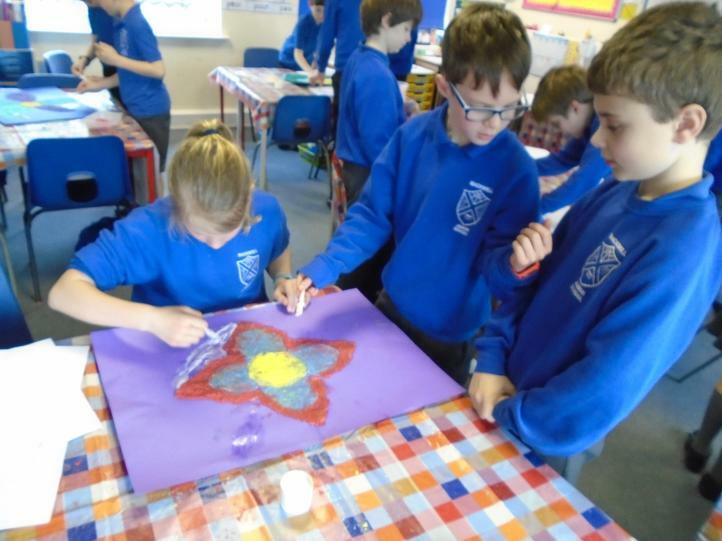 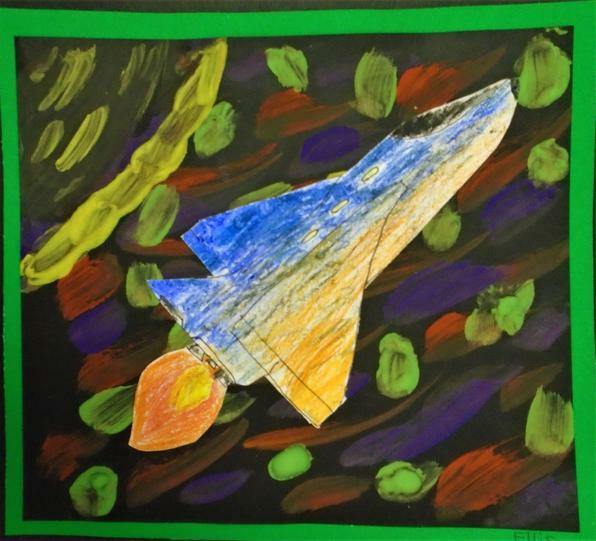 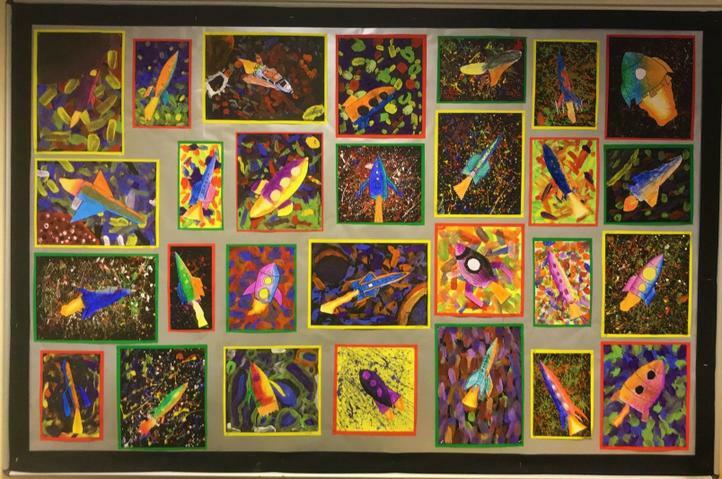 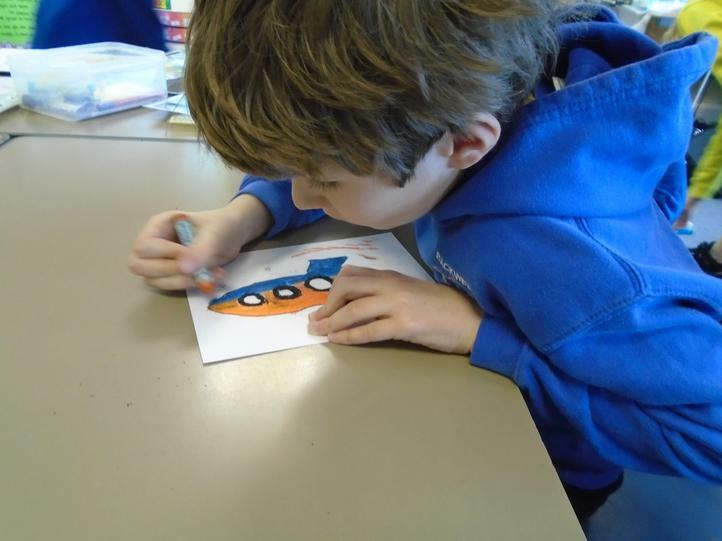 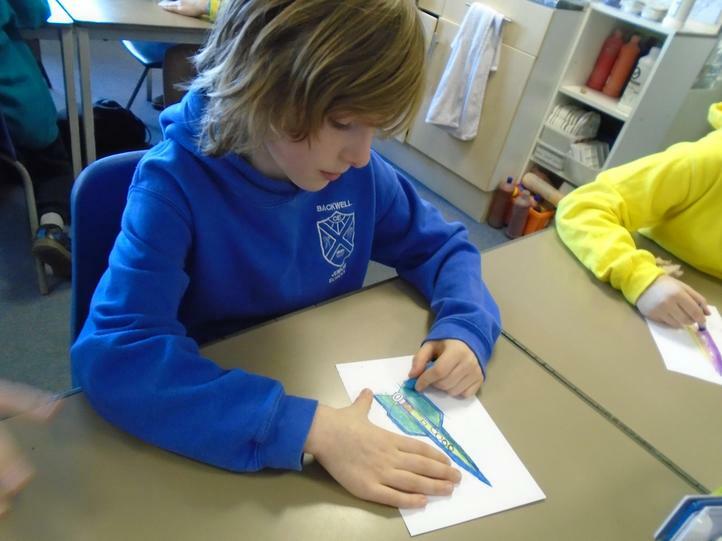 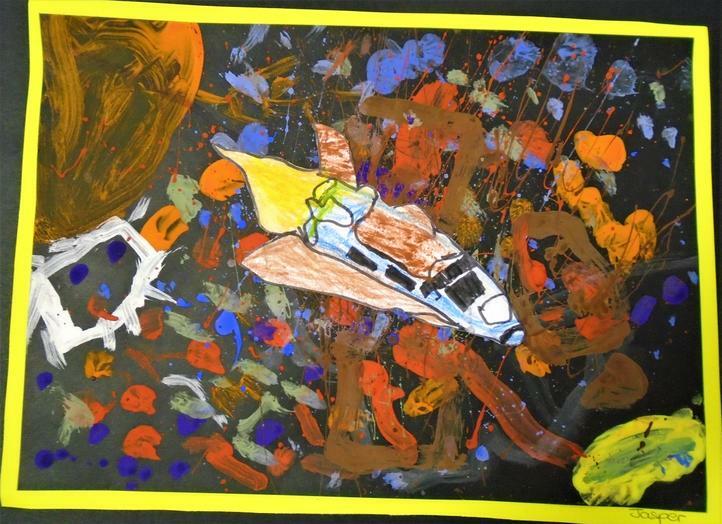 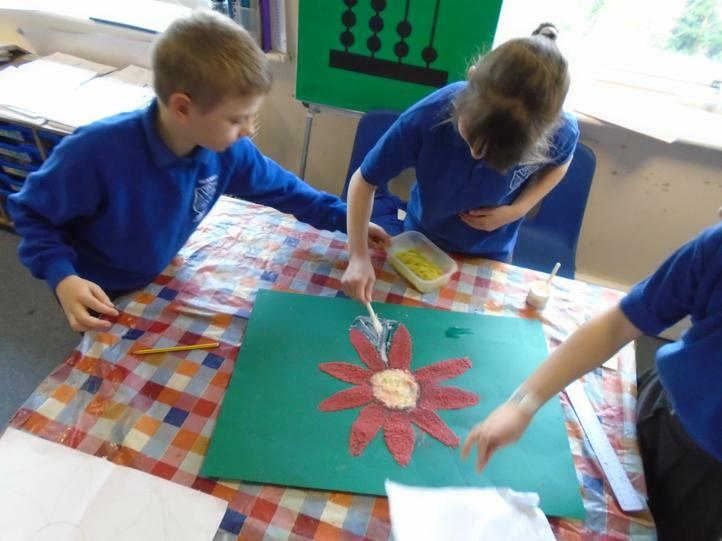 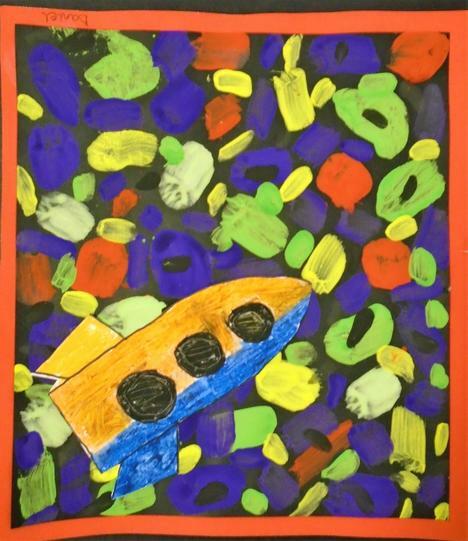 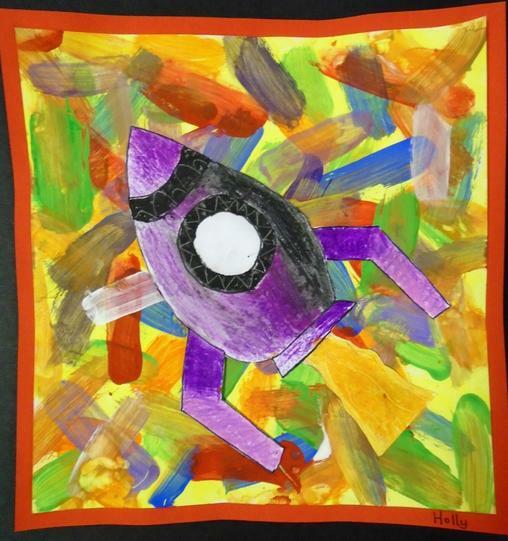 We have enjoyed looking at Peter Thorpe’s space-themed artwork this term and creating out our own mixed-media pieces. 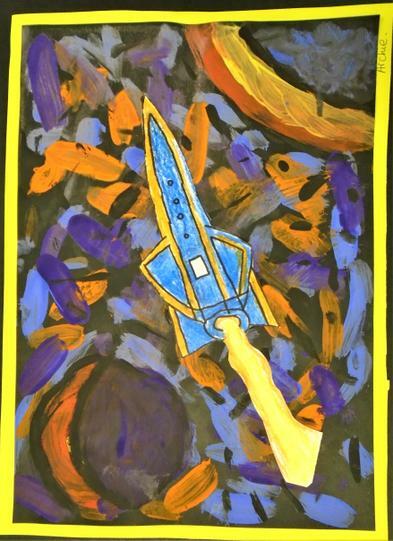 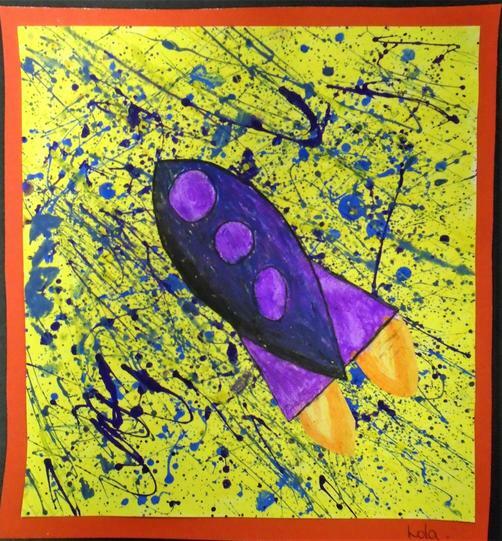 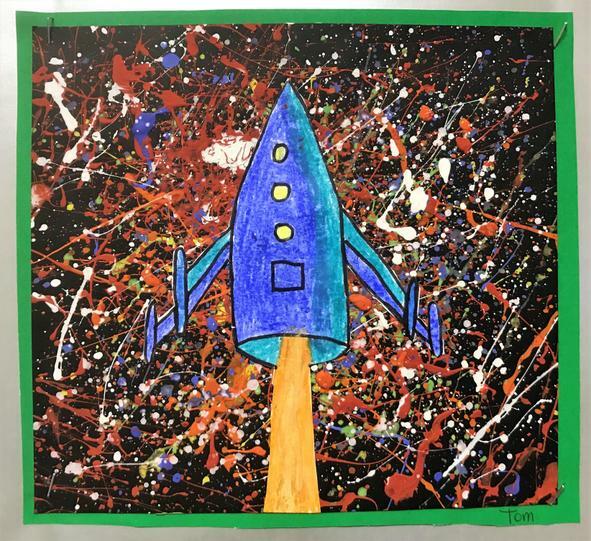 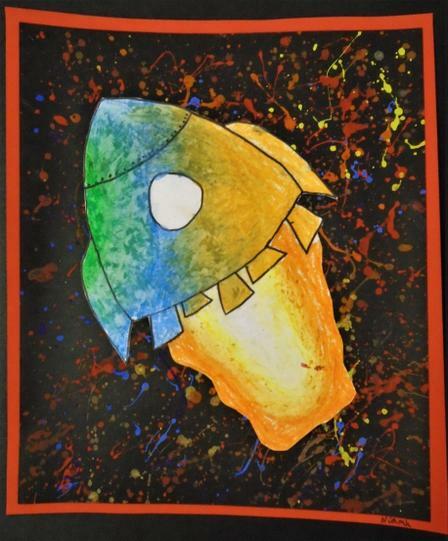 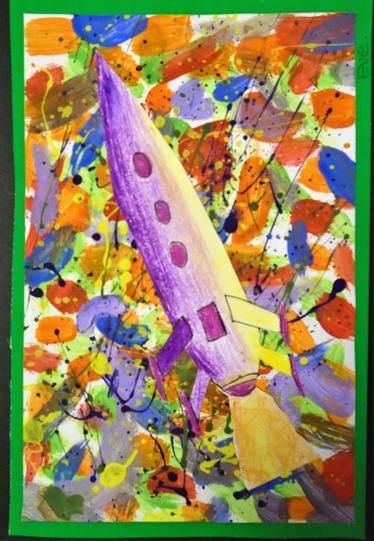 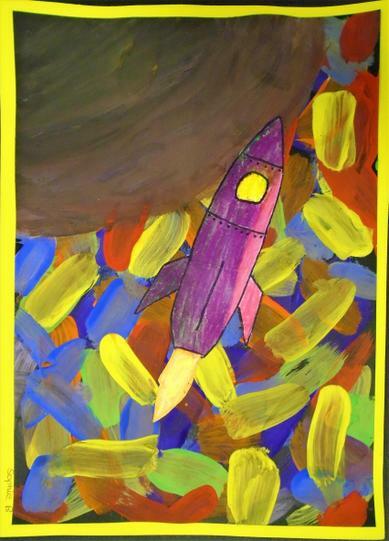 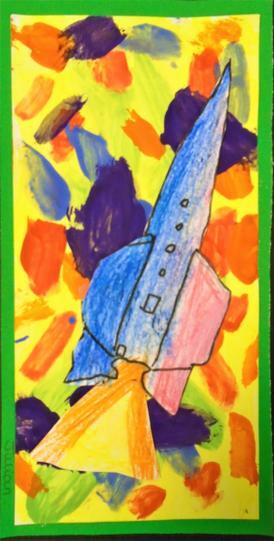 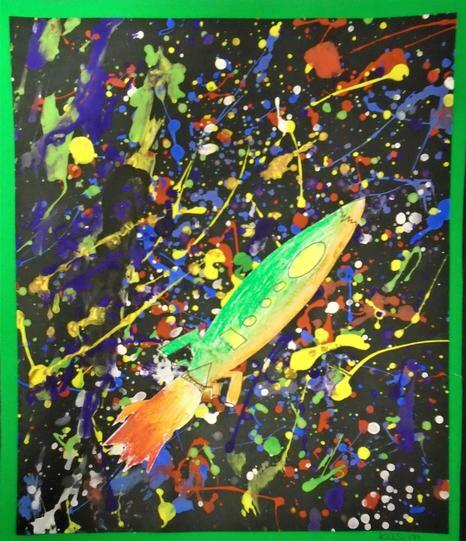 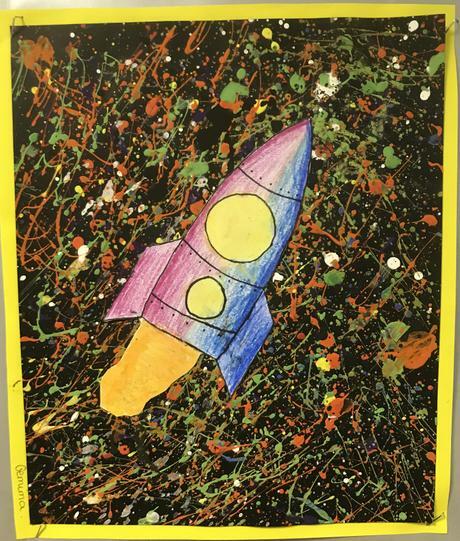 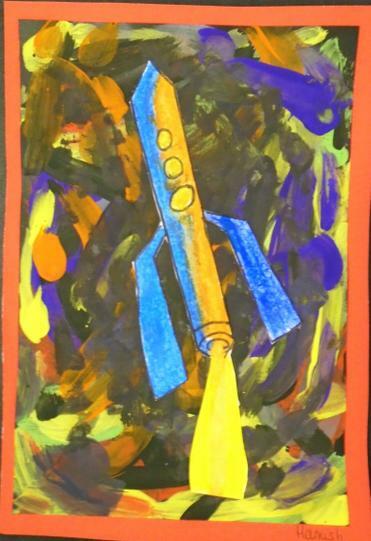 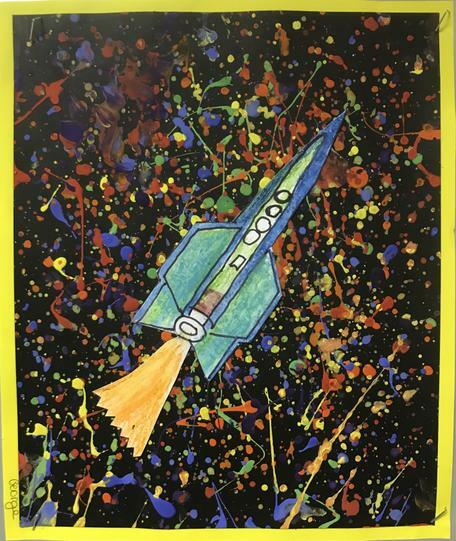 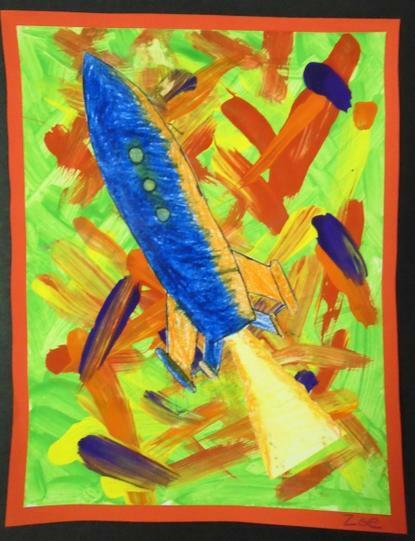 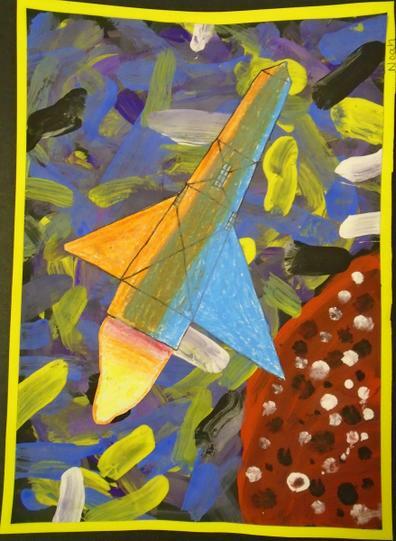 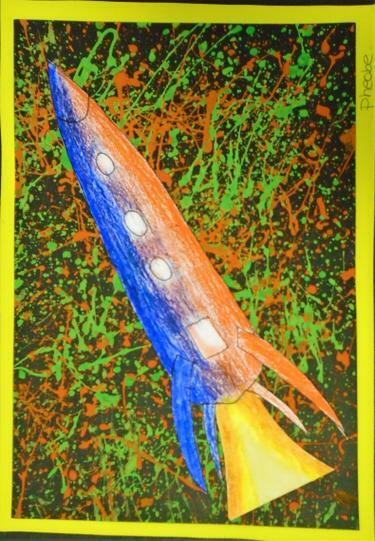 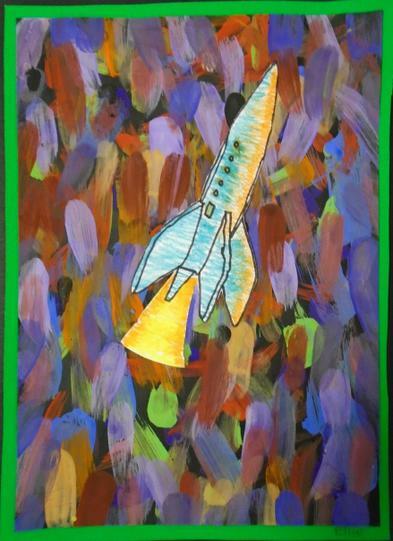 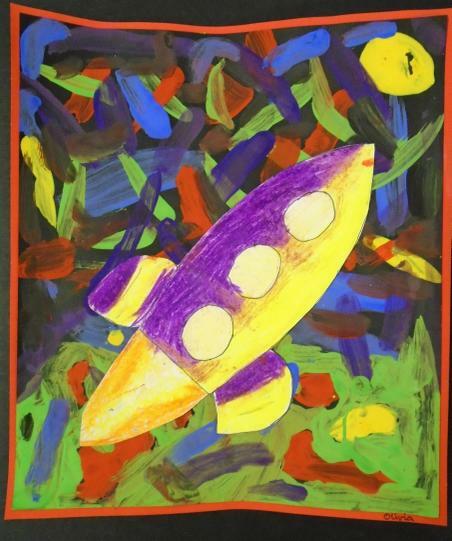 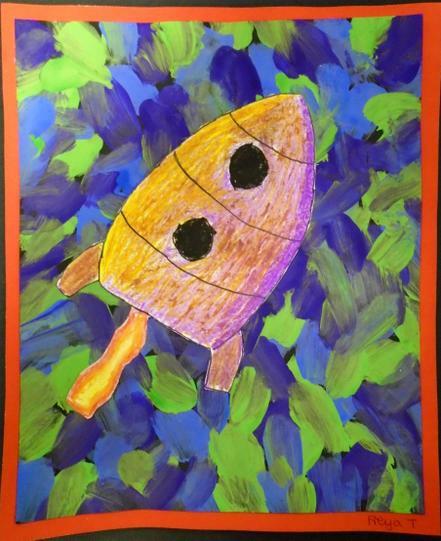 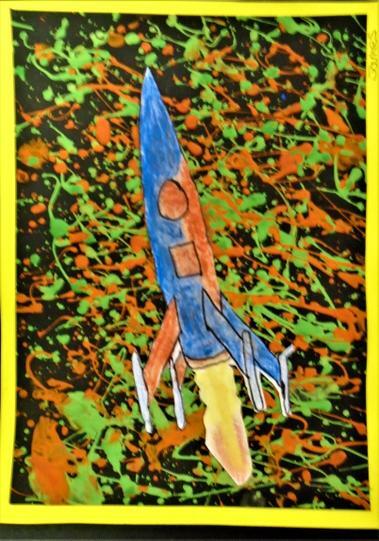 We used oil pastels to colour the rockets (which we found rather challenging) and paint for the backgrounds. 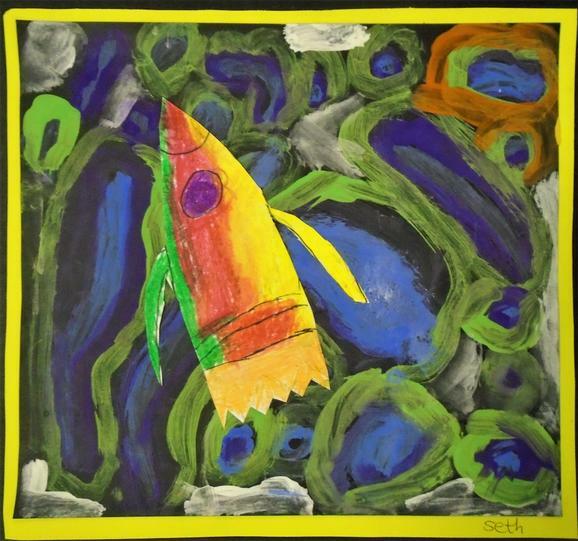 Ask your child to comment on the visual elements within their painting! 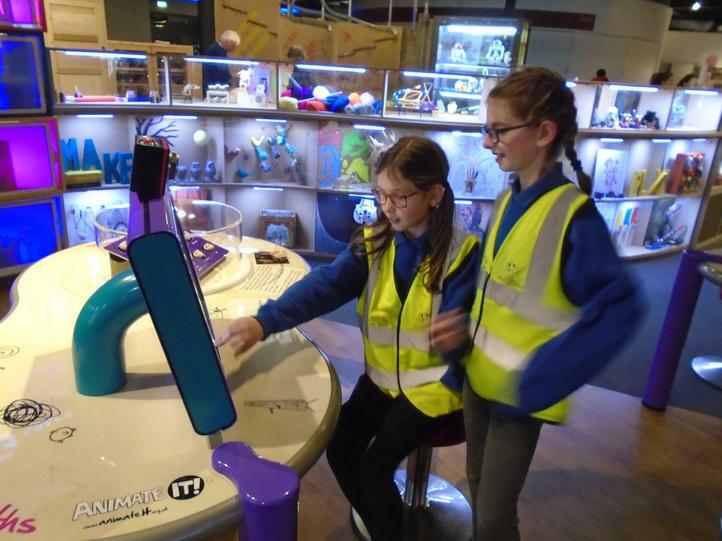 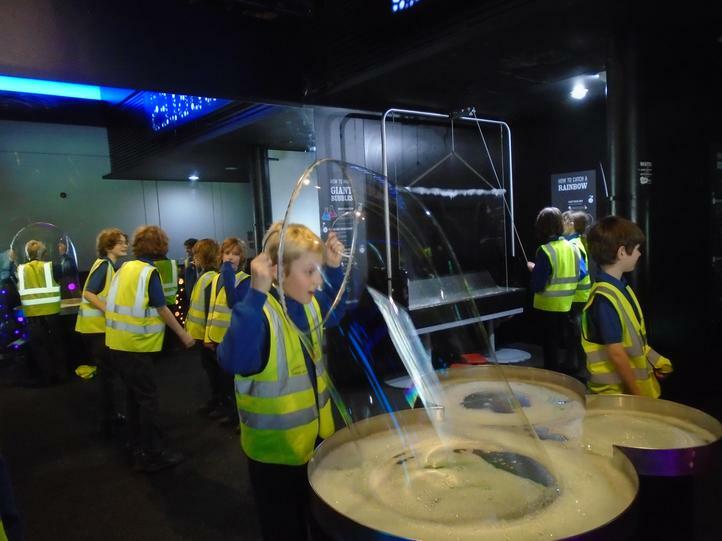 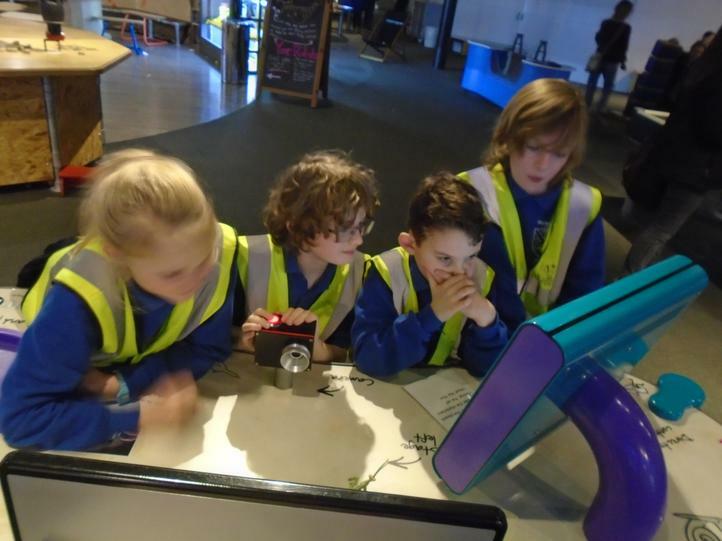 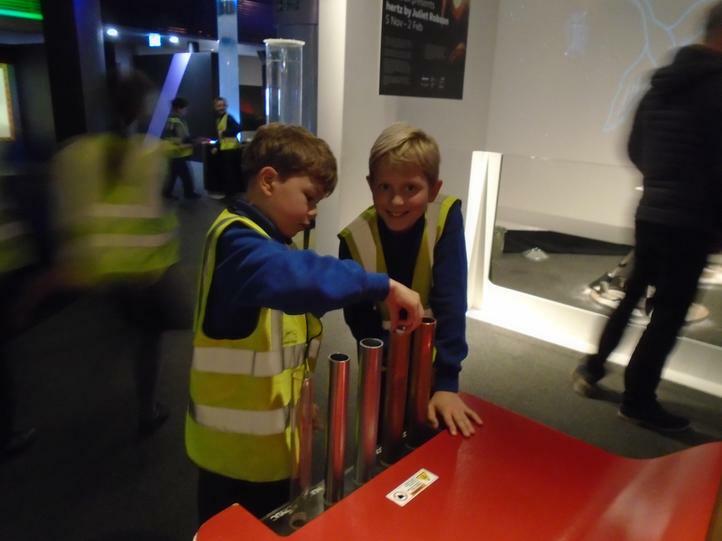 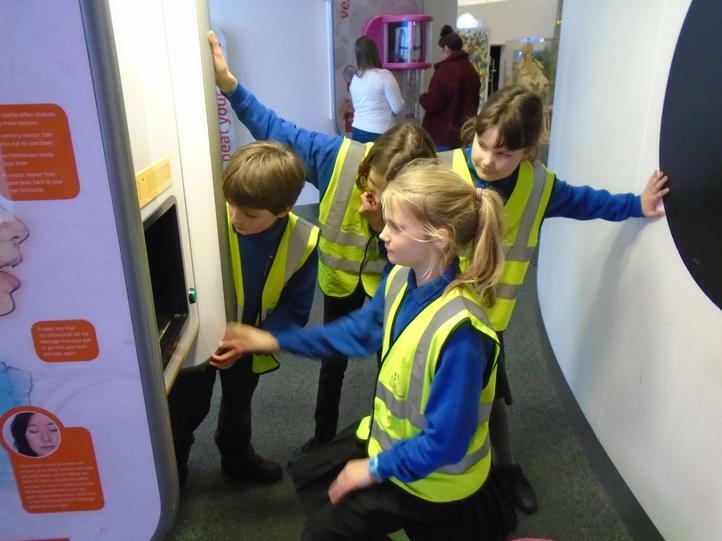 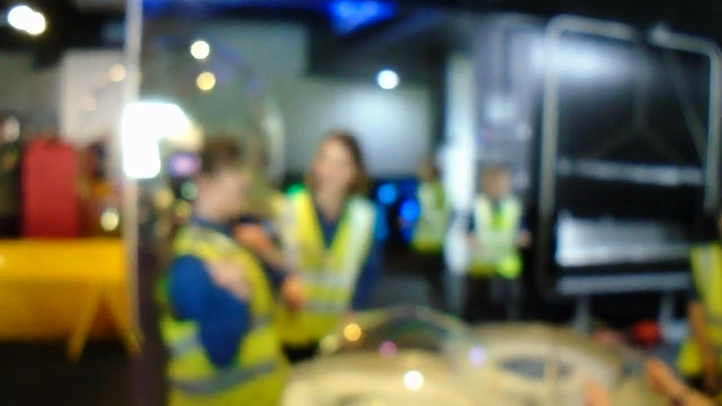 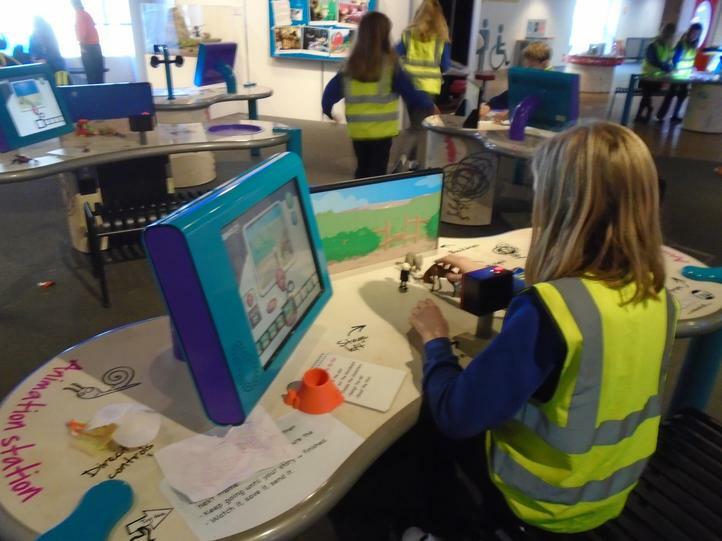 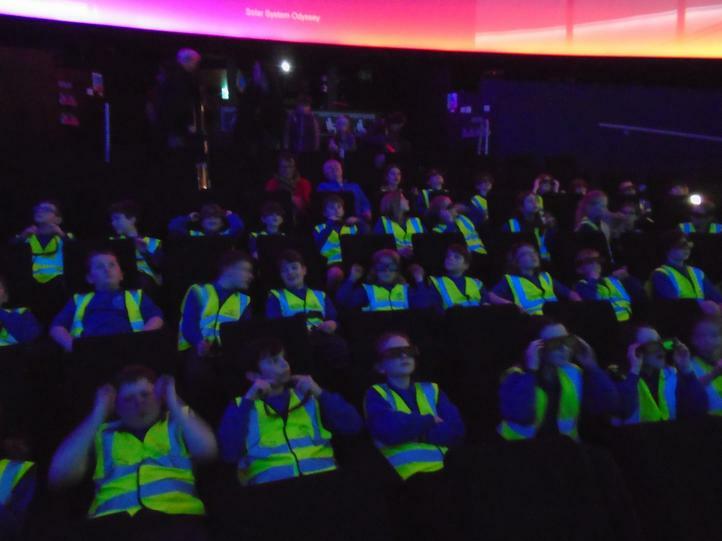 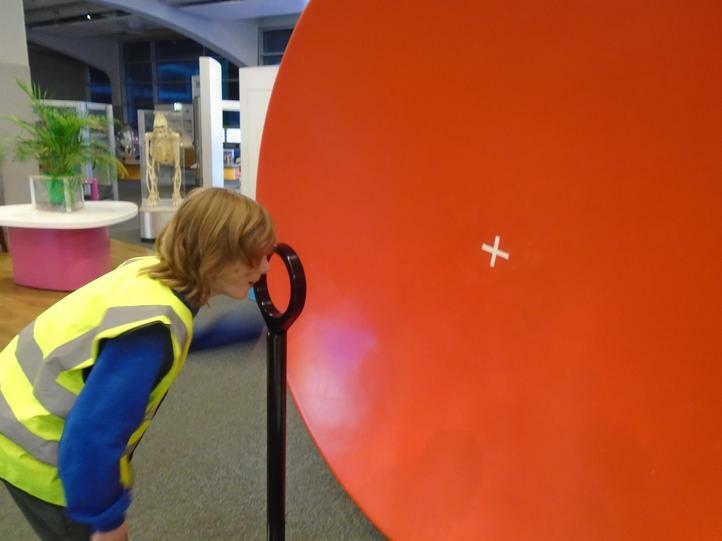 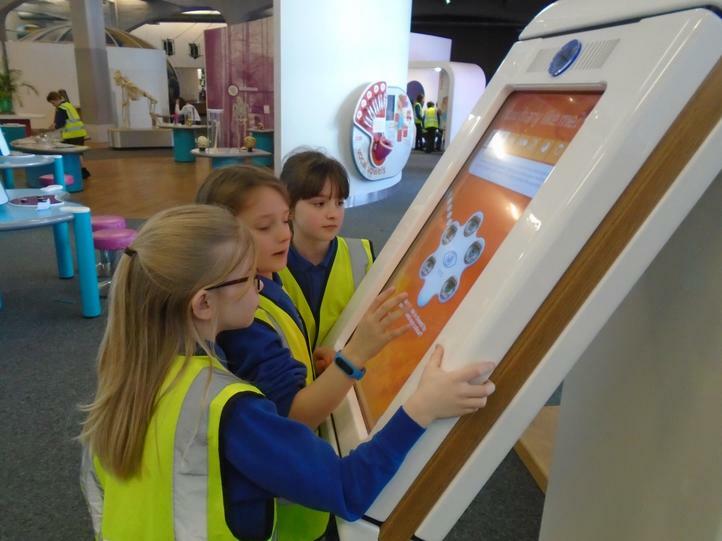 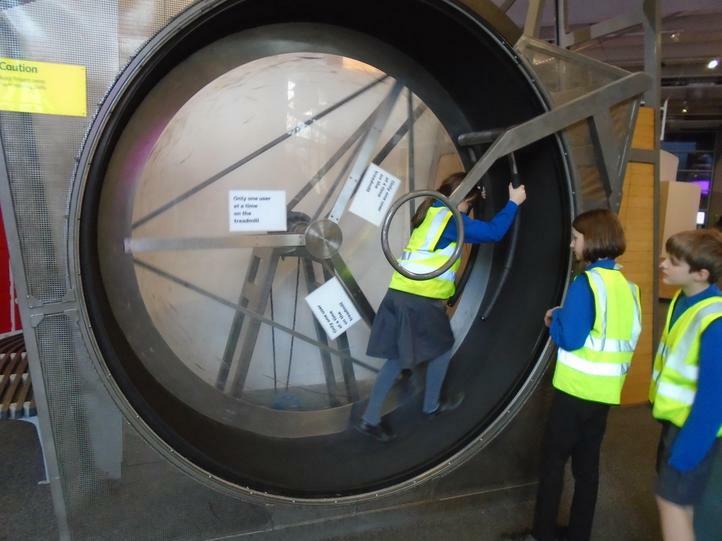 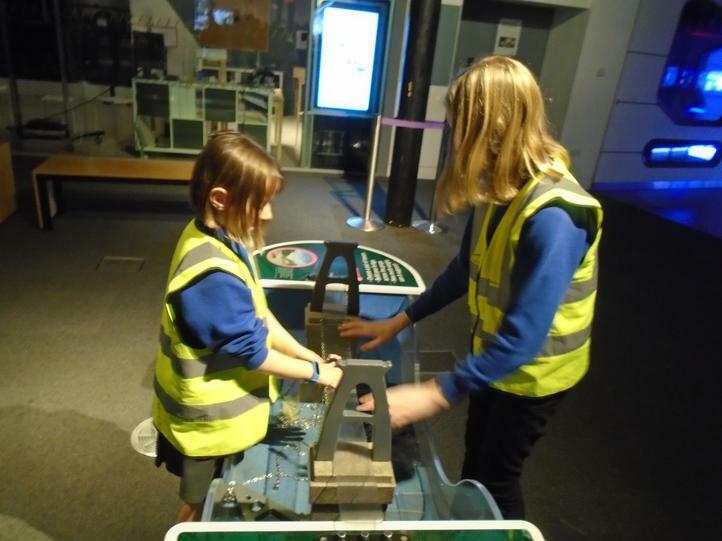 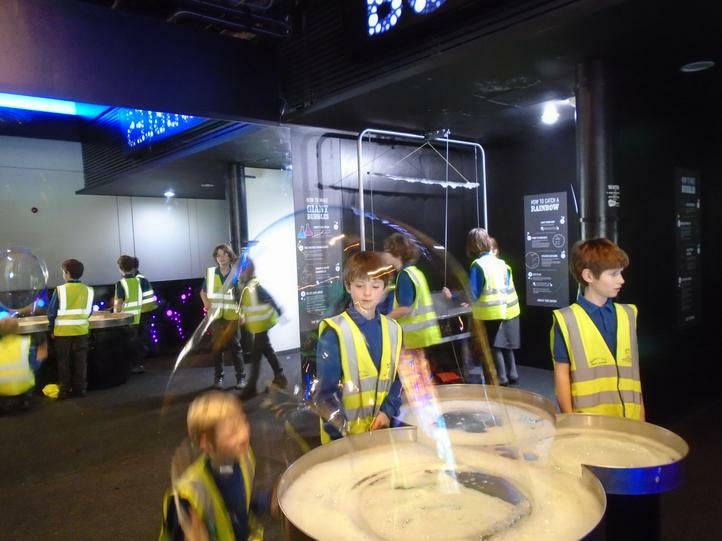 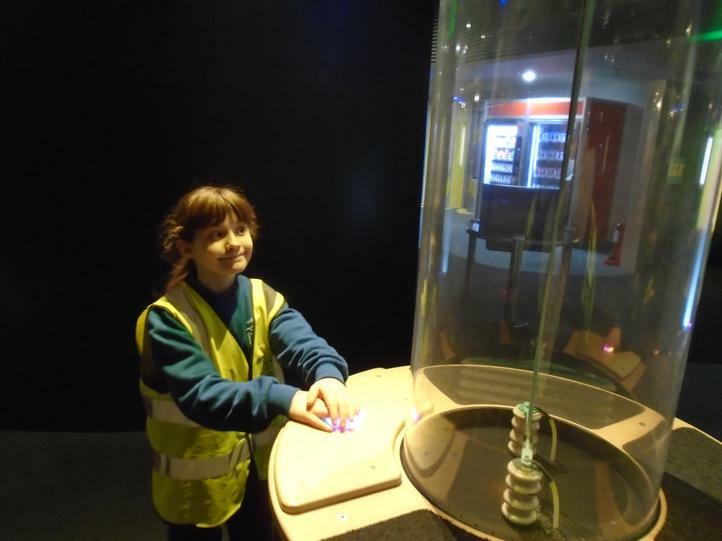 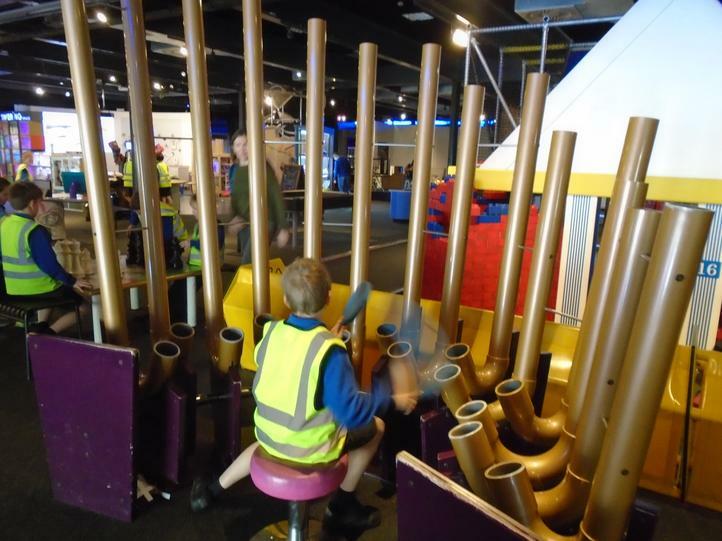 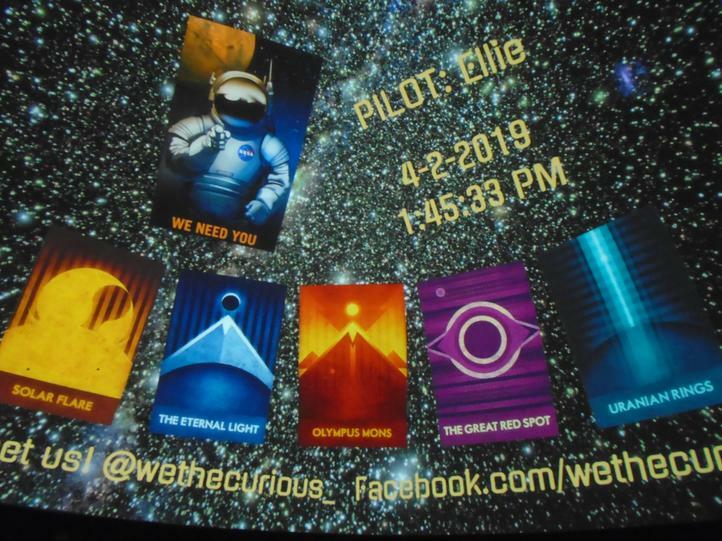 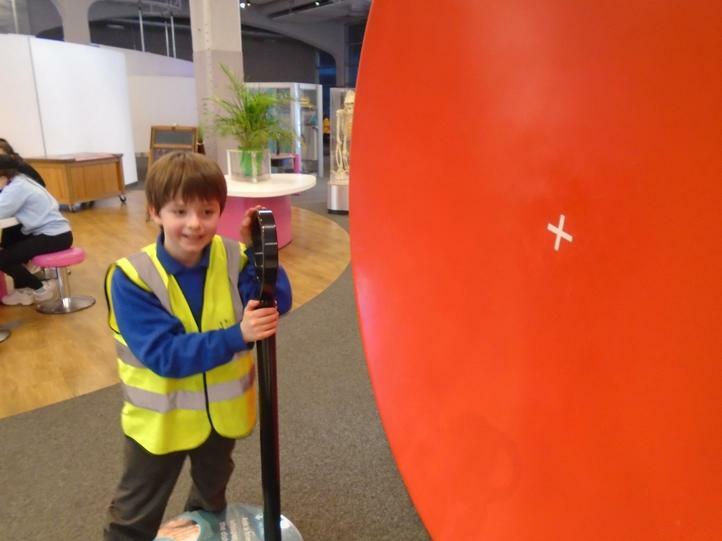 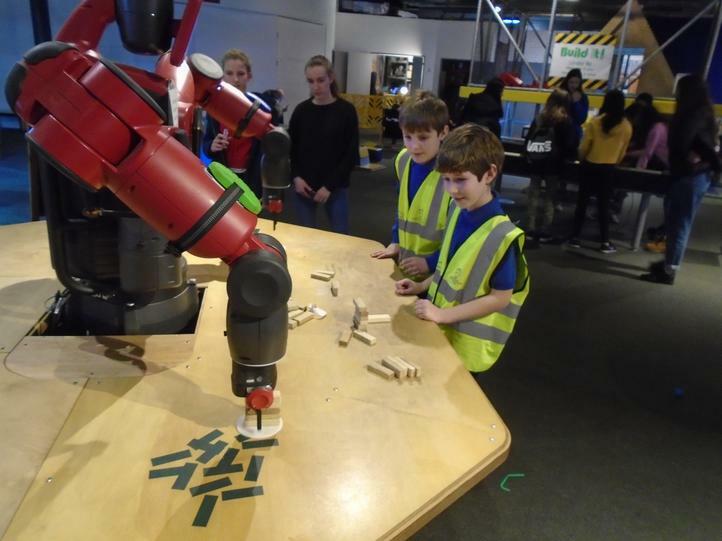 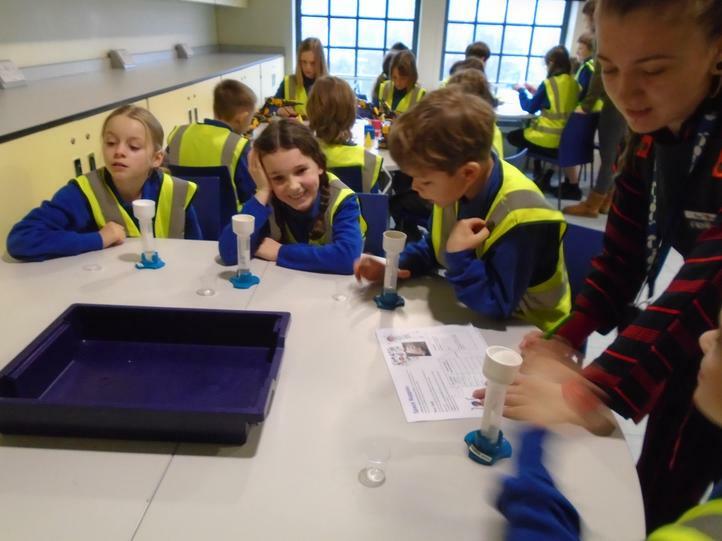 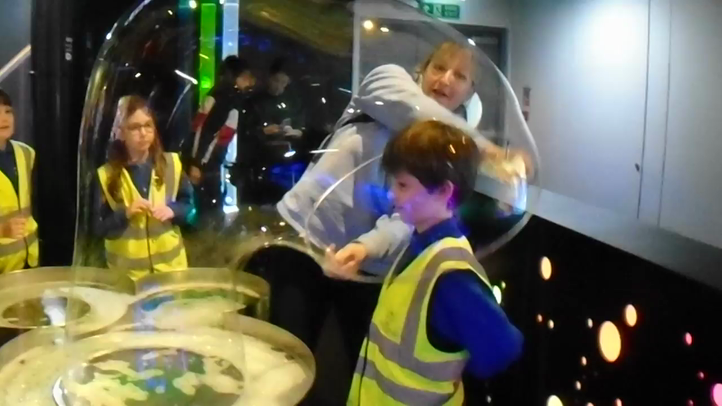 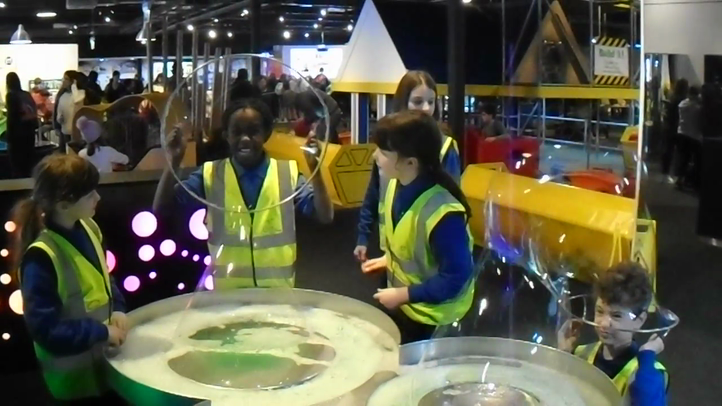 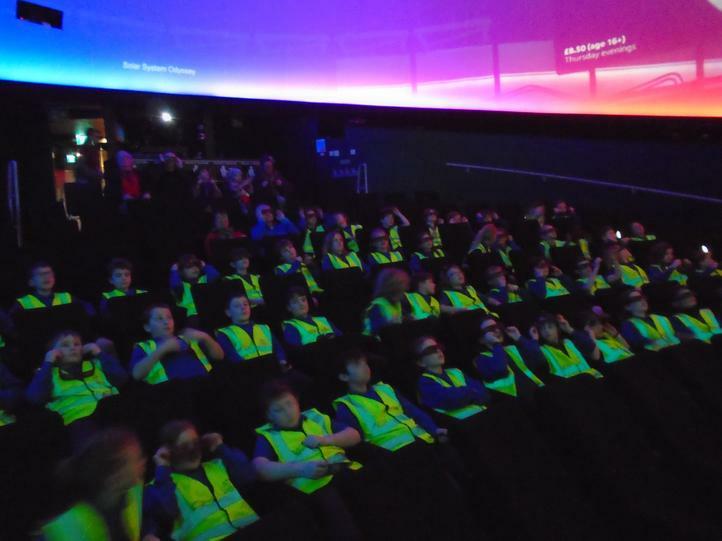 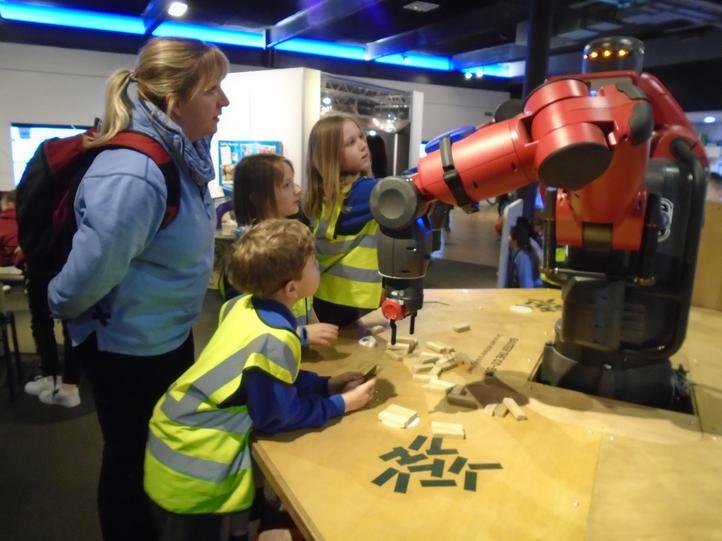 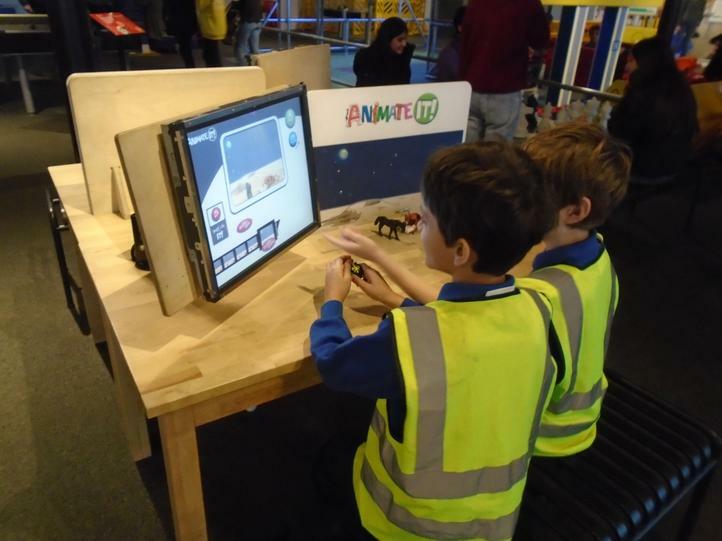 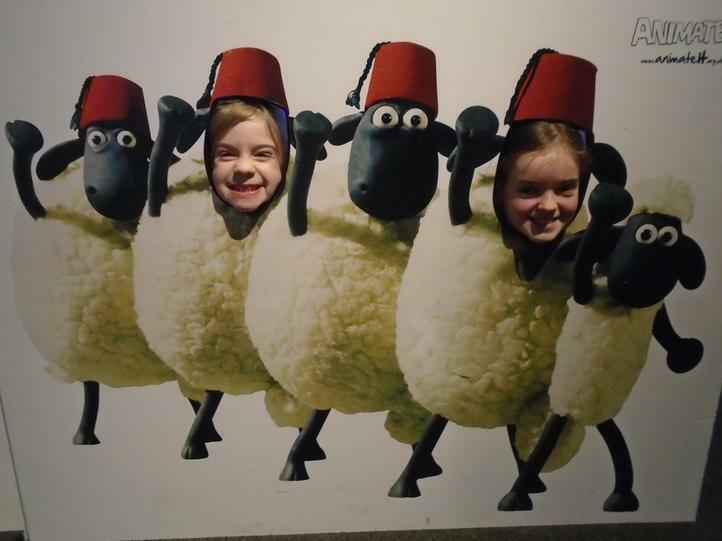 We had a fantastic day at We The Curious, where we took part in a workshop, enjoyed a planetarium show and roamed the exhibitions. 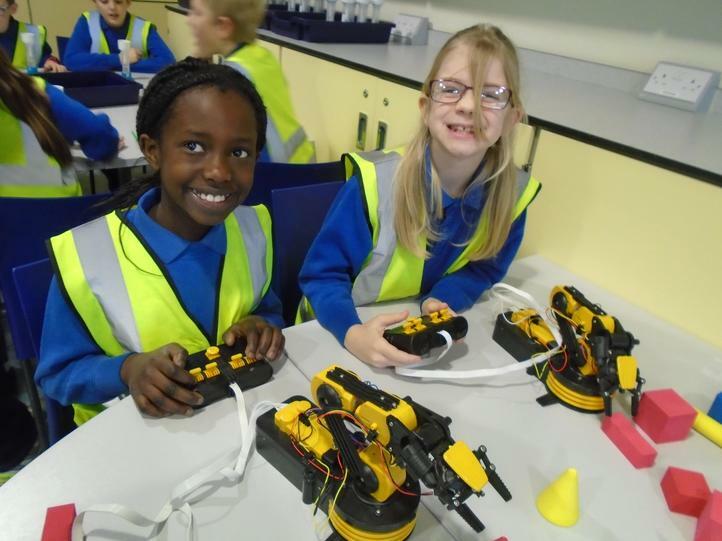 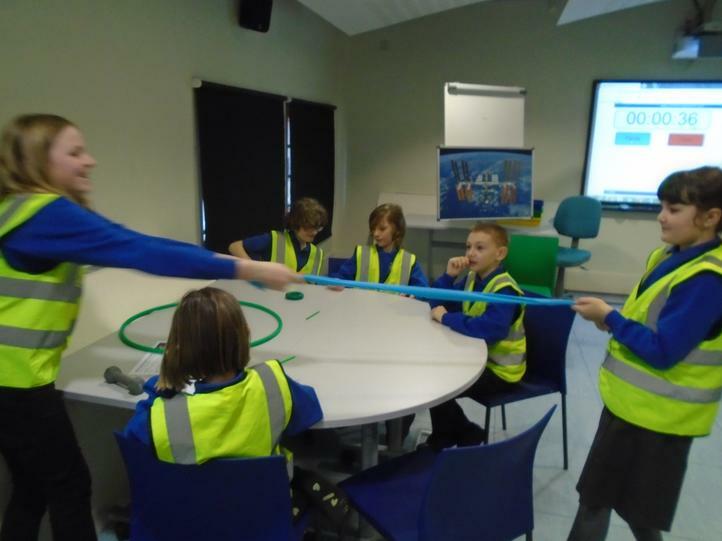 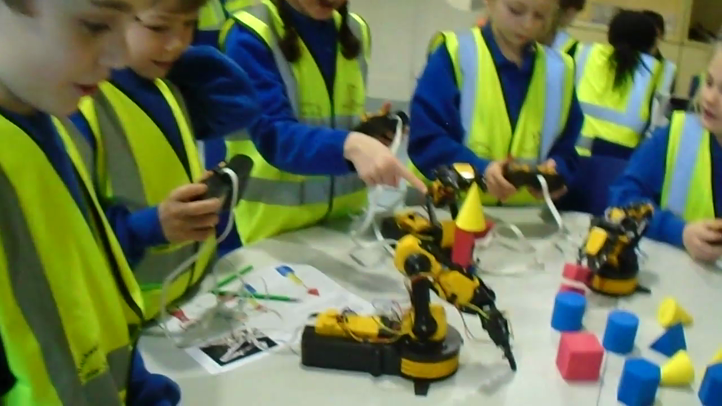 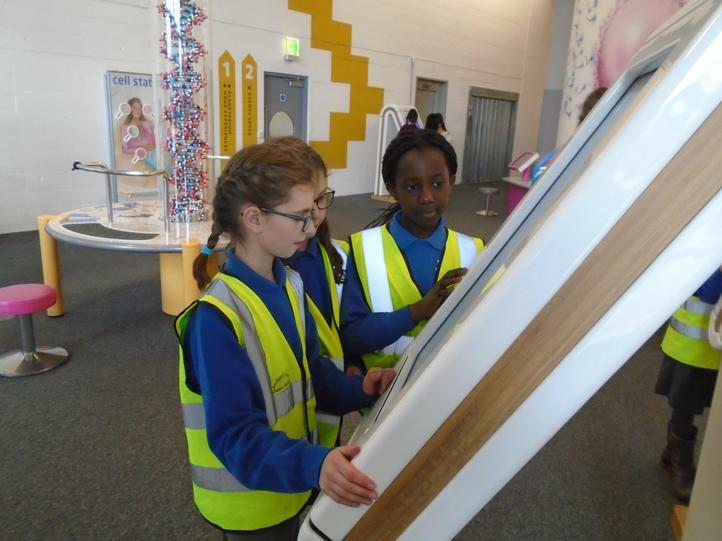 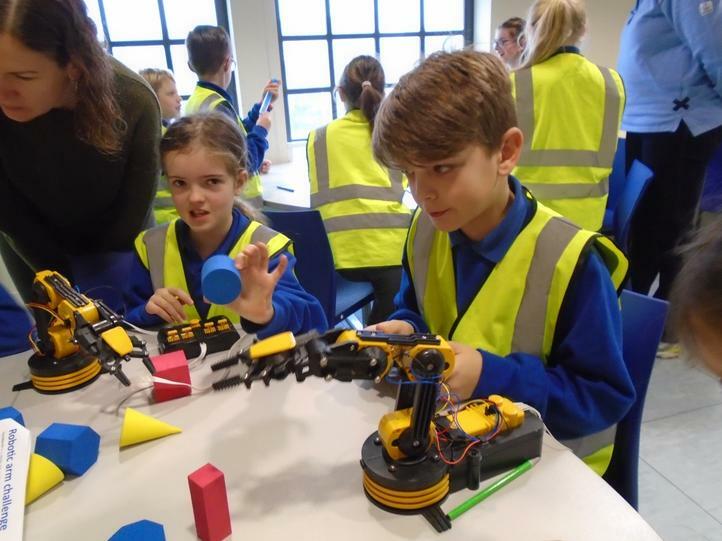 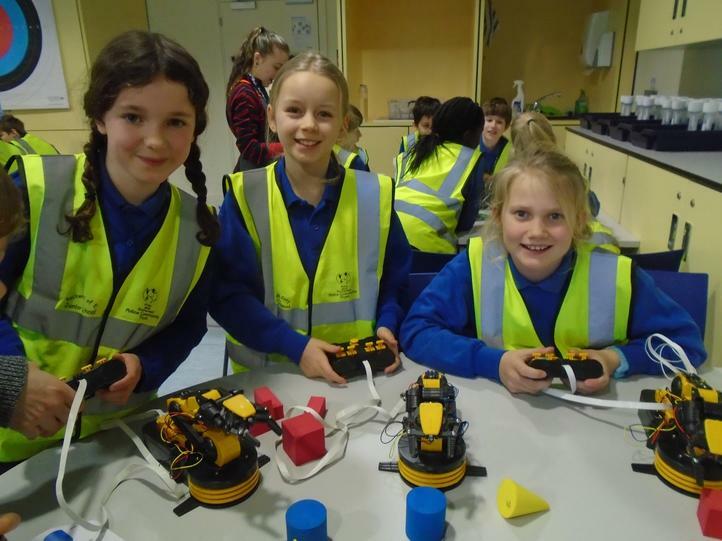 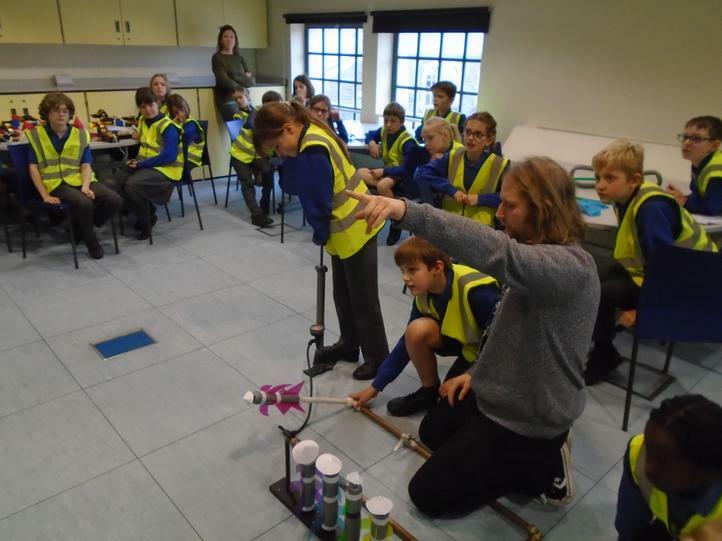 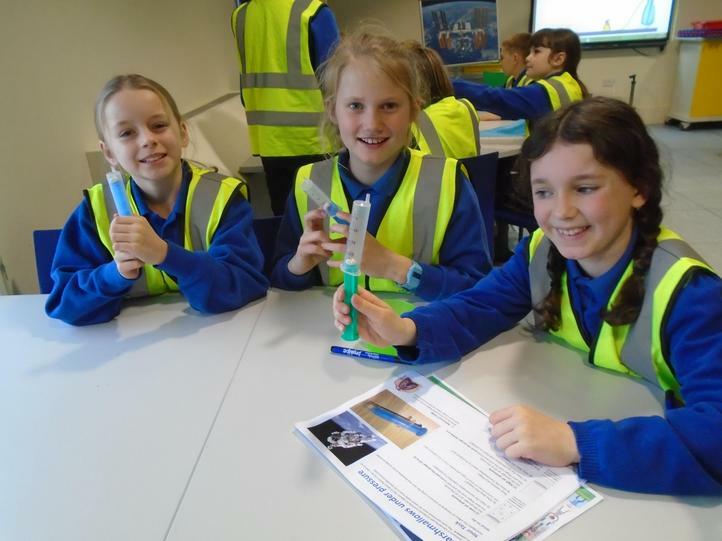 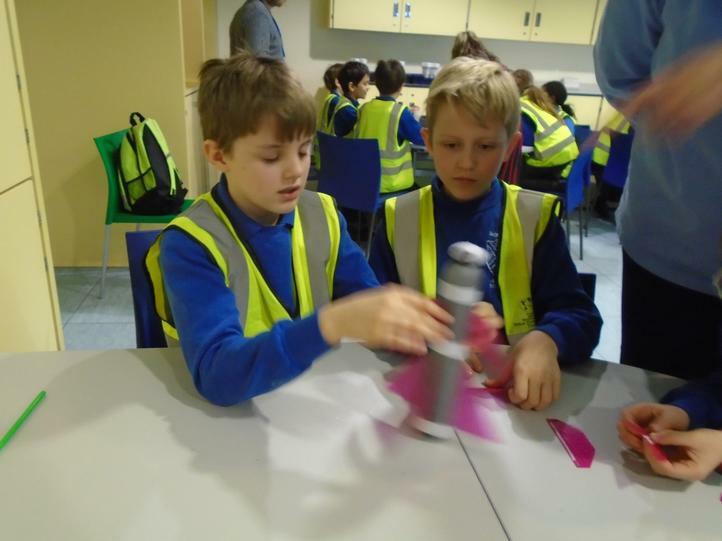 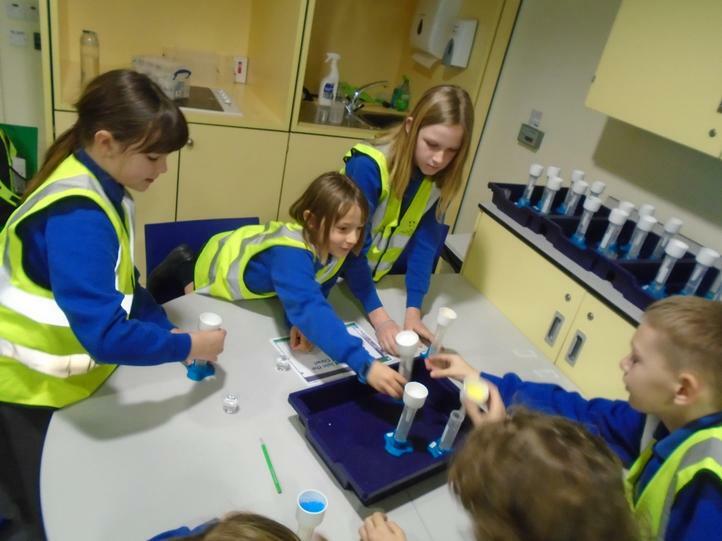 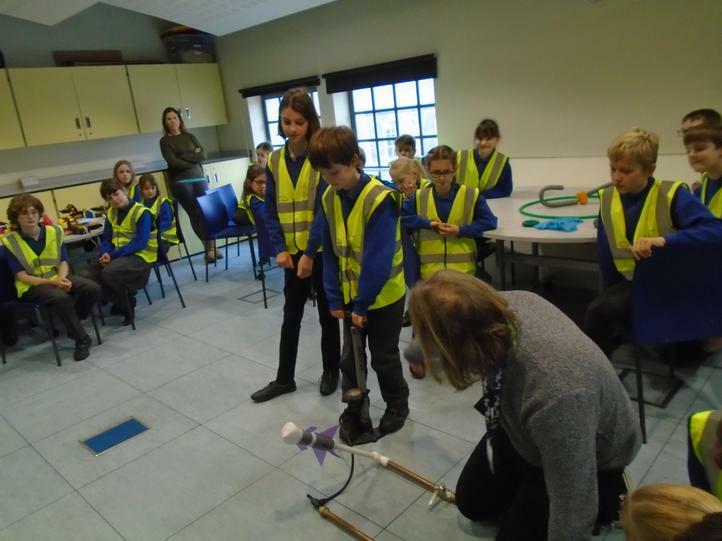 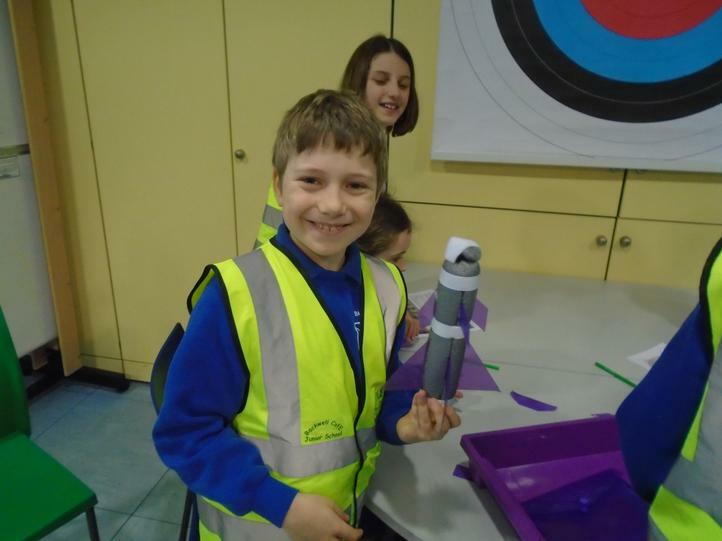 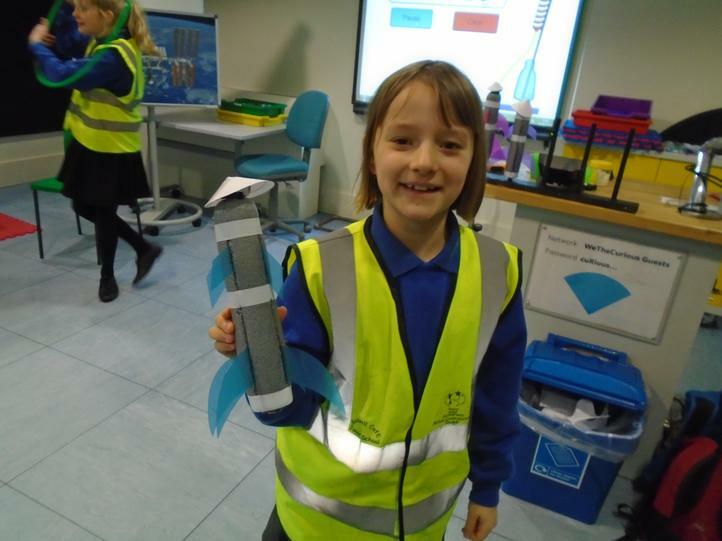 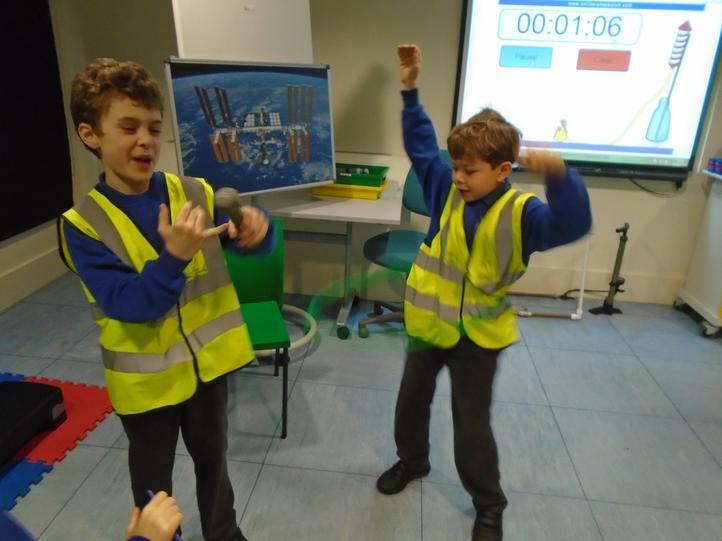 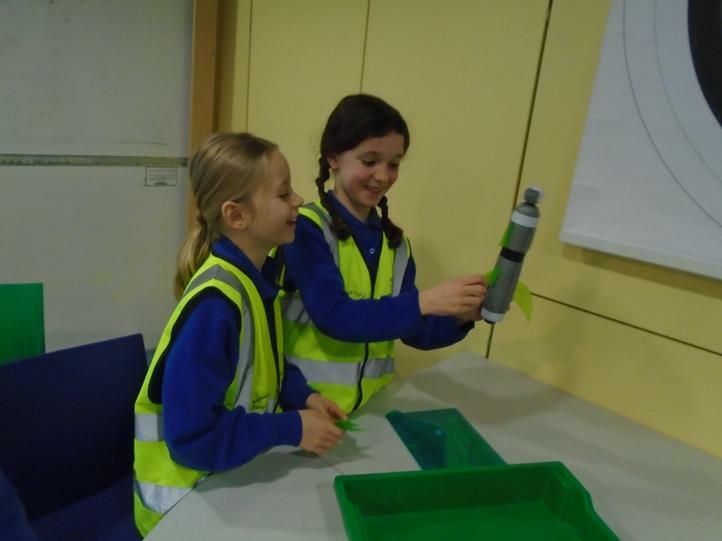 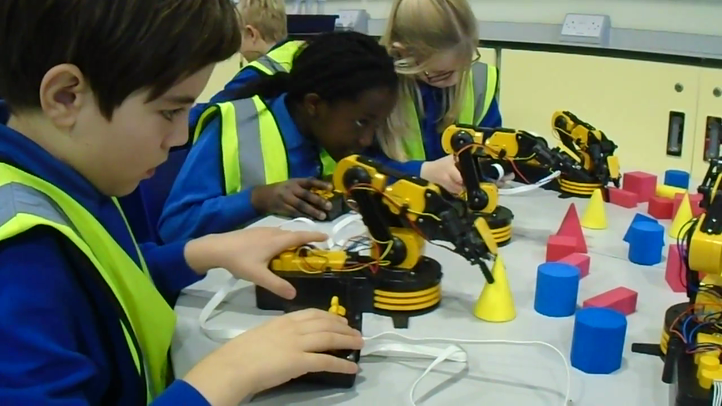 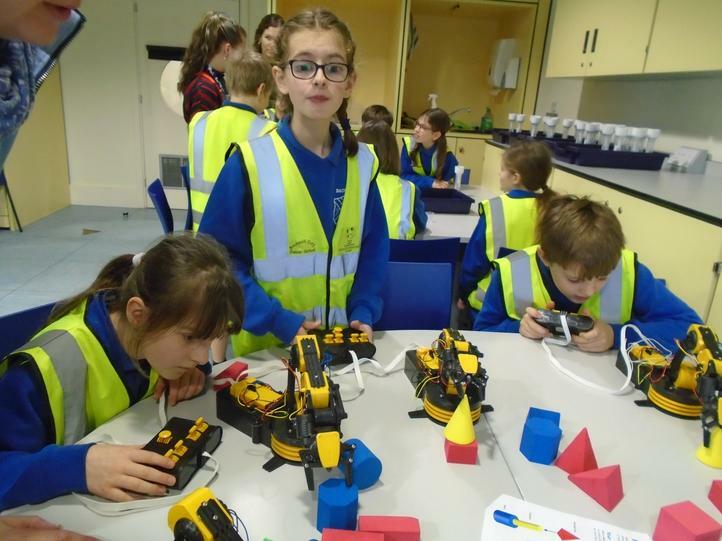 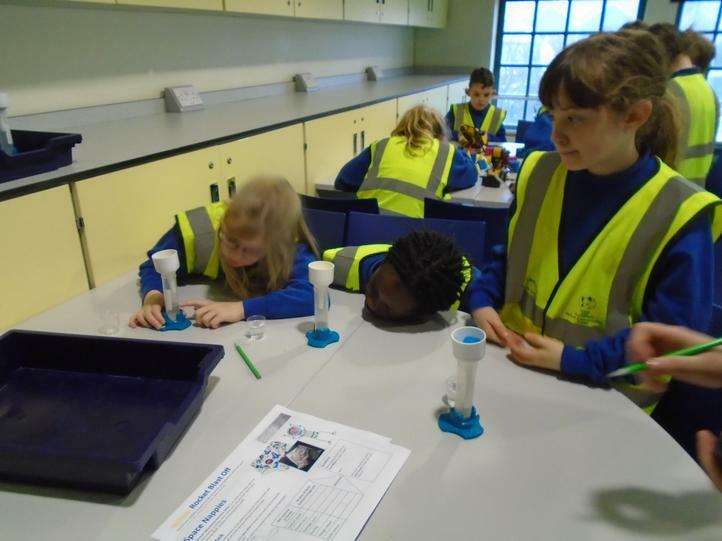 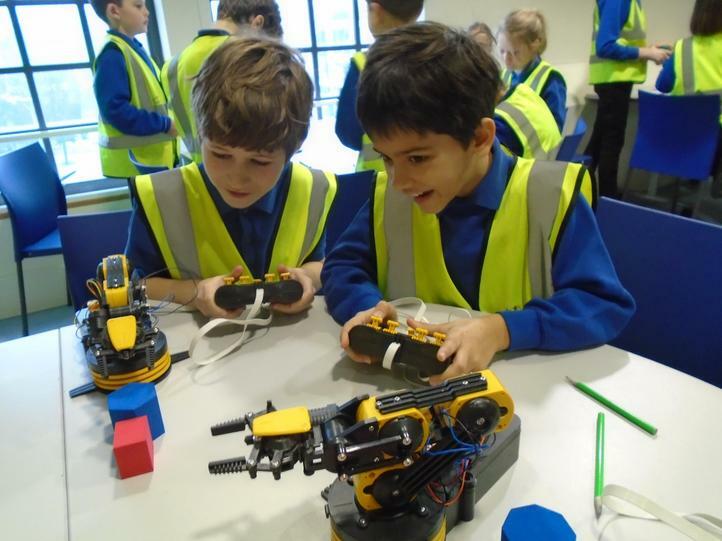 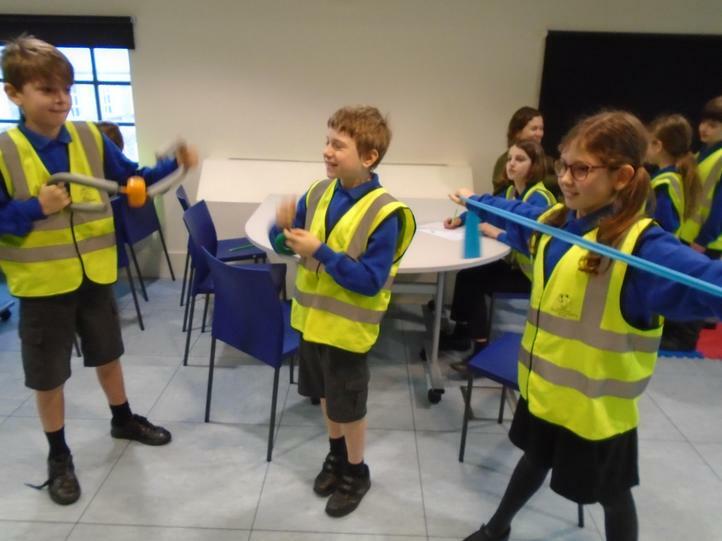 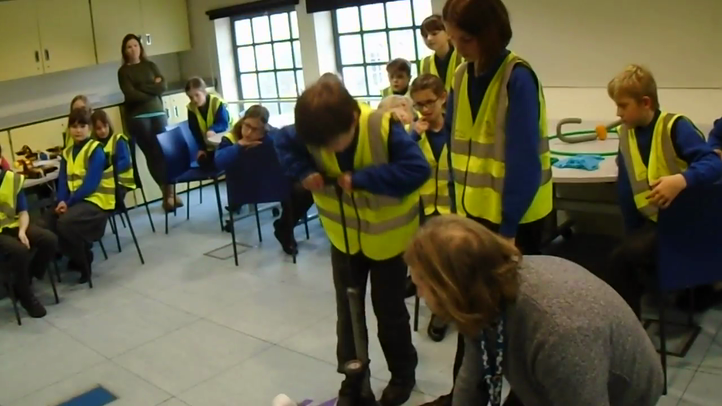 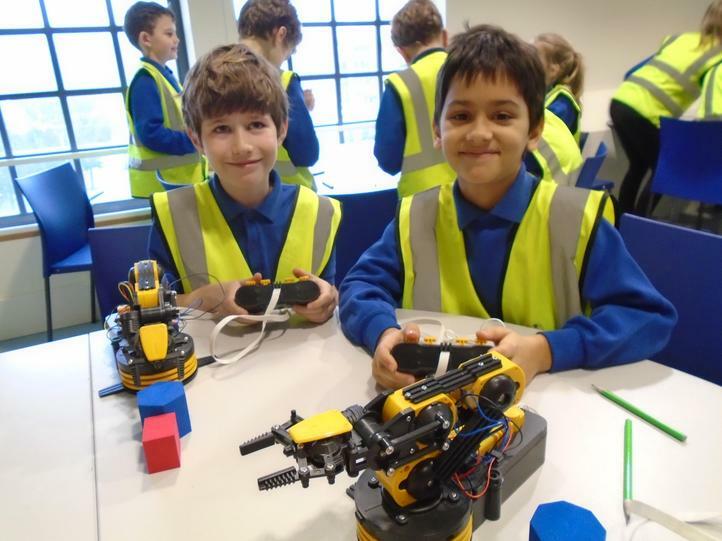 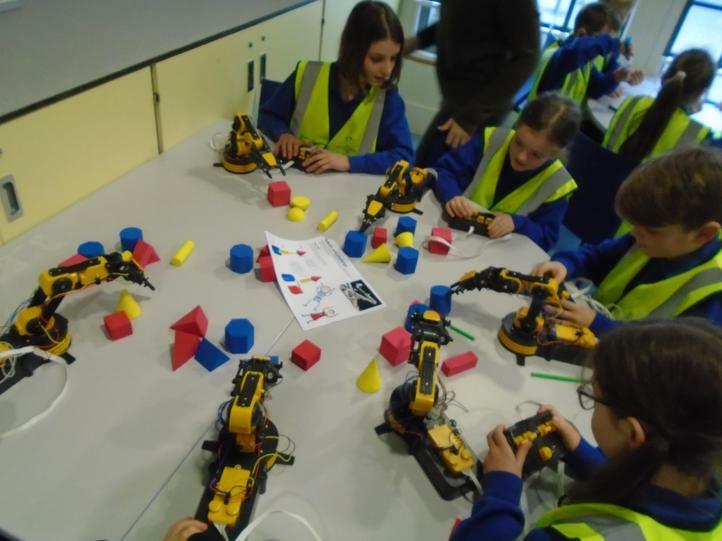 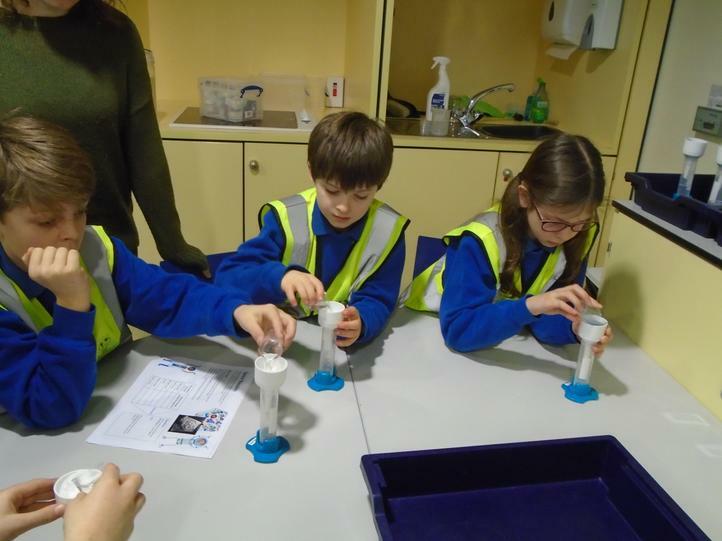 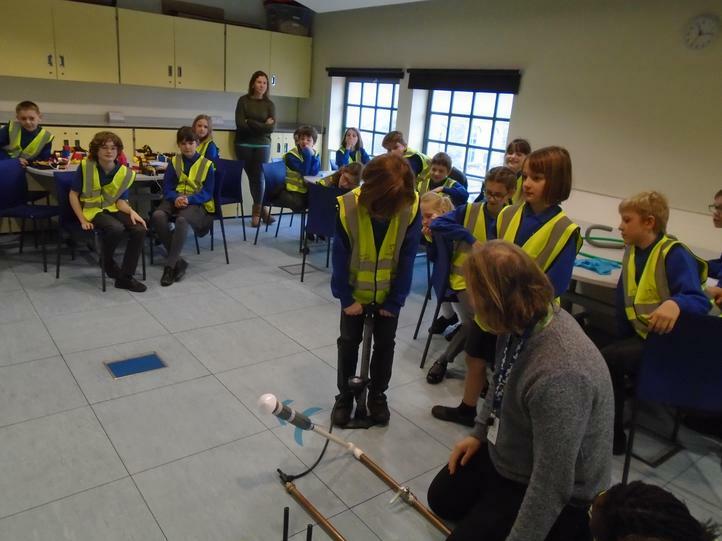 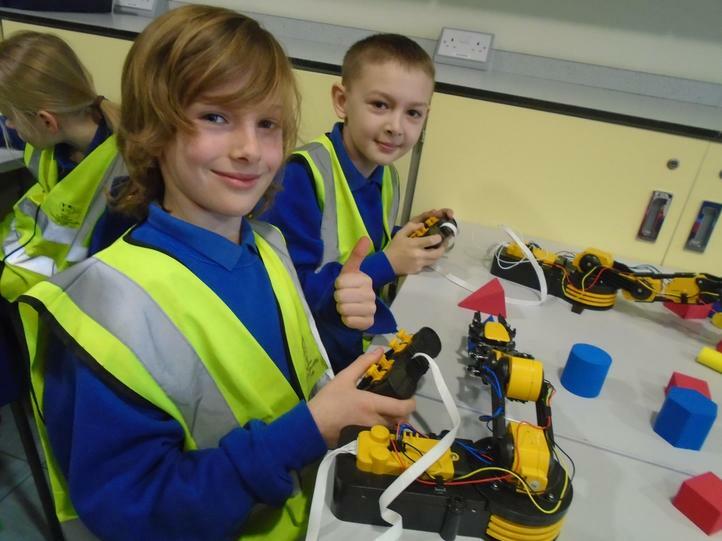 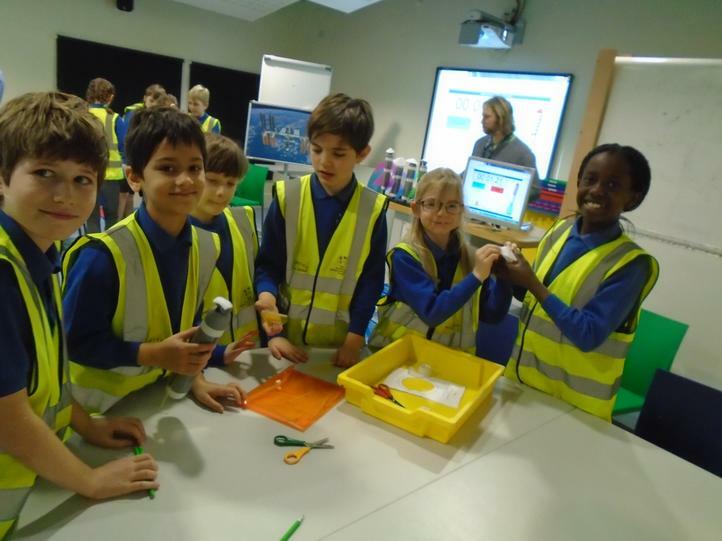 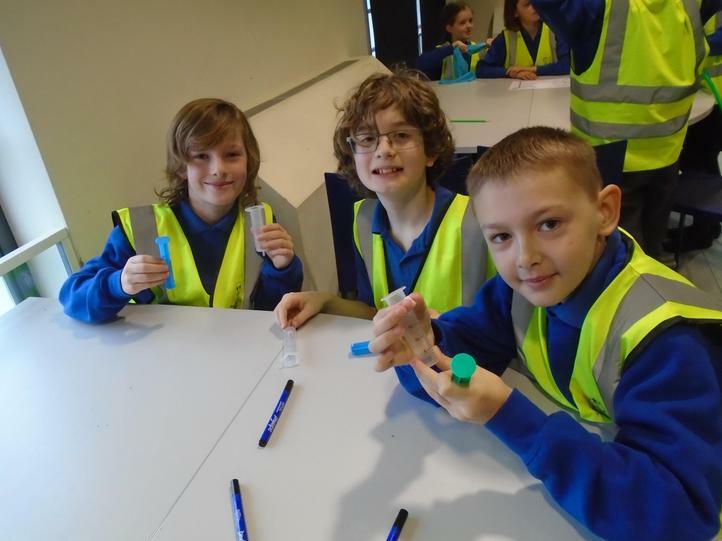 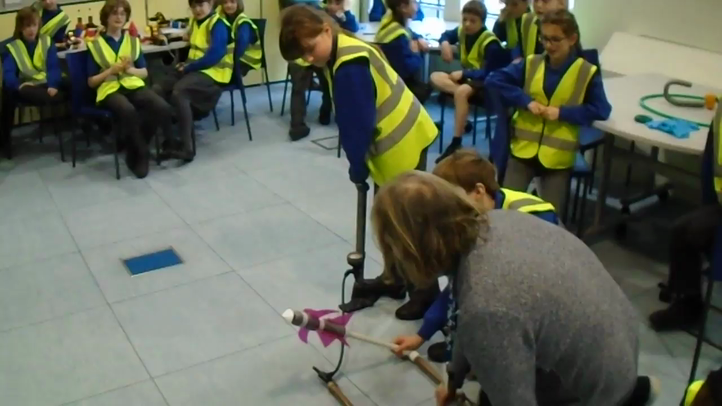 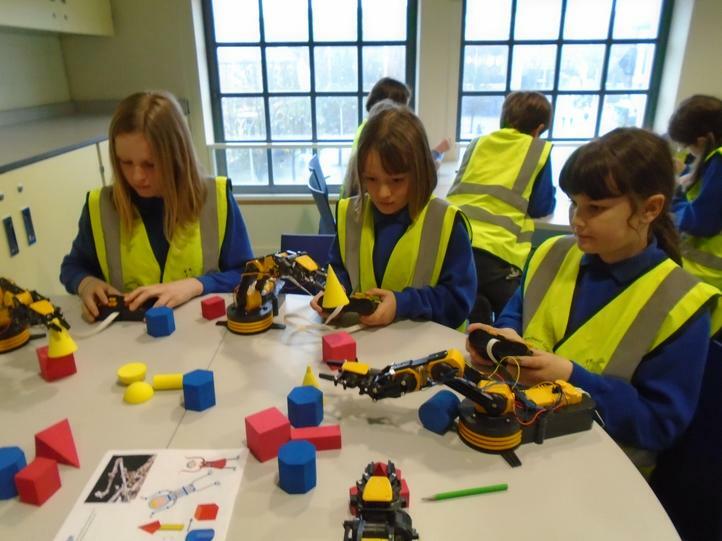 In the workshop, we used robotic arms, learnt about air pressure in space (using marshmallows and syringes), decided what sports equipment could be used in a space gym, designed rockets (which were launched at the end) and compared the absorbency of different materials to decide which would make the best filling for a space nappy. 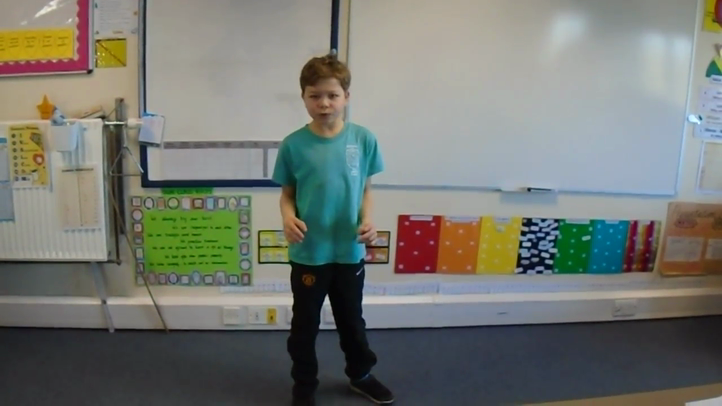 Take a look at the pictures and videos below. 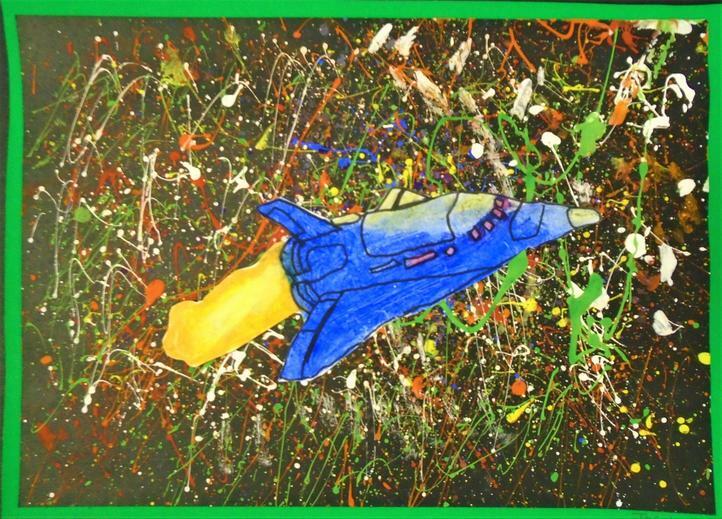 How does space sickness feel? 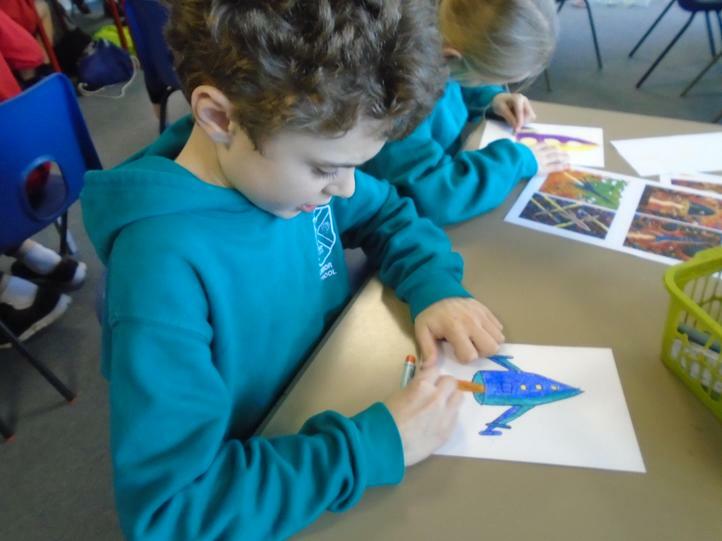 We have been learning about Peter Thorpe in our art lessons and we’ve spent a lot of time analysing his artwork. 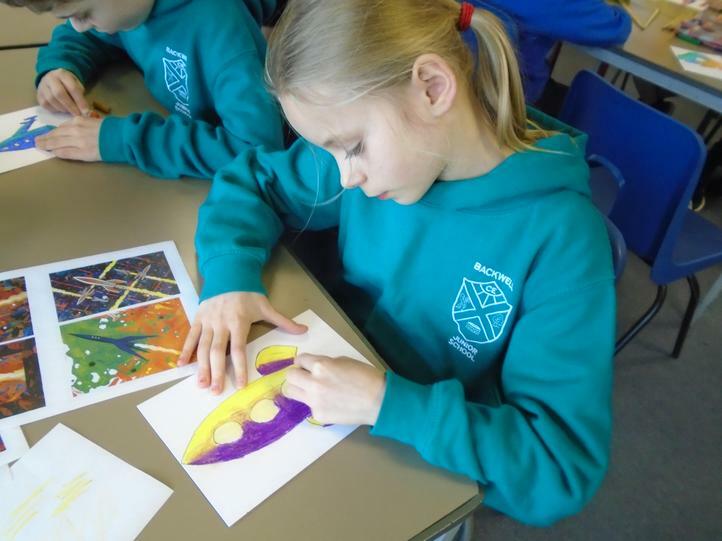 We are now in the process of creating our own space-themed artwork, in the style of Thorpe. 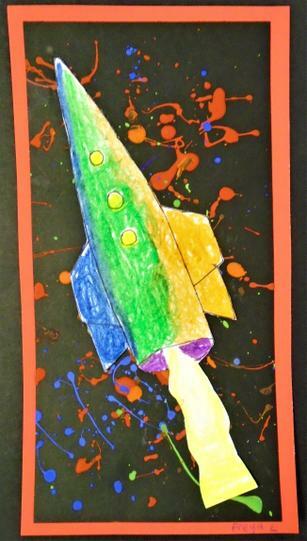 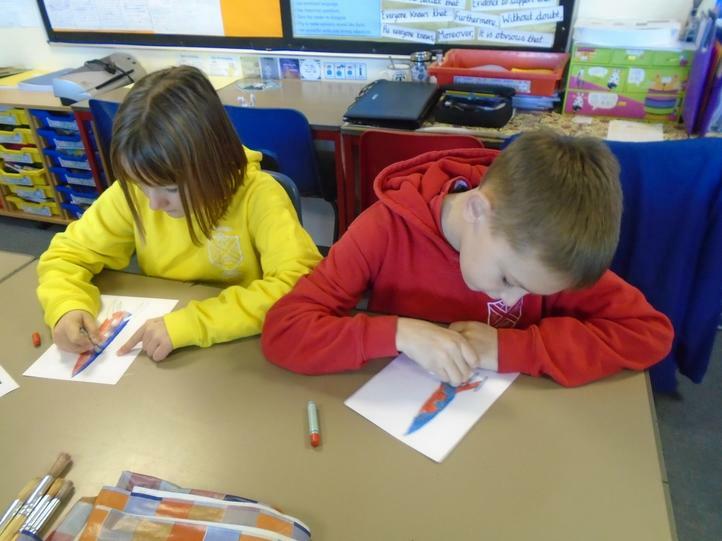 We’ve carefully designed our own rockets and used oil pastels to colour them. 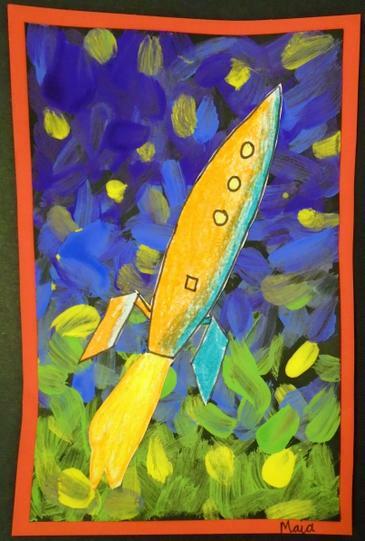 We spent the week before learning how to use oil pastels and we tried to apply these skills whilst creating our rockets. 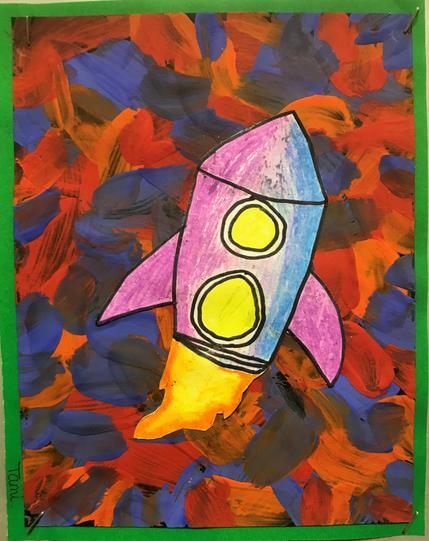 Next week, we will be painting our backgrounds. 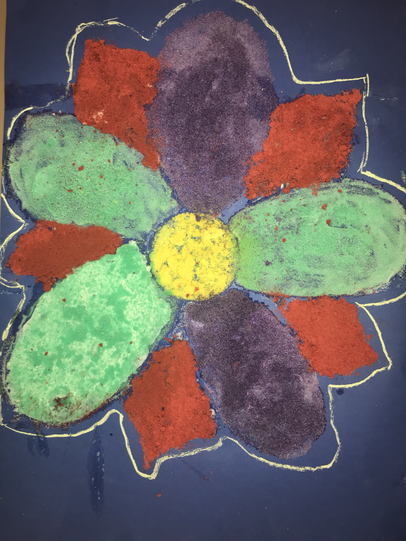 We have been really focusing on our use of colour and exploring what happens when commentary colours are placed next to one another. 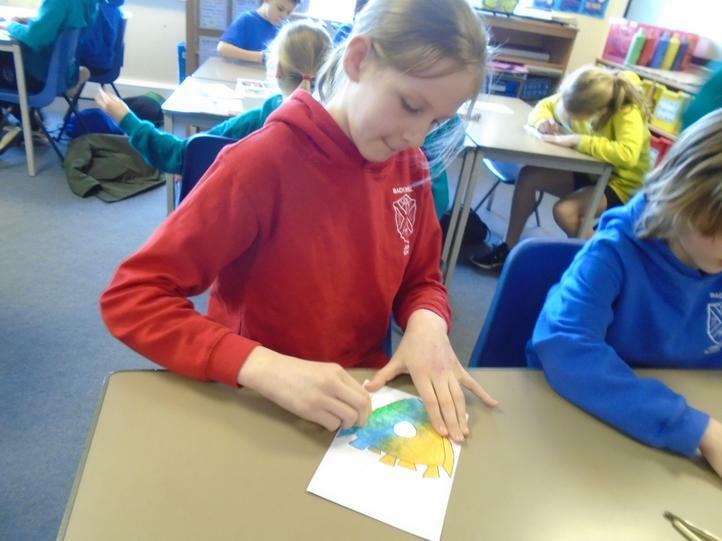 We loved learning about geography ALL day. 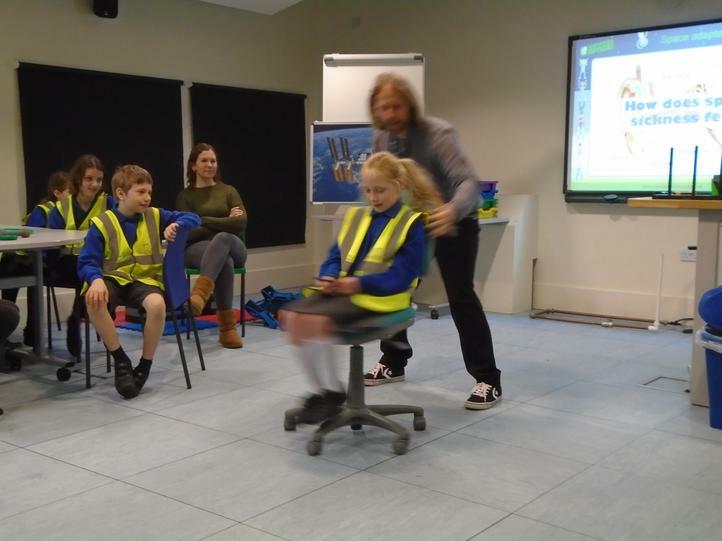 We were even lucky enough to have a guest speaker too…ask your child all about it! 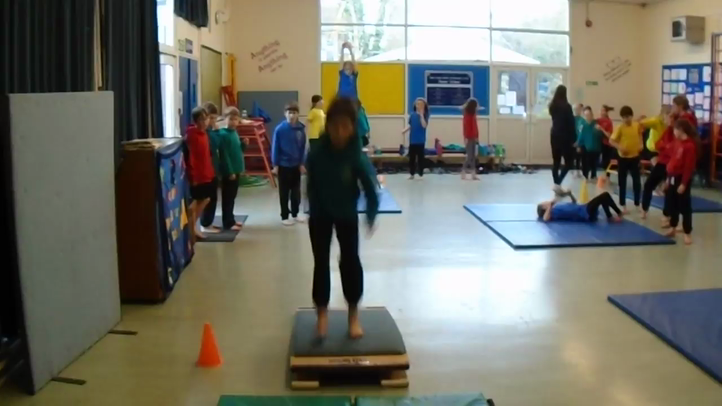 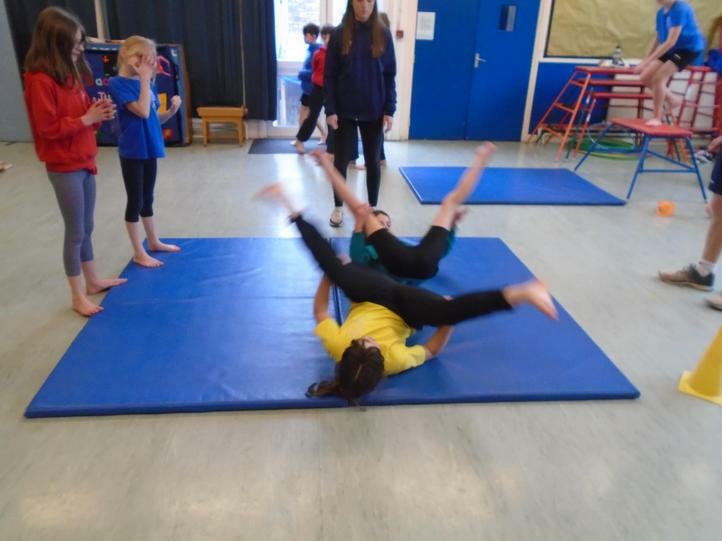 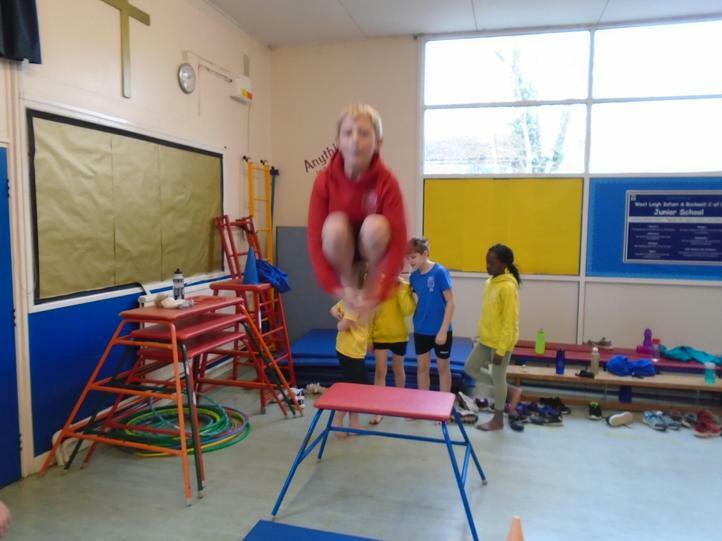 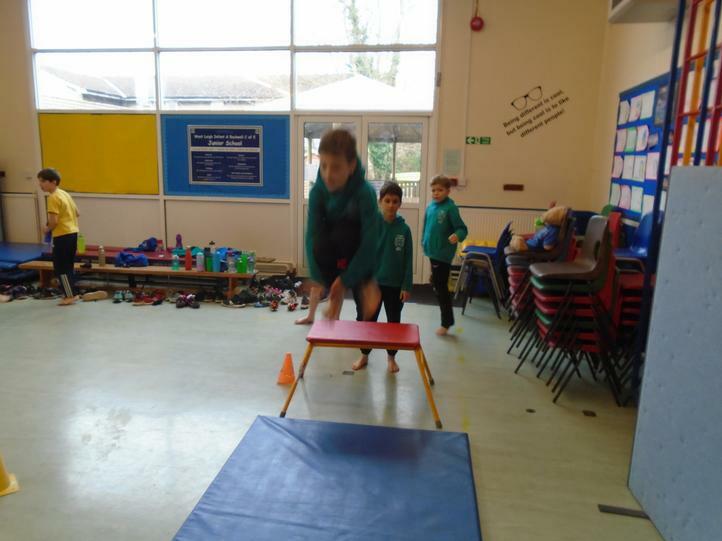 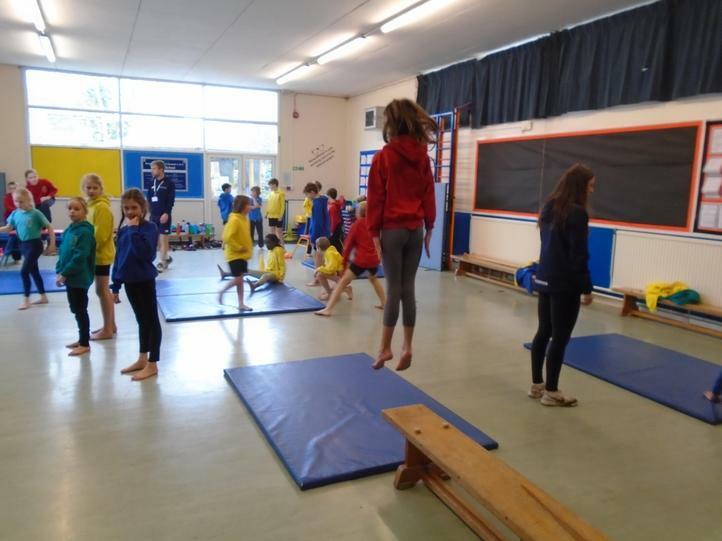 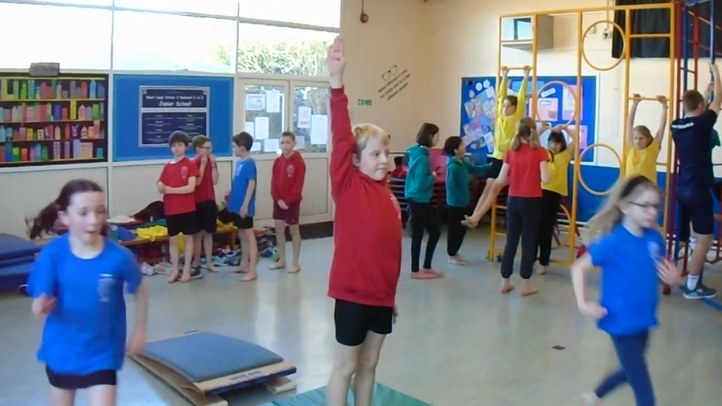 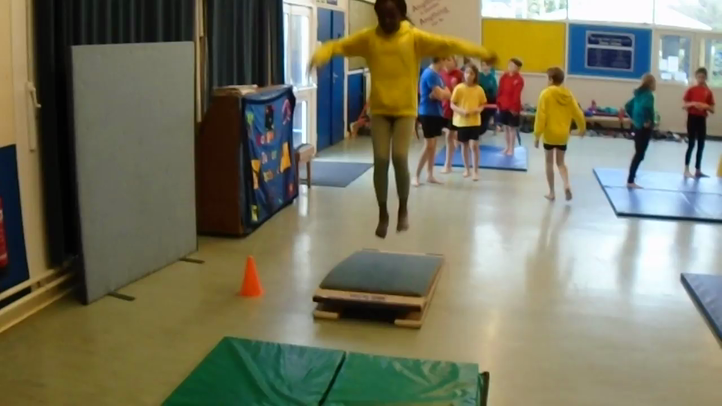 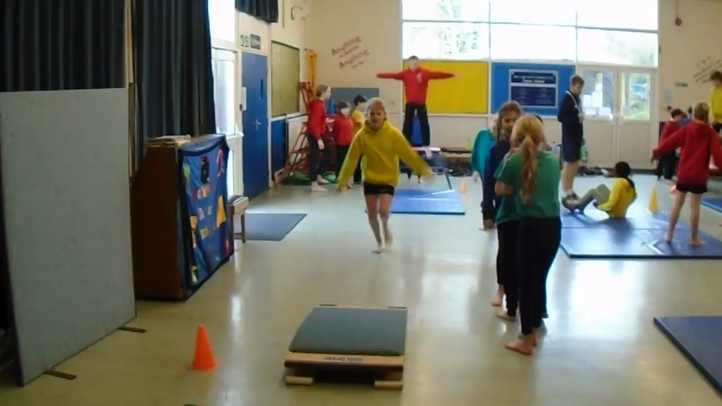 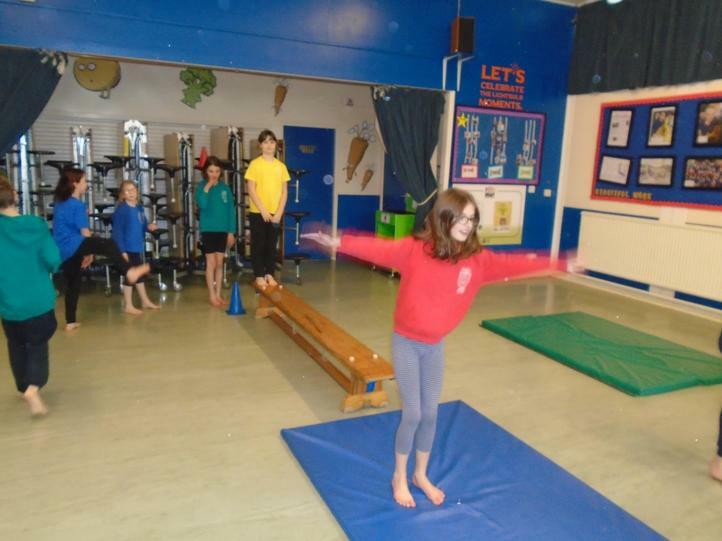 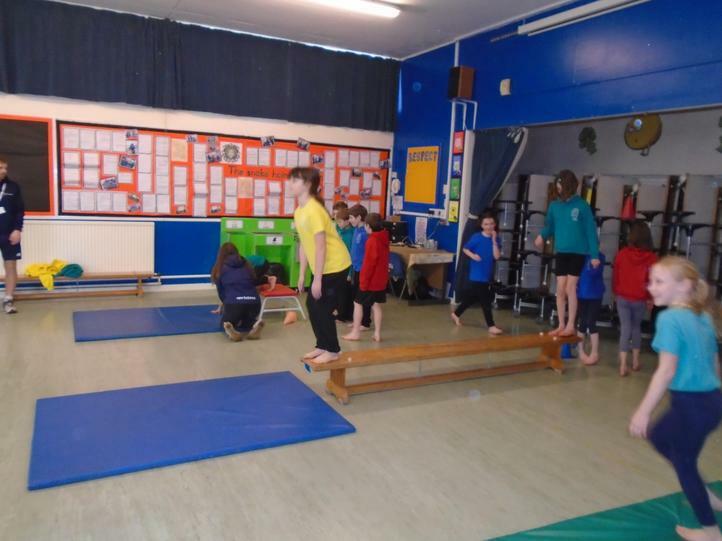 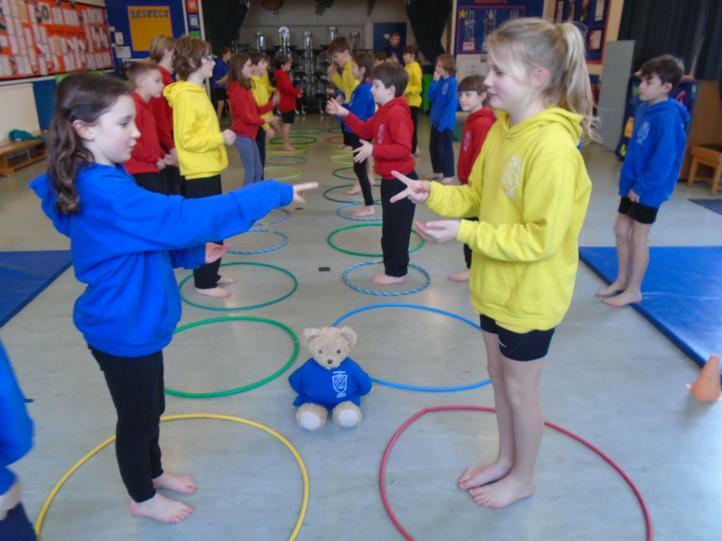 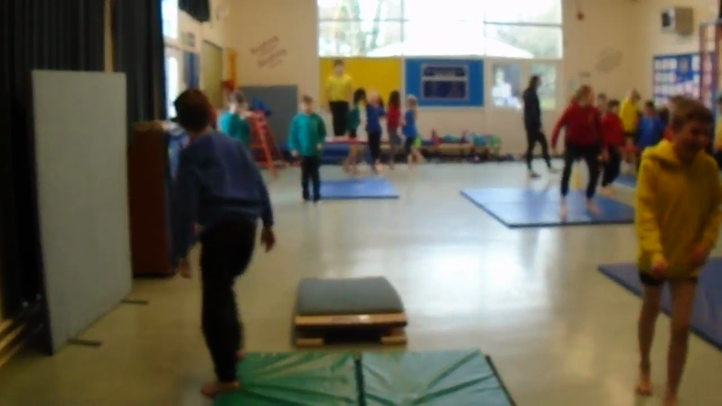 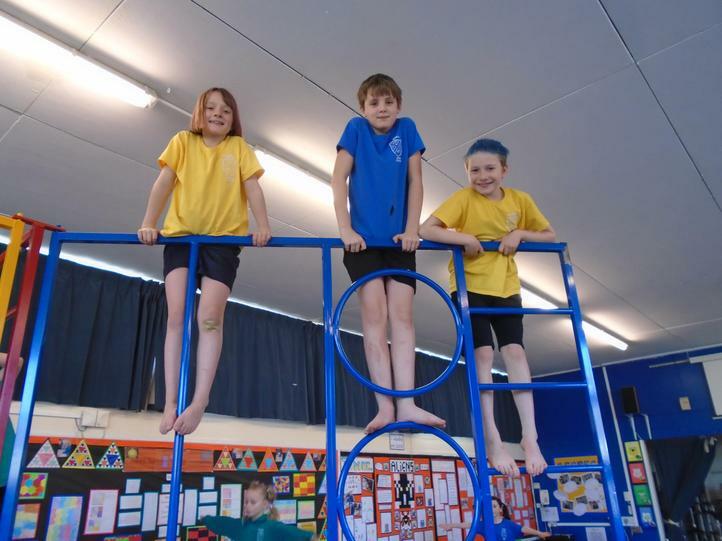 Here are some photos and videos of our gymnastics lessons. 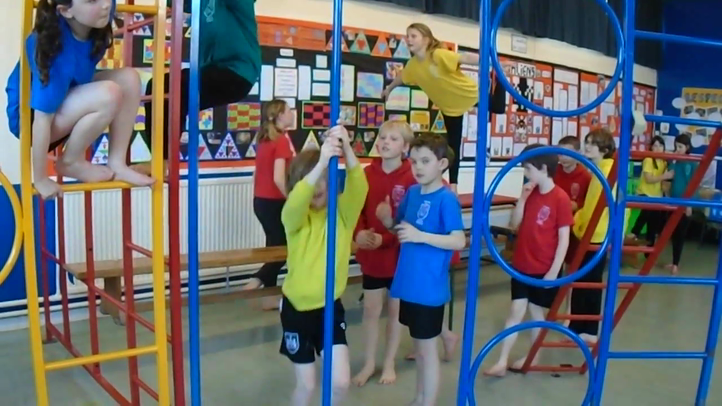 Justin Time joined us for some of them – can you spot him? 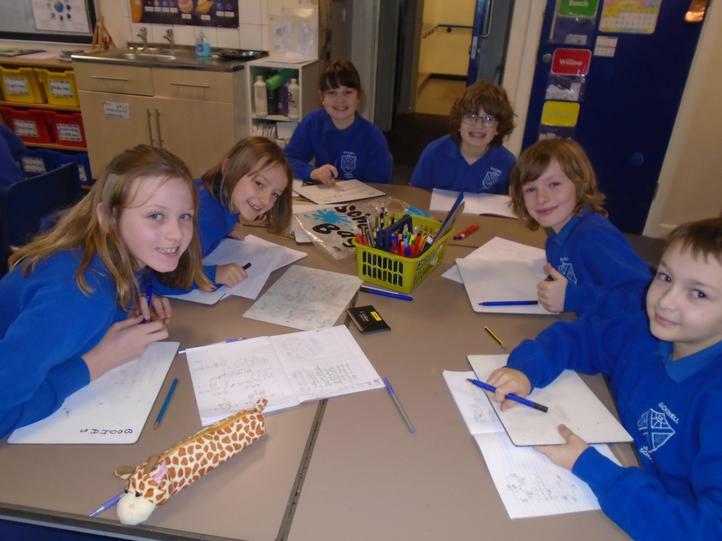 We’ve enjoyed our inspirational maths lessons this week. 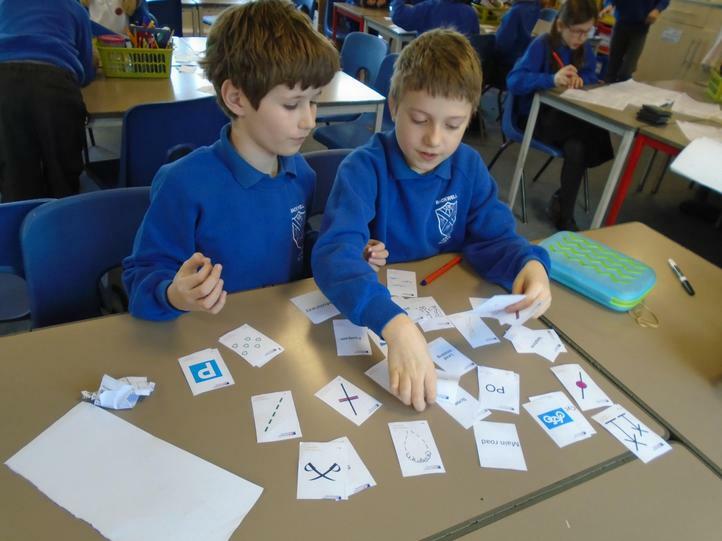 A favourite activity amongst many was creating the numbers 1-20 only using four 4s (check out the pictures below of us working together and our finished solutions).